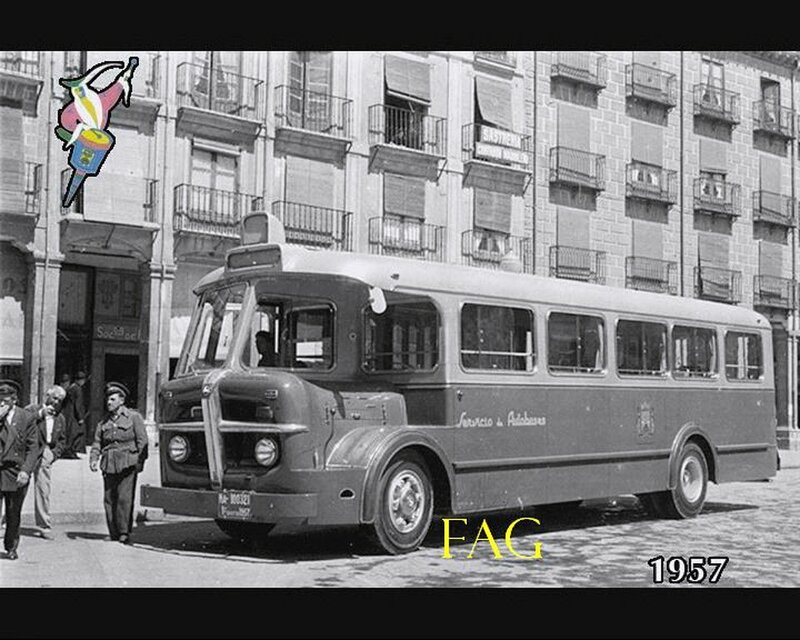 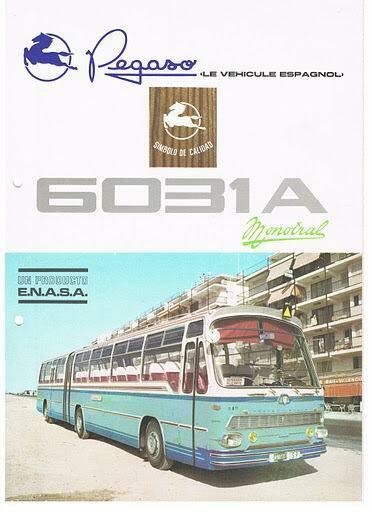 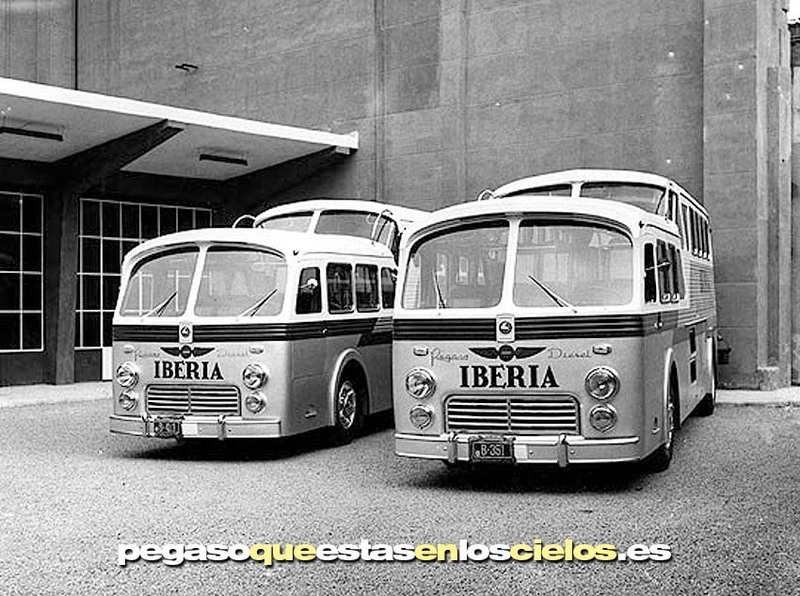 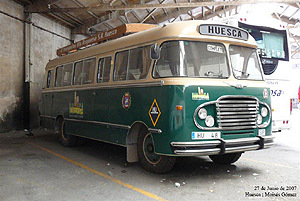 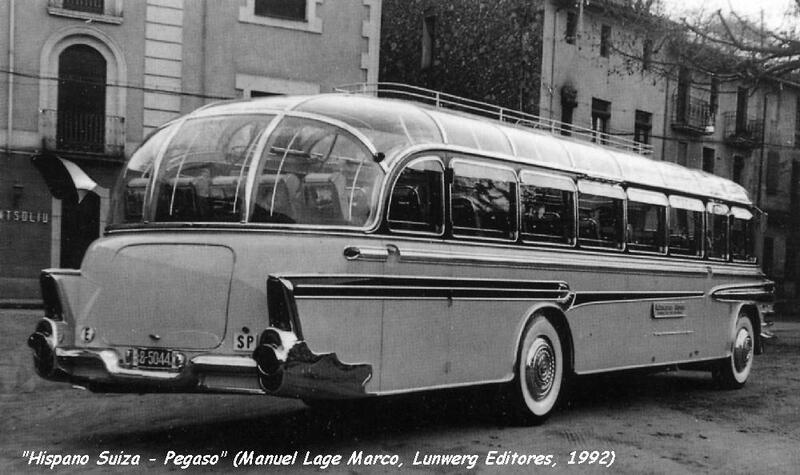 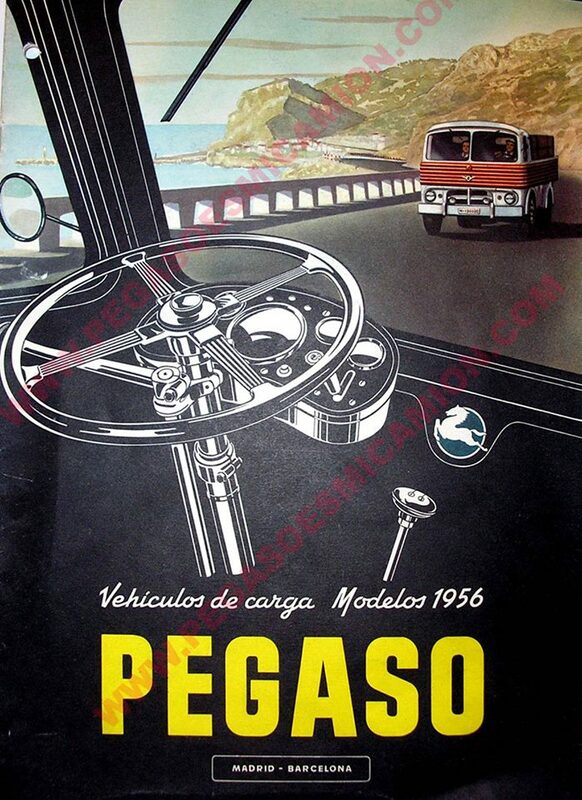 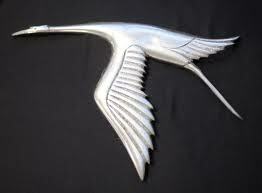 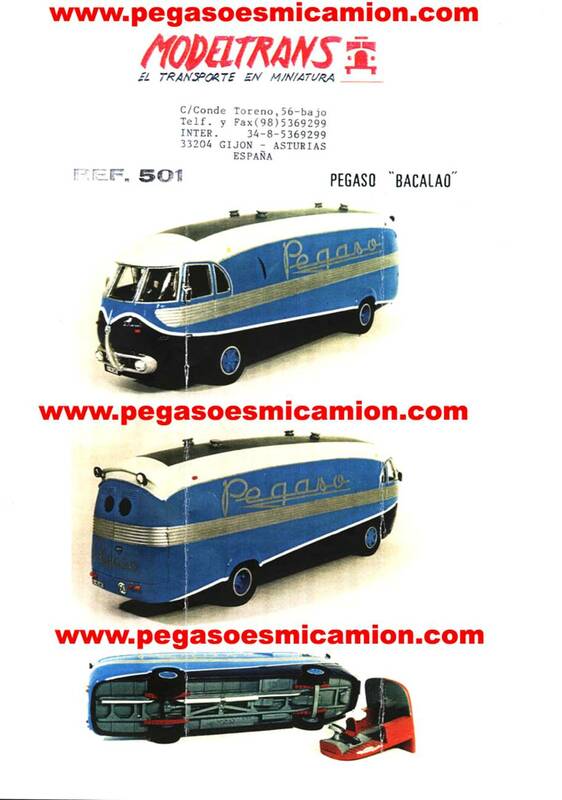 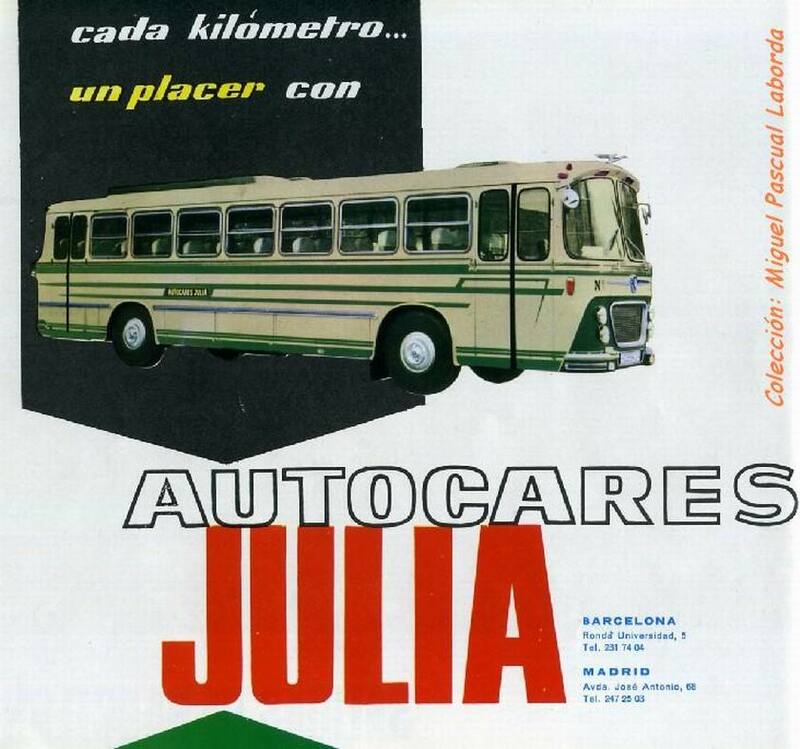 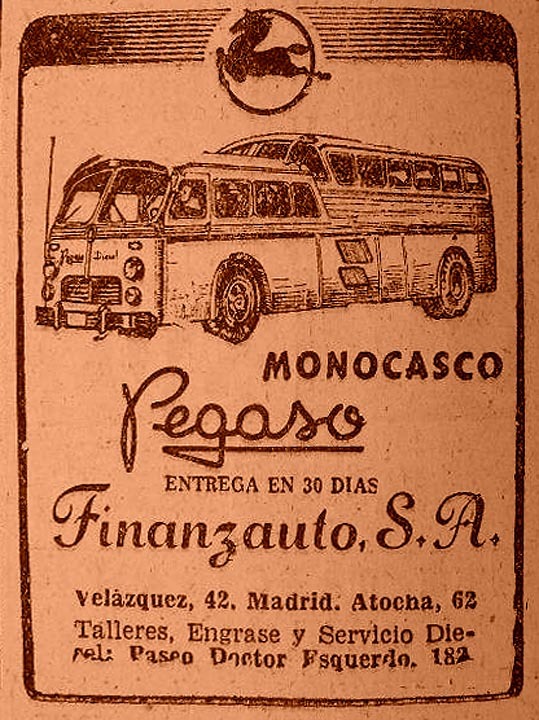 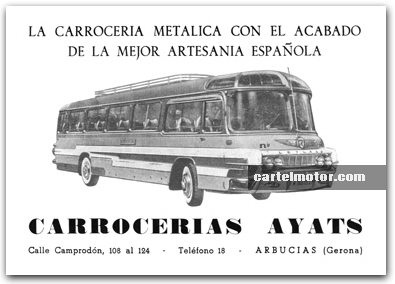 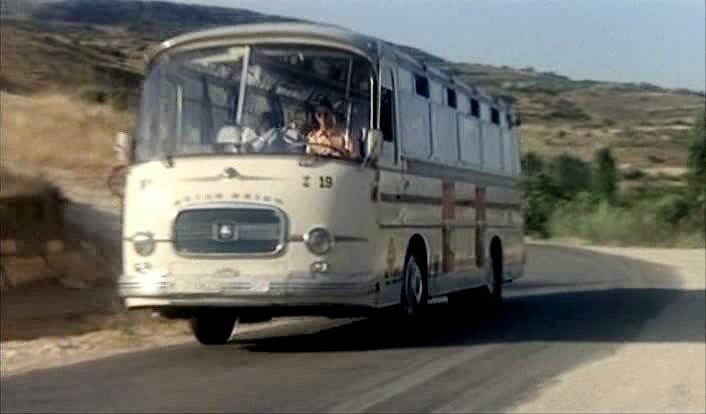 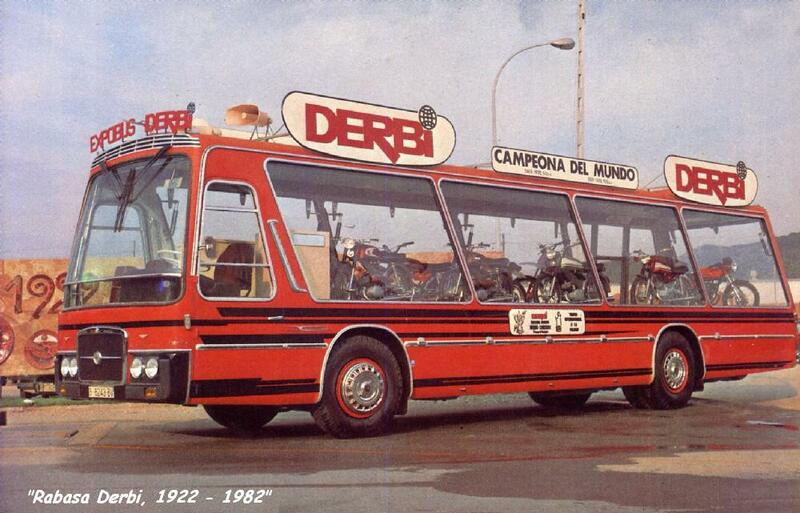 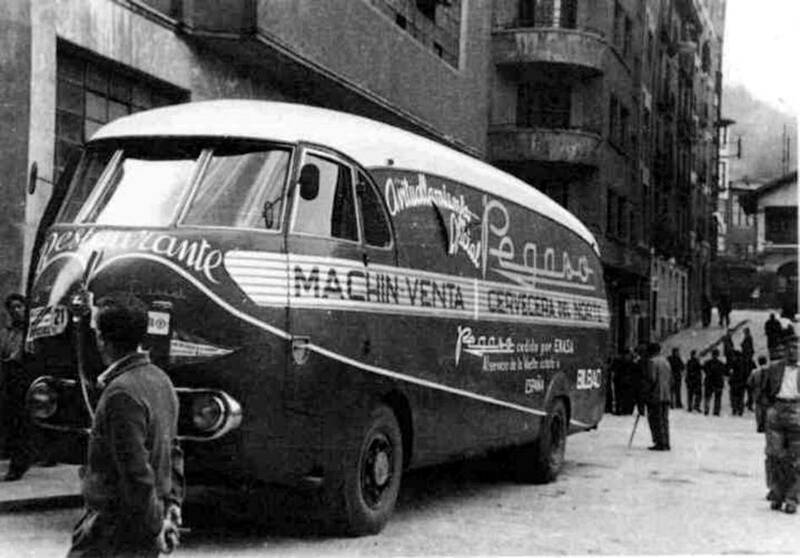 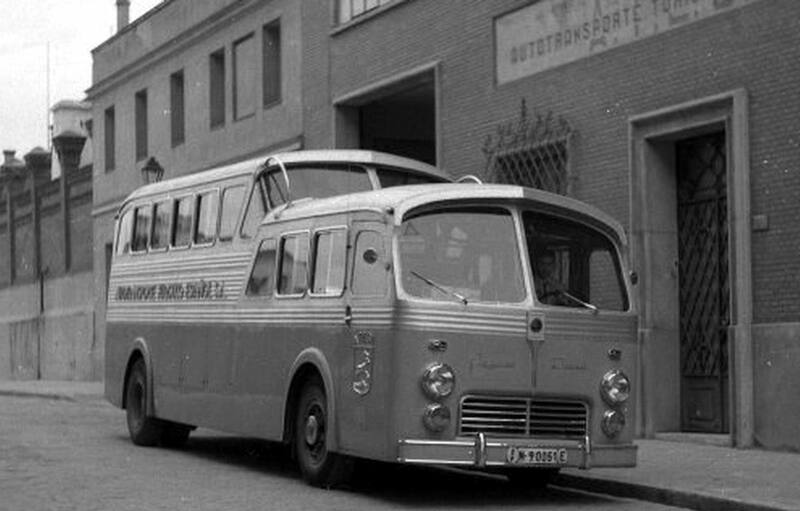 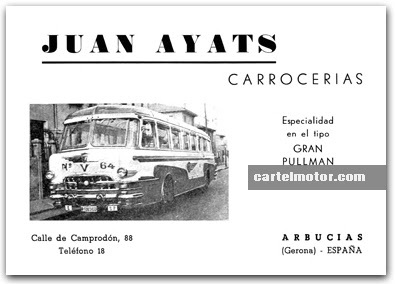 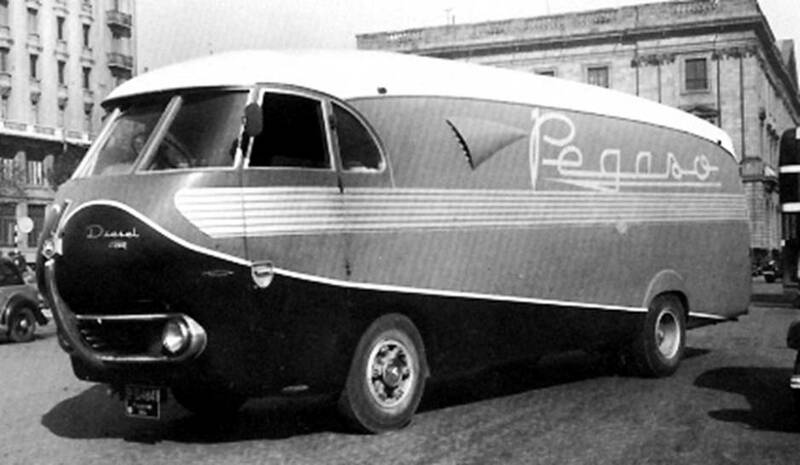 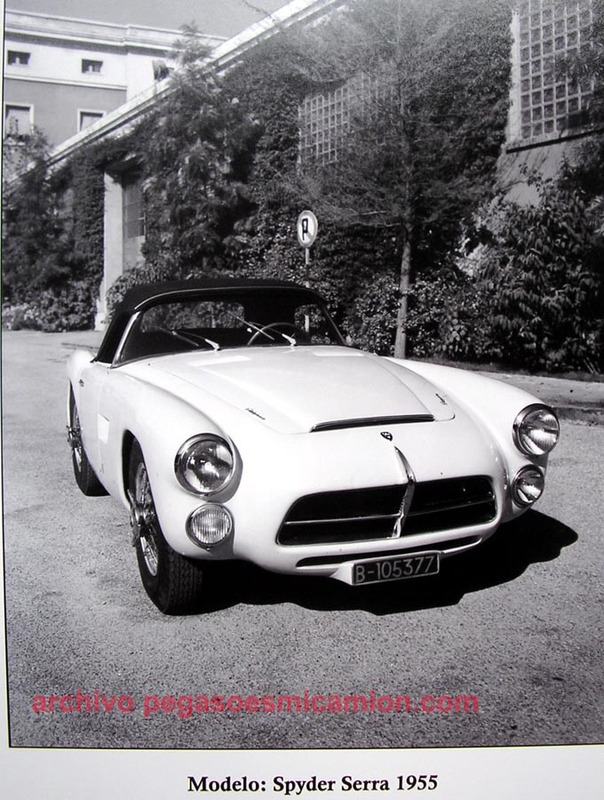 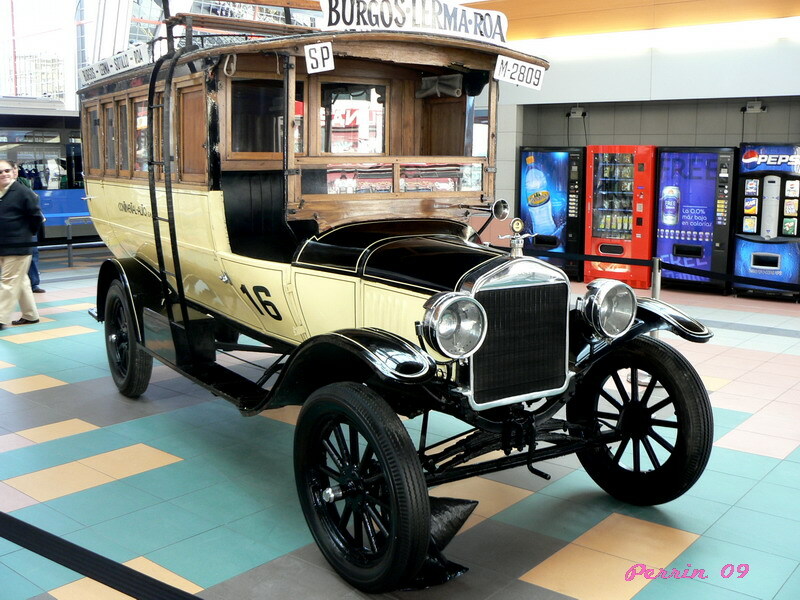 Pegasus was the brand that markets its vehicles the company state located in Catalonia ENASA ( National Company Autocamiones SA ).Founded in Barcelona in 1946 , the company maintained its headquarters in the district of Sagrera until 1980 , when he moved to the Zone . 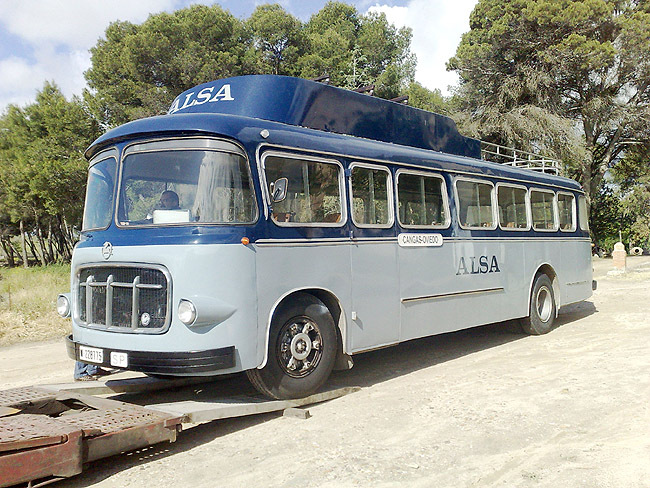 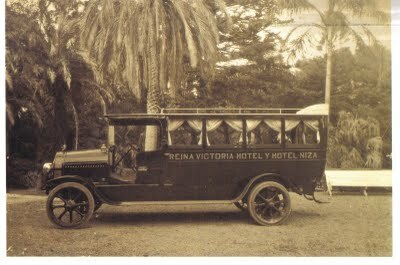 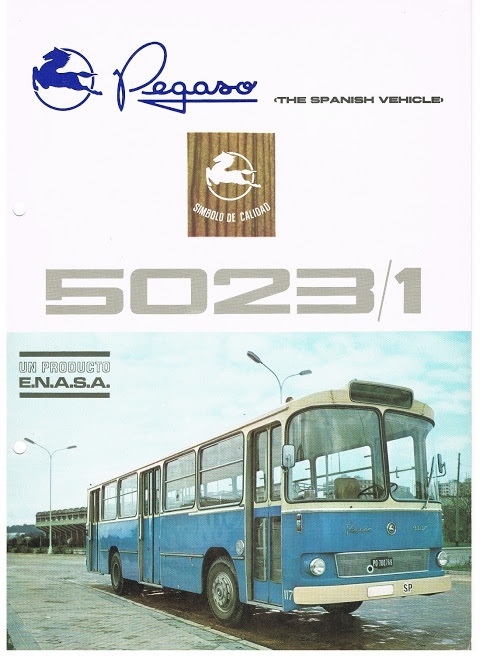 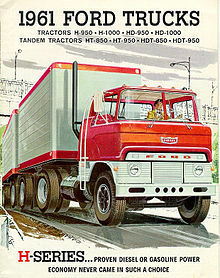 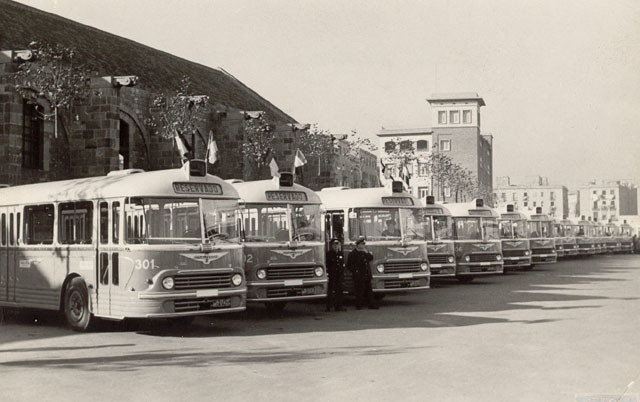 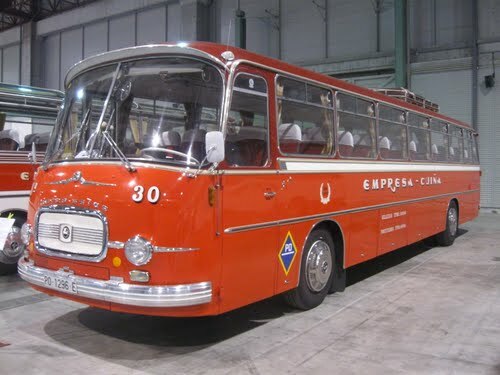 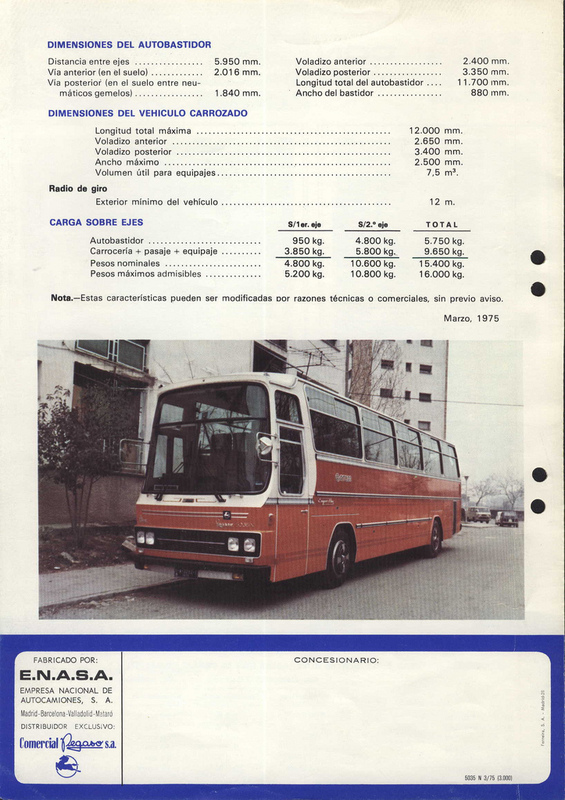 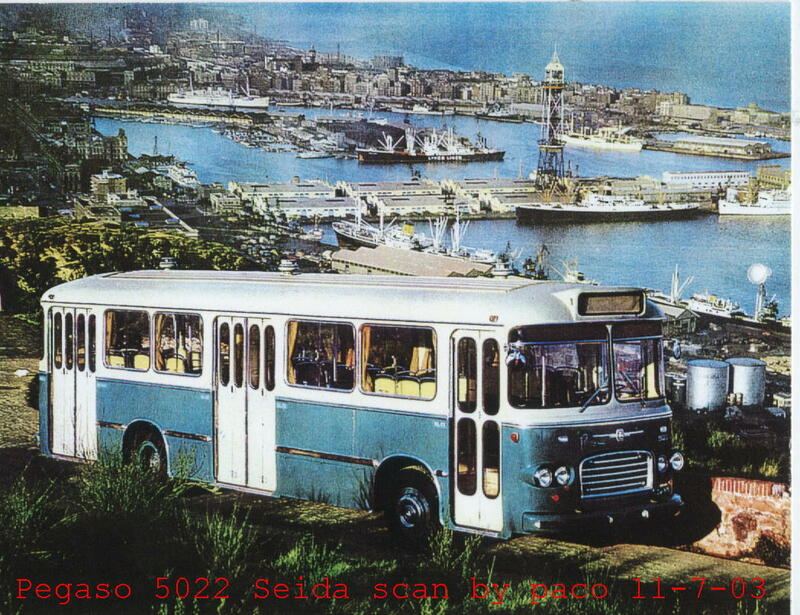 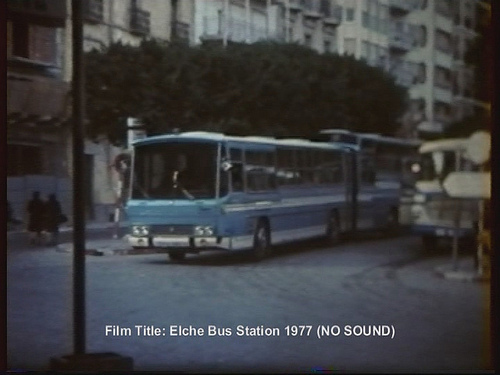 Throughout its existence, ENASA manufactures all kinds of vehicles, although it is remembered primarily for its trucks and buses. 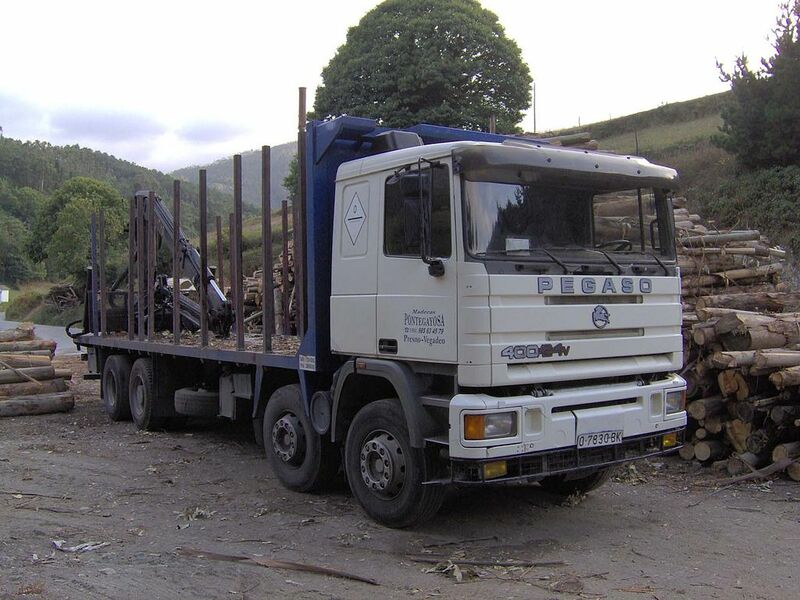 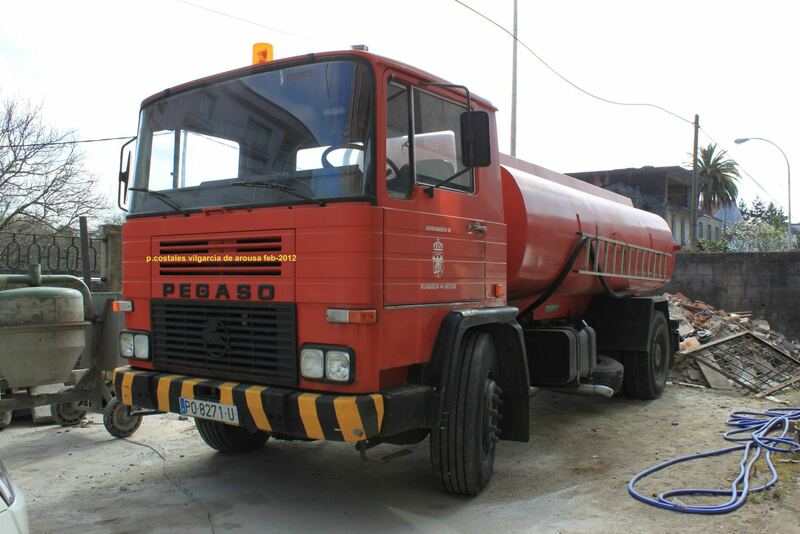 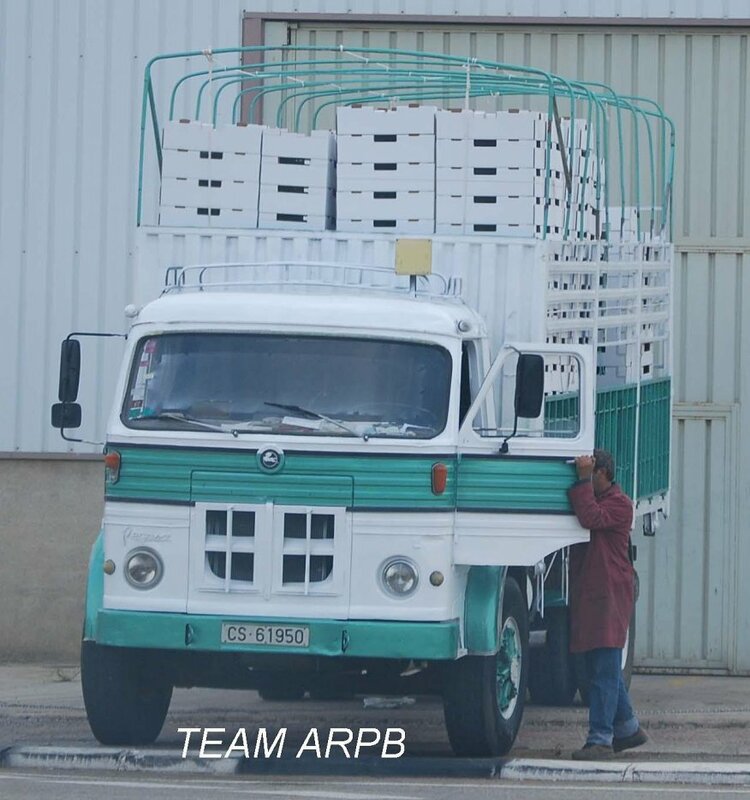 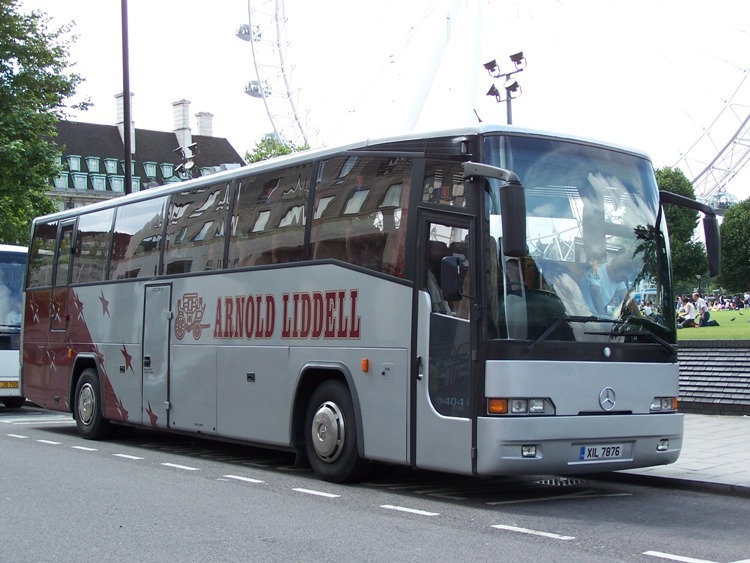 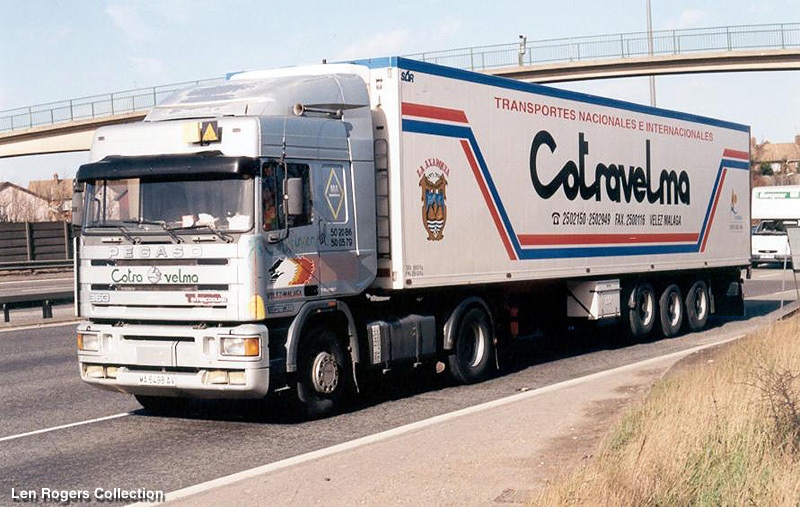 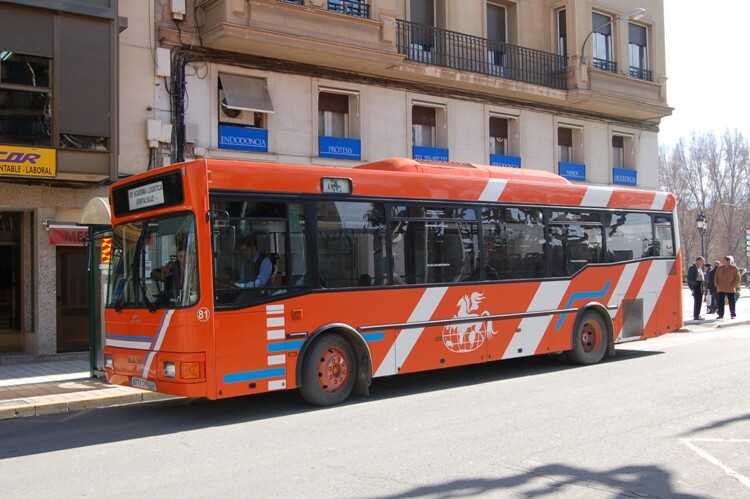 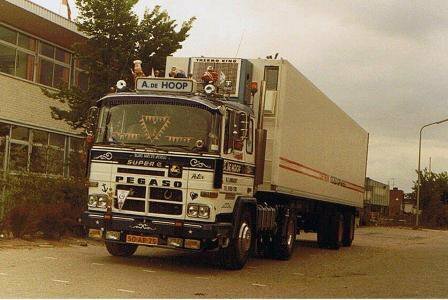 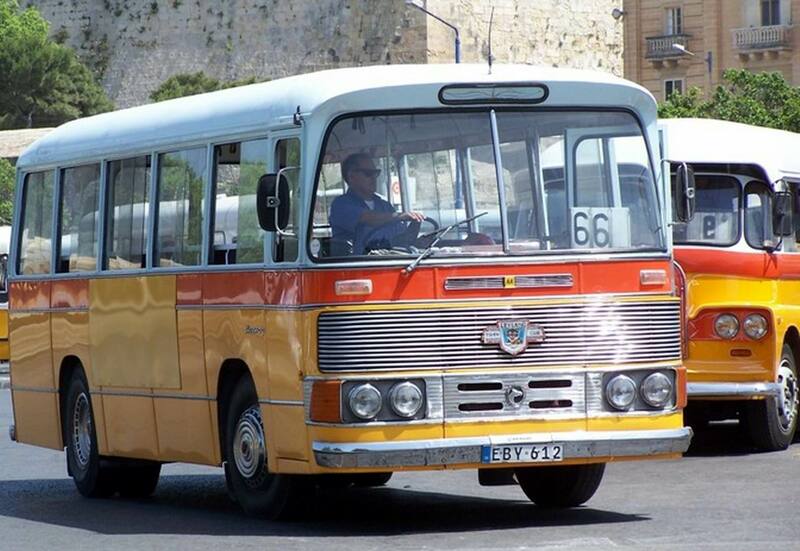 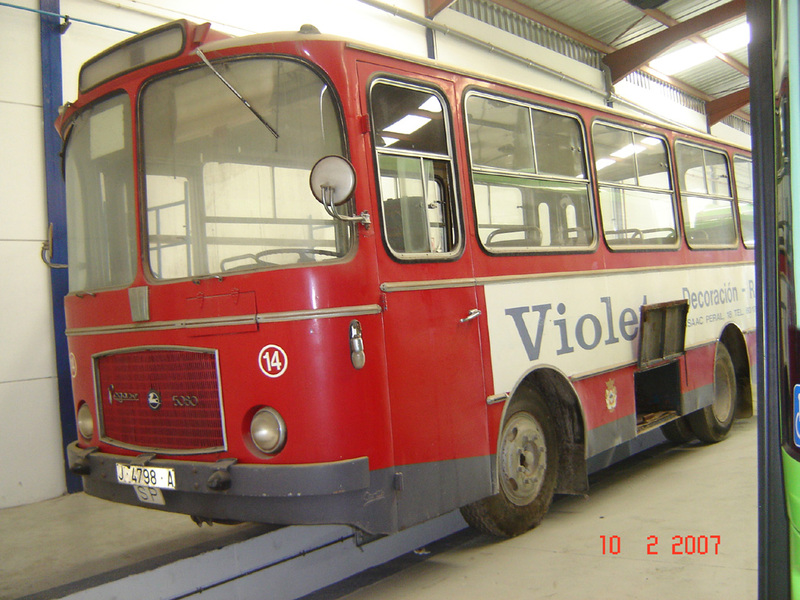 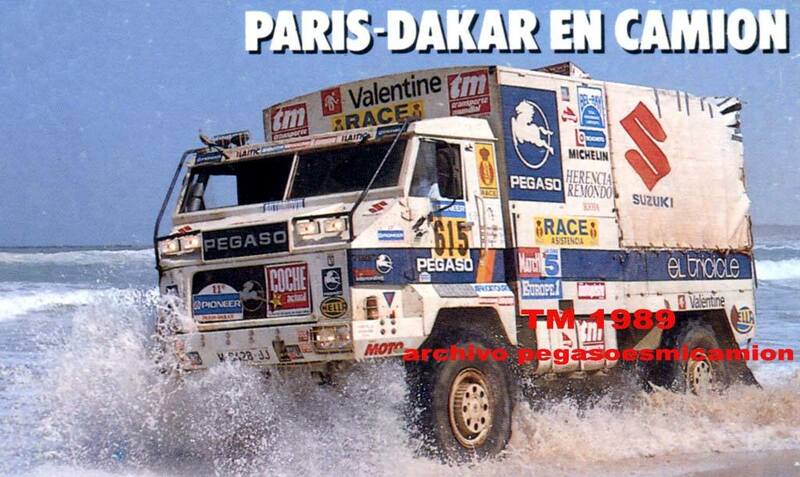 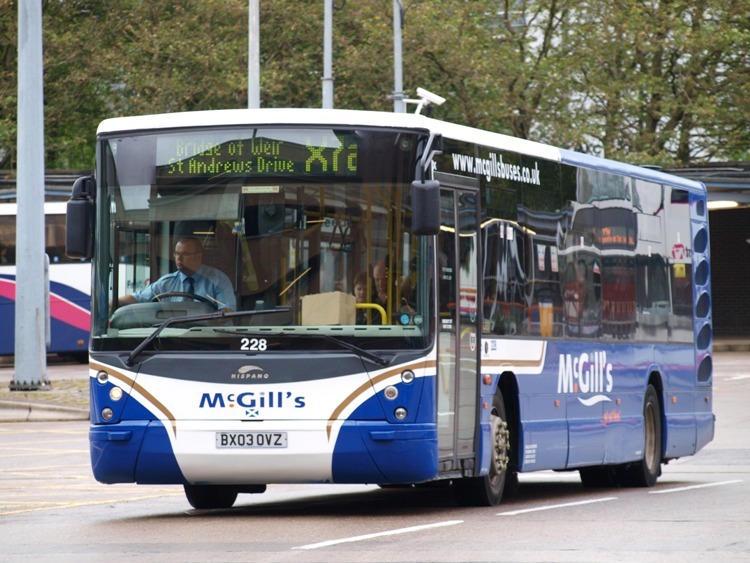 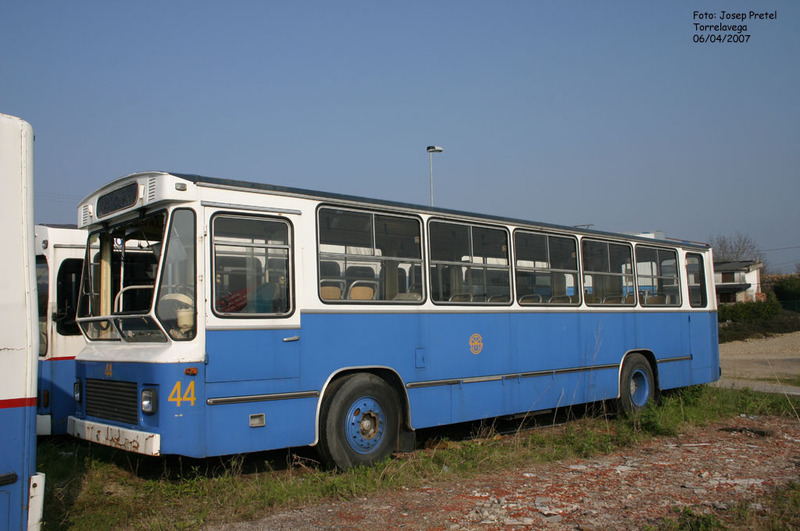 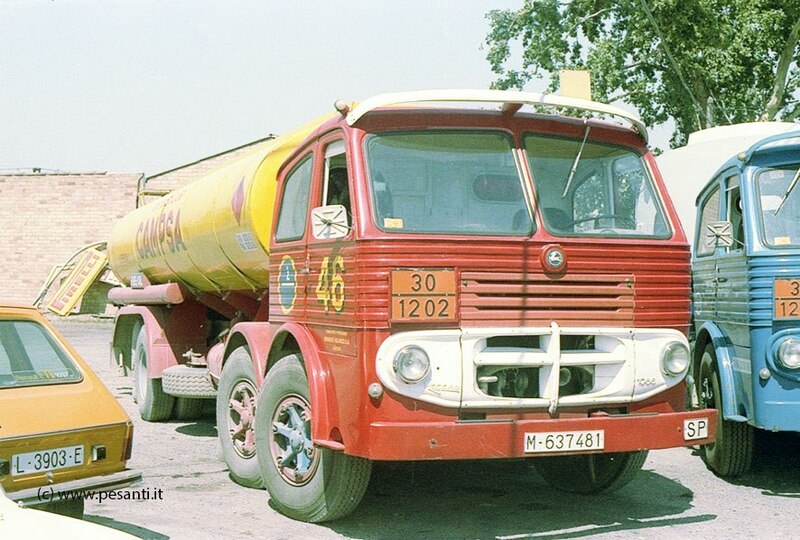 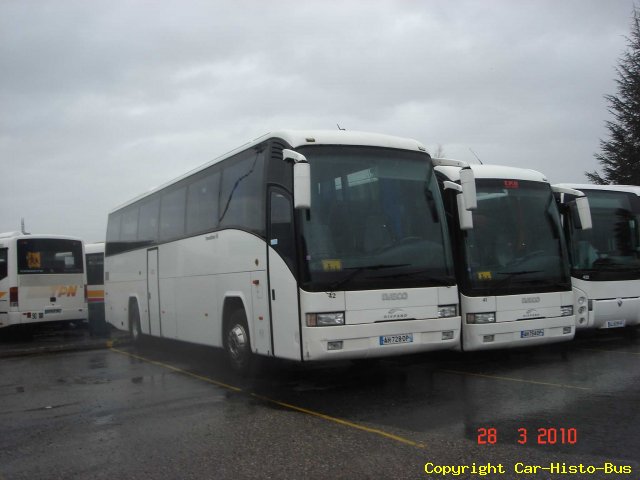 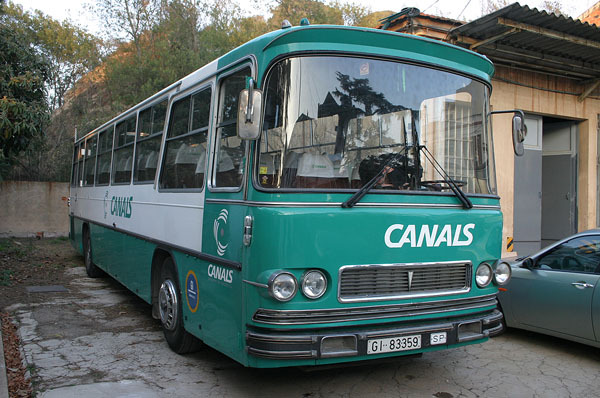 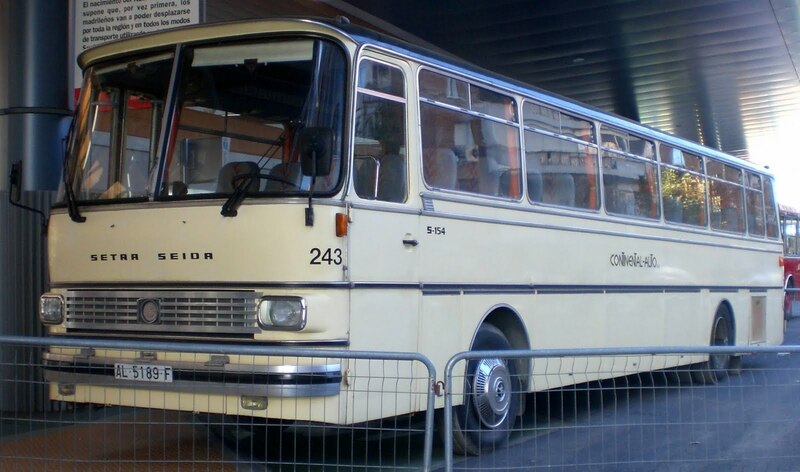 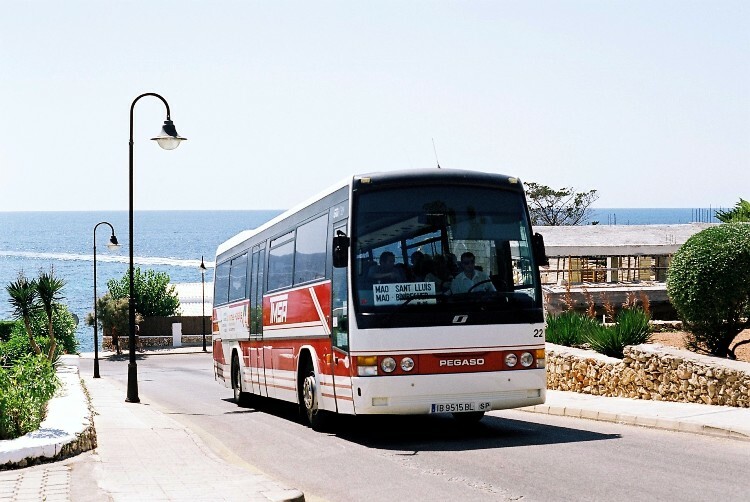 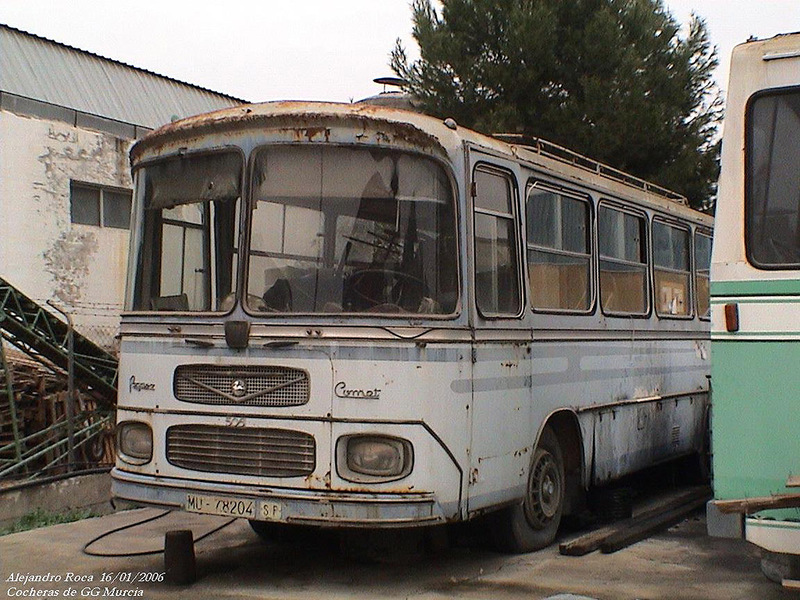 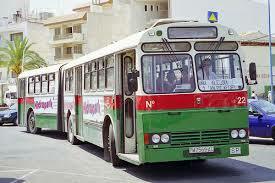 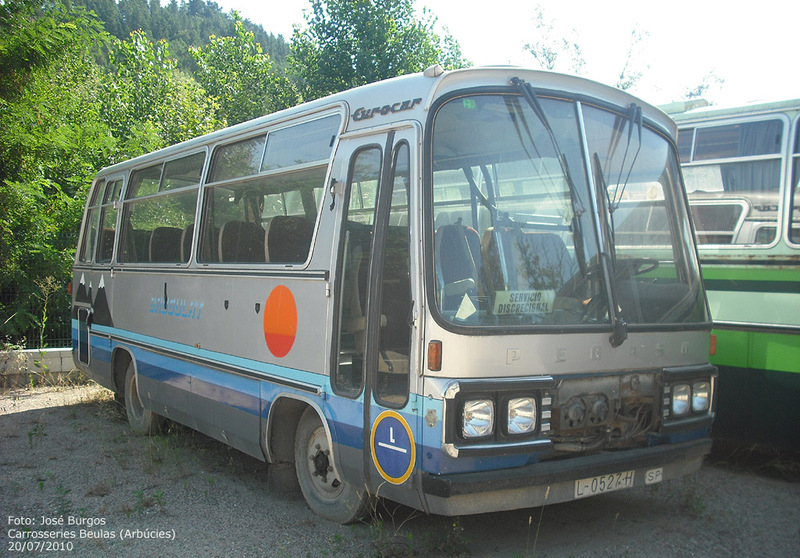 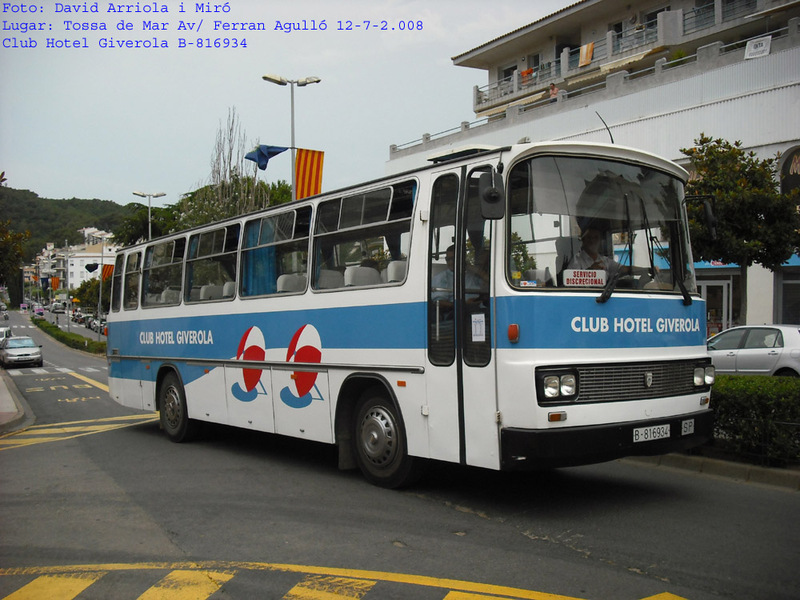 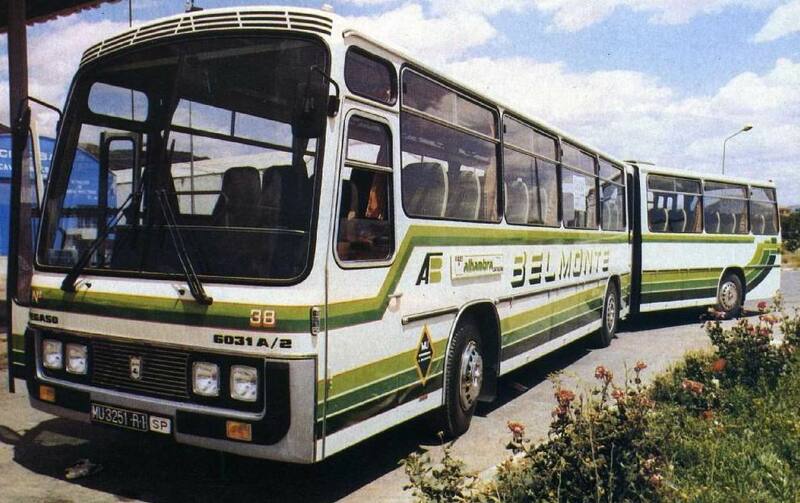 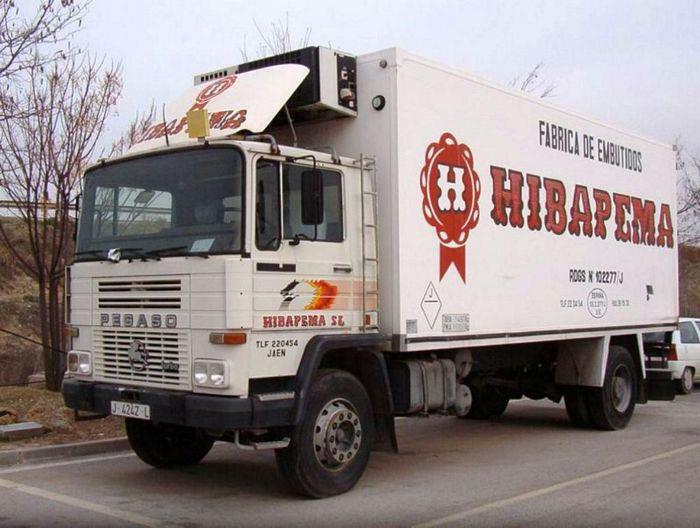 In1990 it was sold to Italian company Iveco and 1994 ceased its activity. 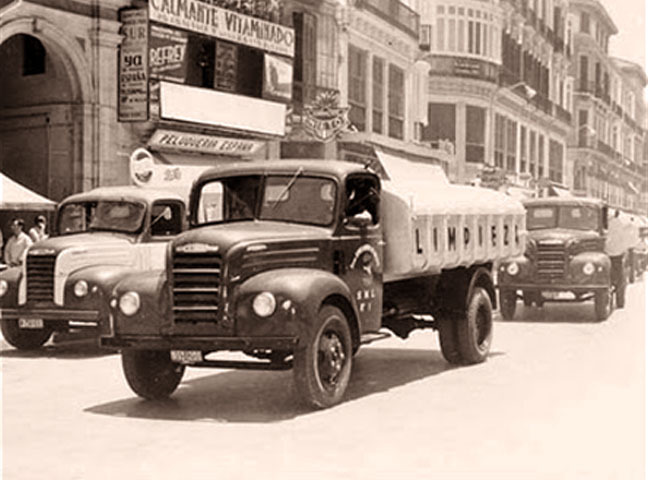 It all started on September 25, 1941, when the Spanish regime created the Instituto Nacional de Industria (INI) in order to face the problems of transport, defense and others. 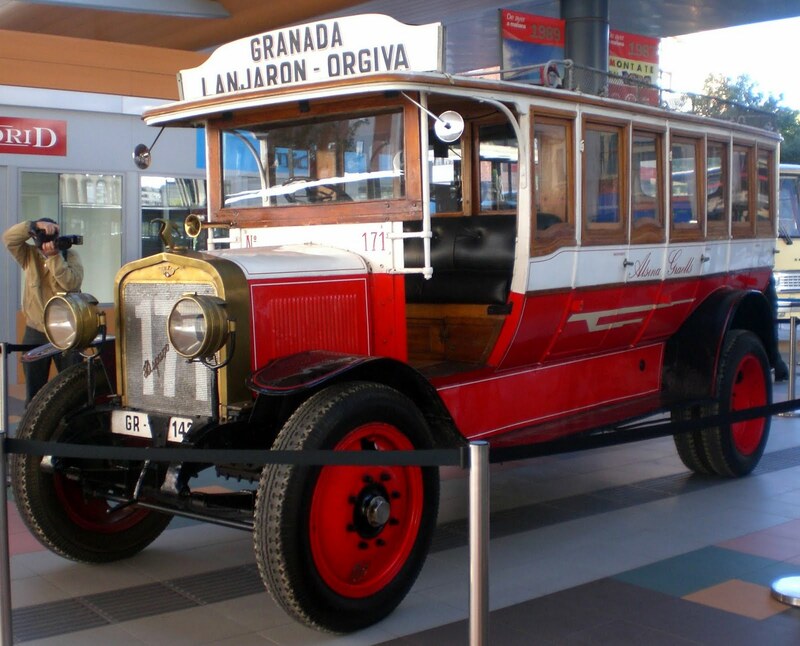 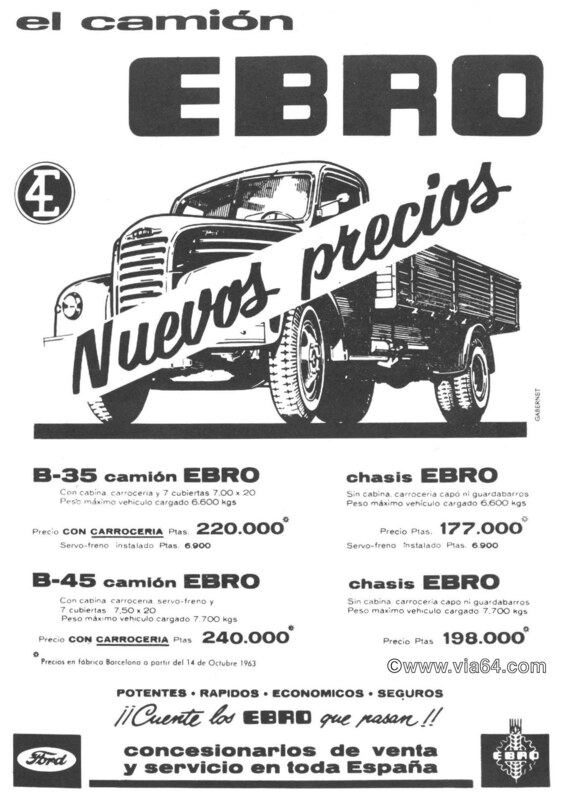 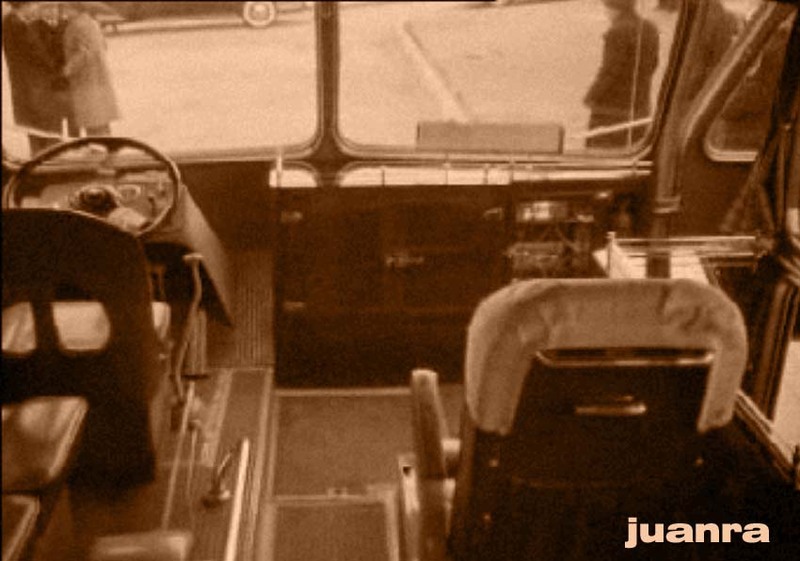 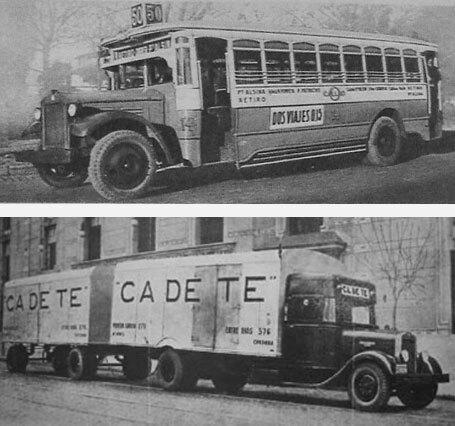 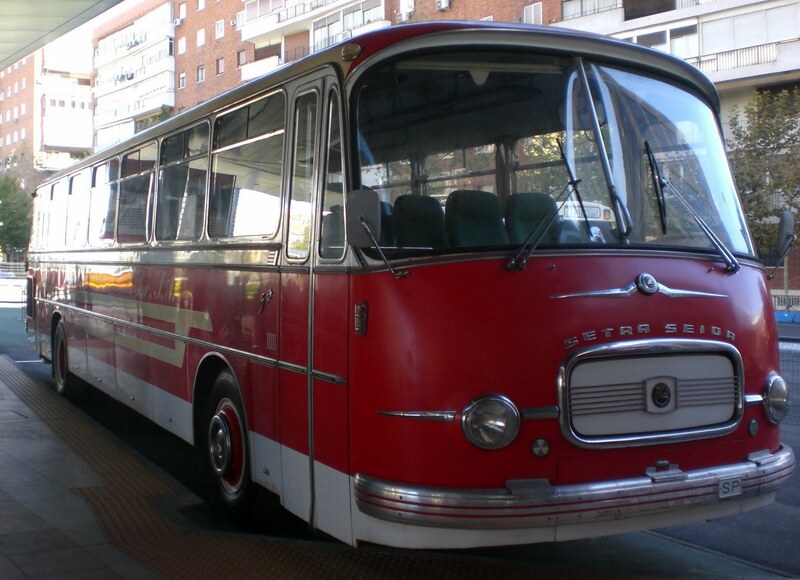 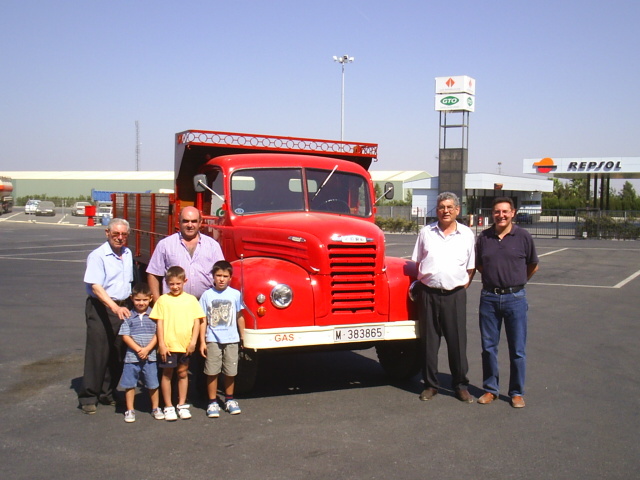 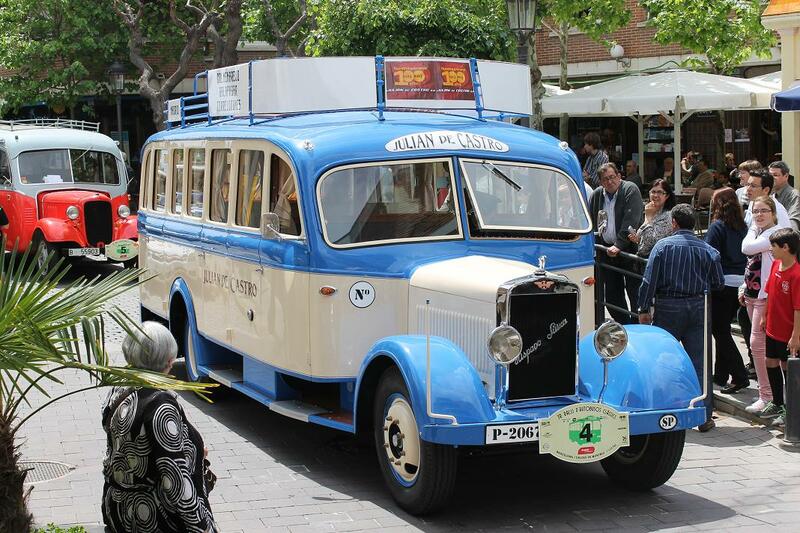 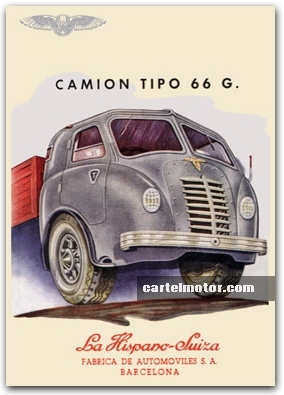 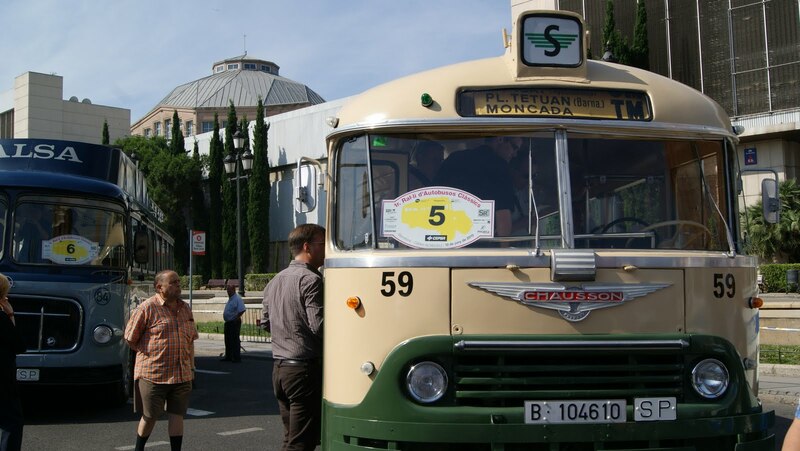 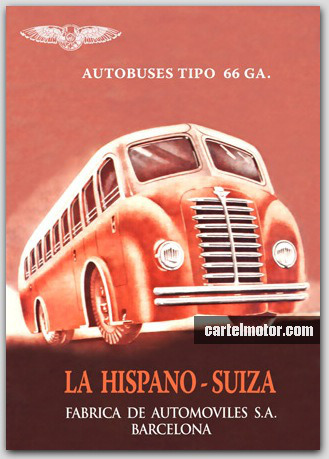 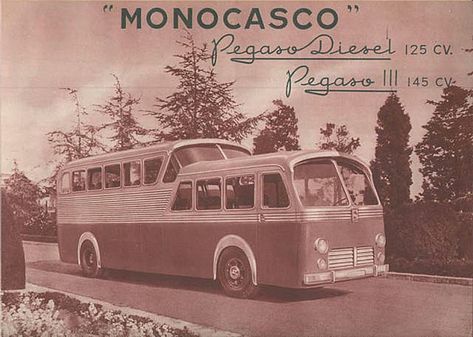 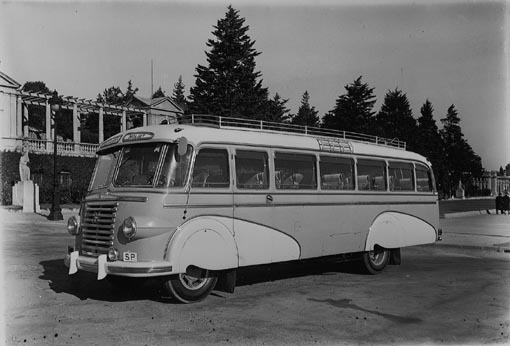 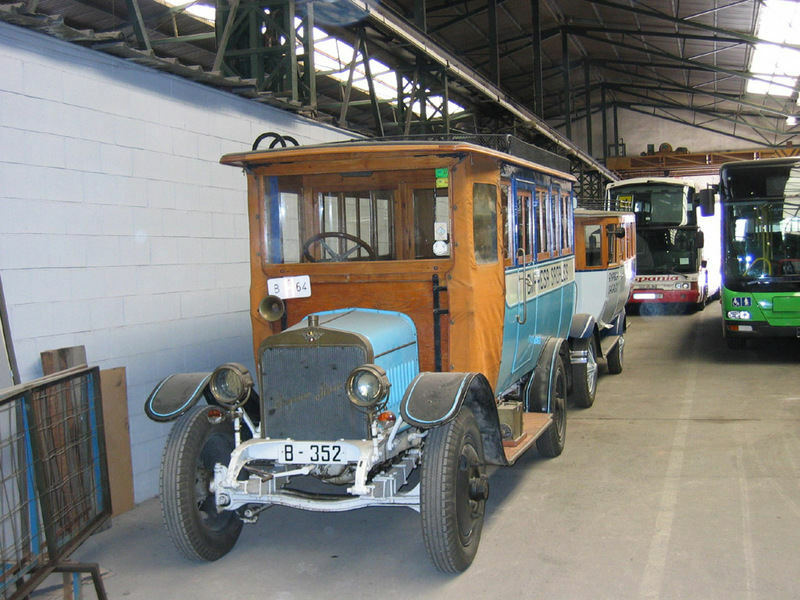 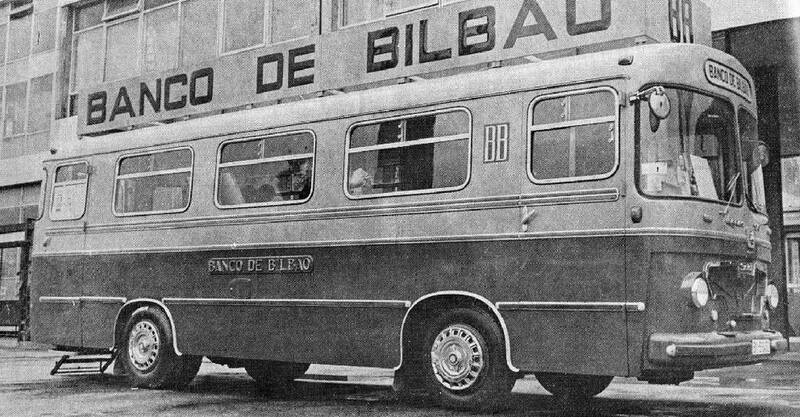 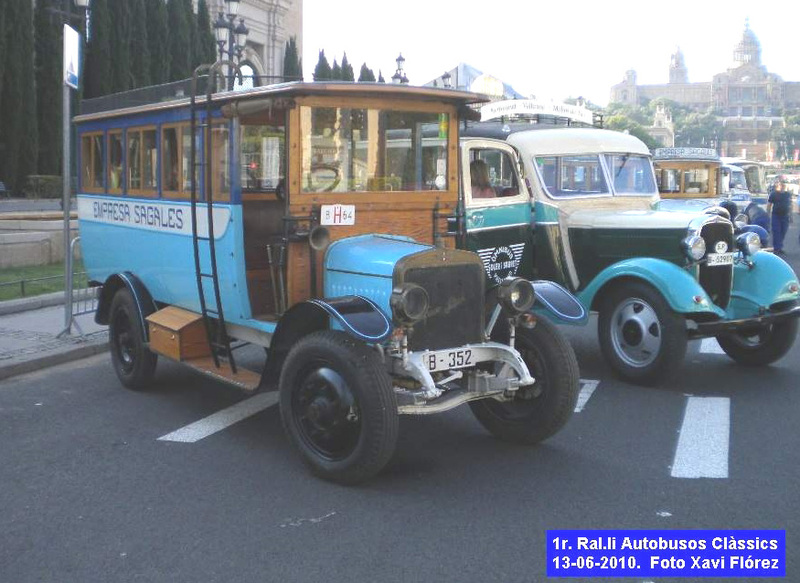 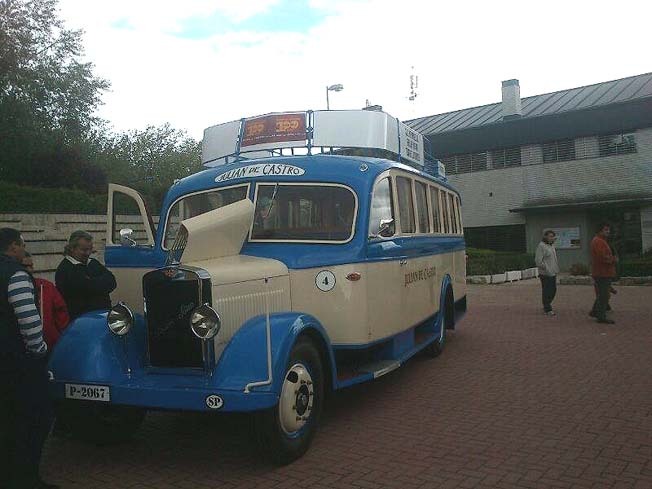 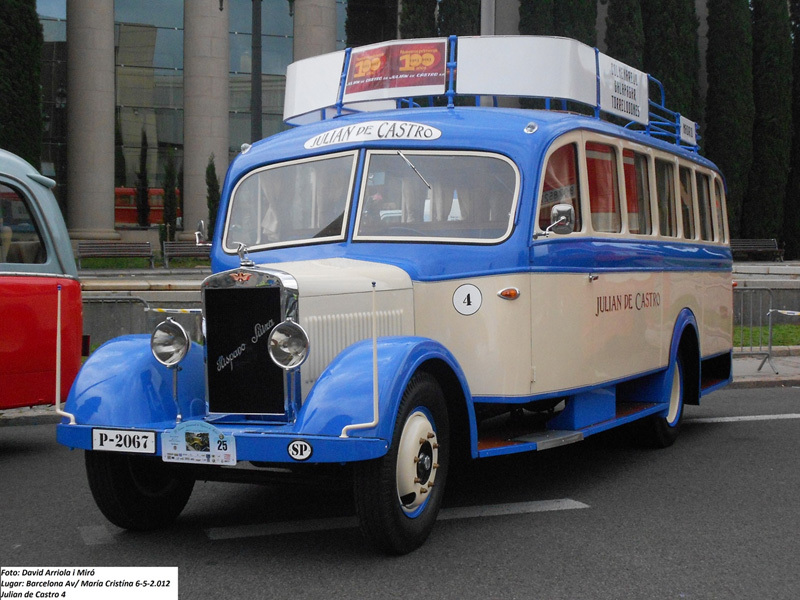 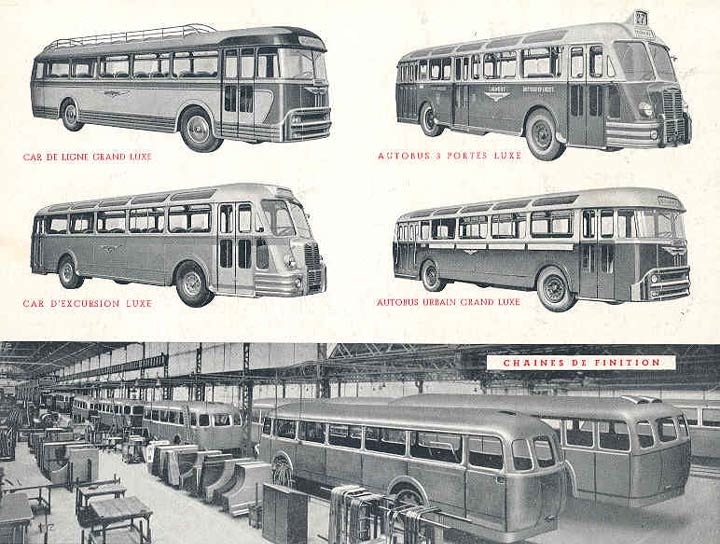 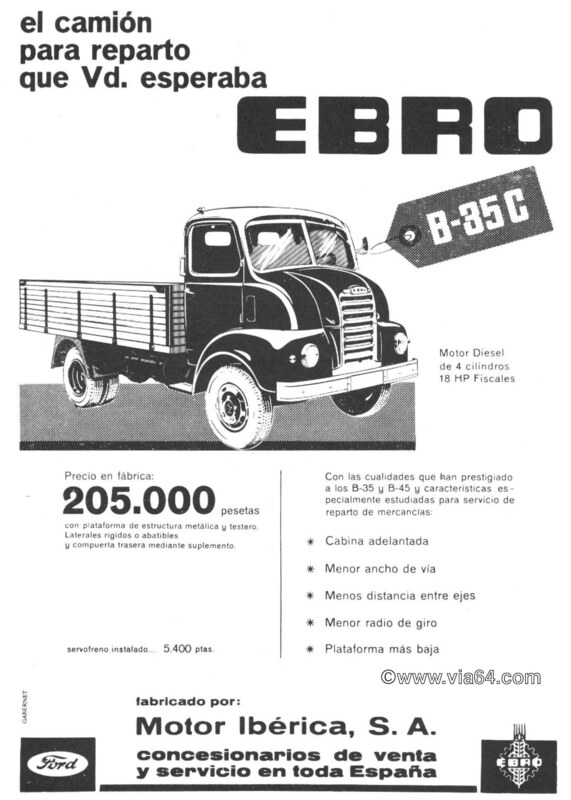 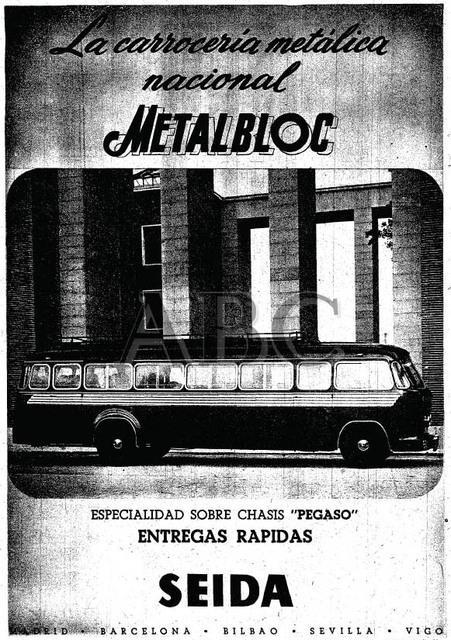 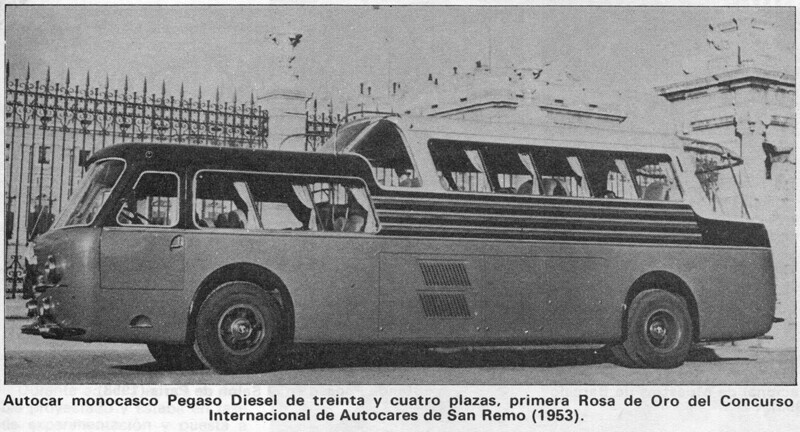 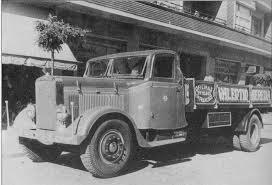 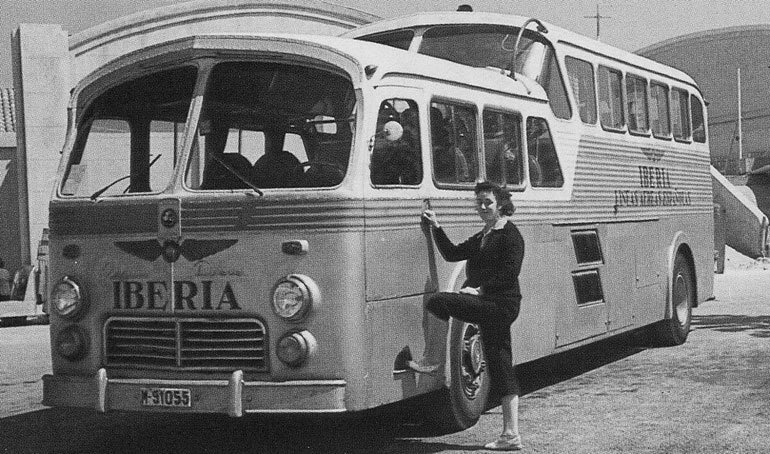 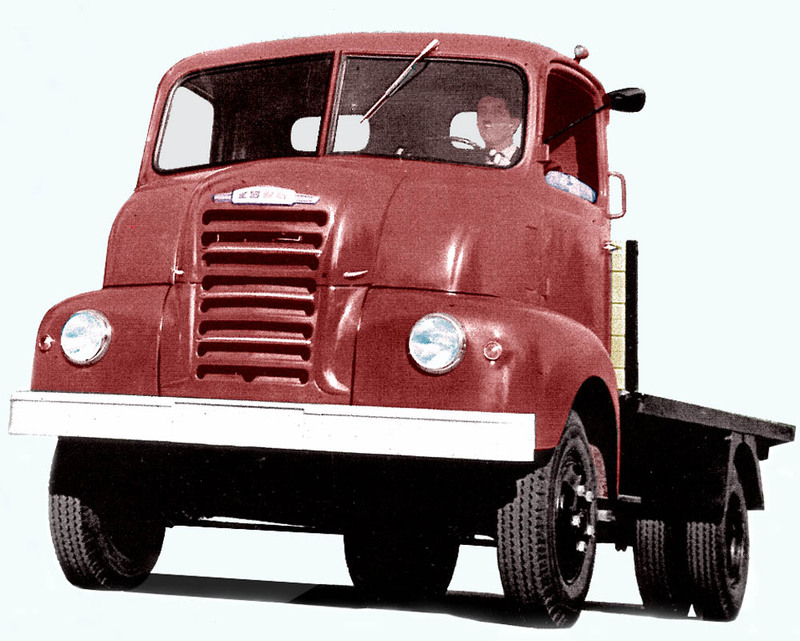 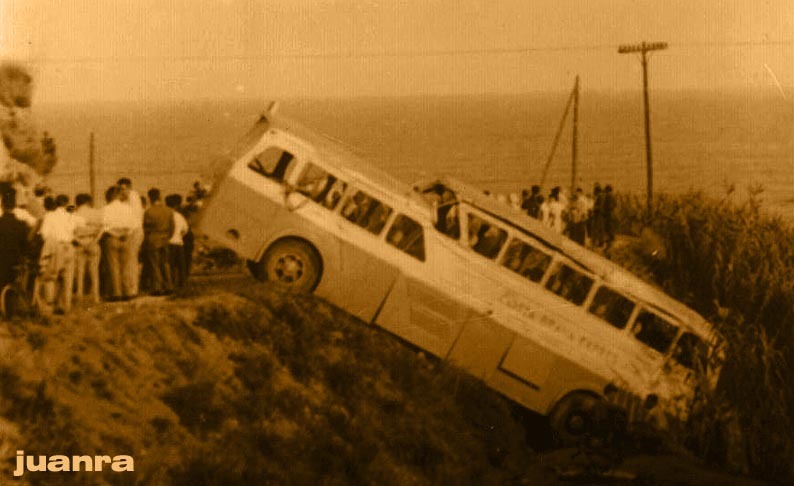 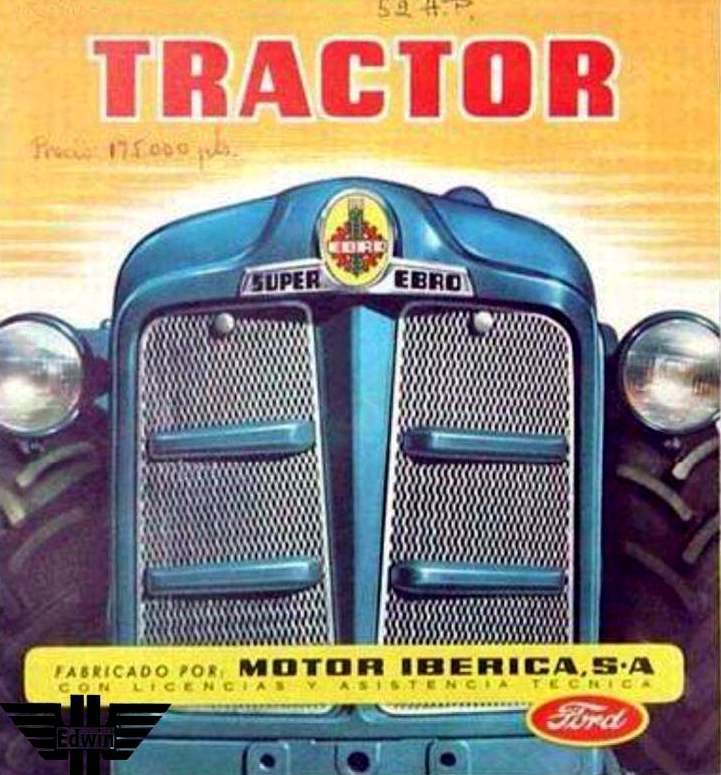 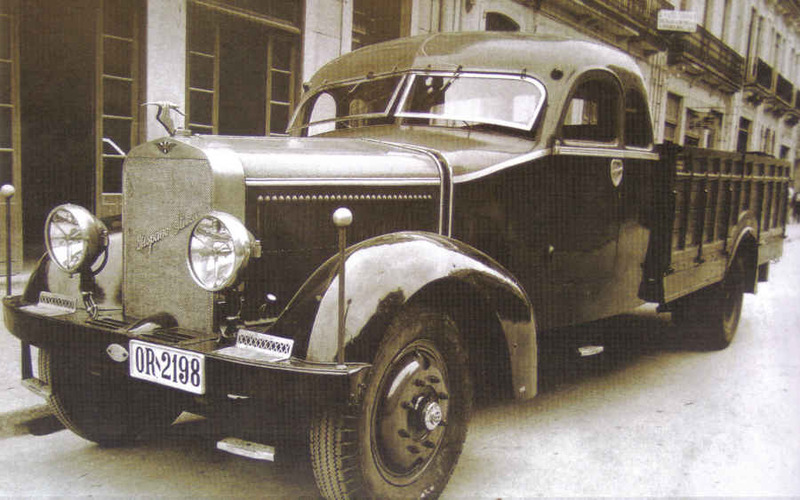 In 1946, the Technical Centre for the Study of the Automobile (CETA), created by engineer Vilfredo Ricart , was commissioned to develop a diesel truck 7/8 tons. 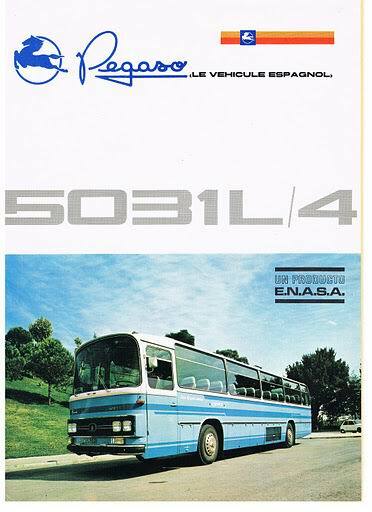 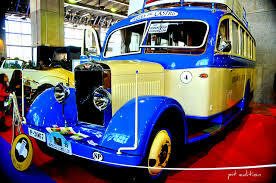 At the same time, the INI was created Automobile Technical Council and all this was the origin ENASA, the company had manufactured the truck. 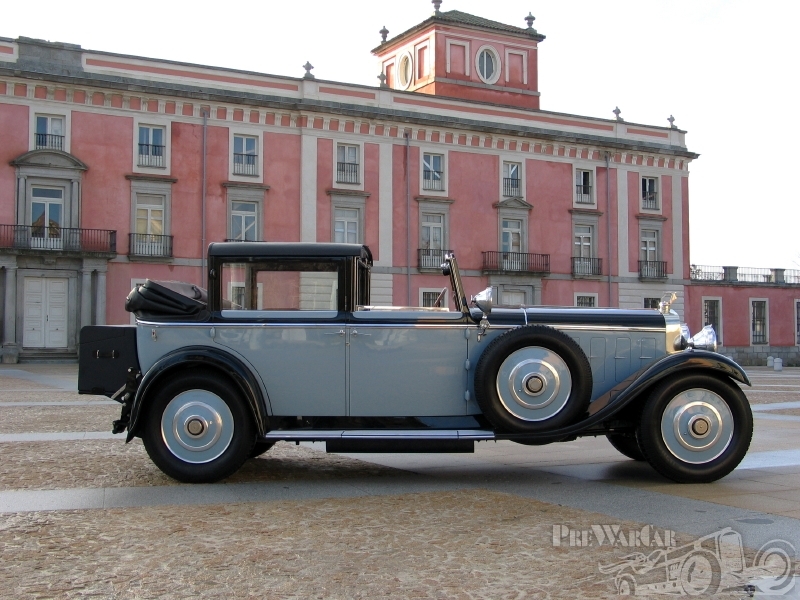 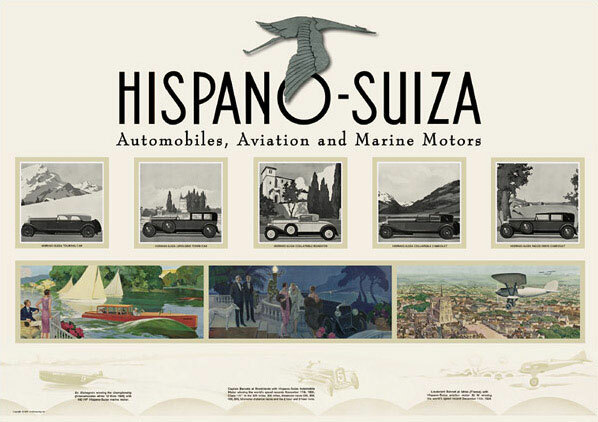 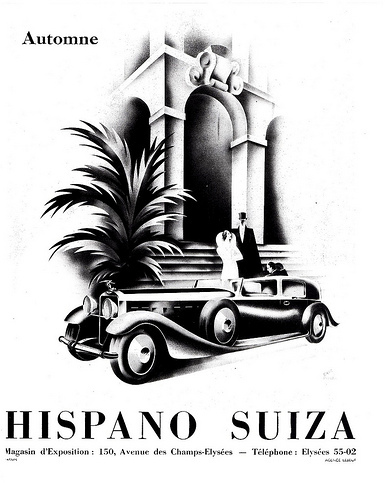 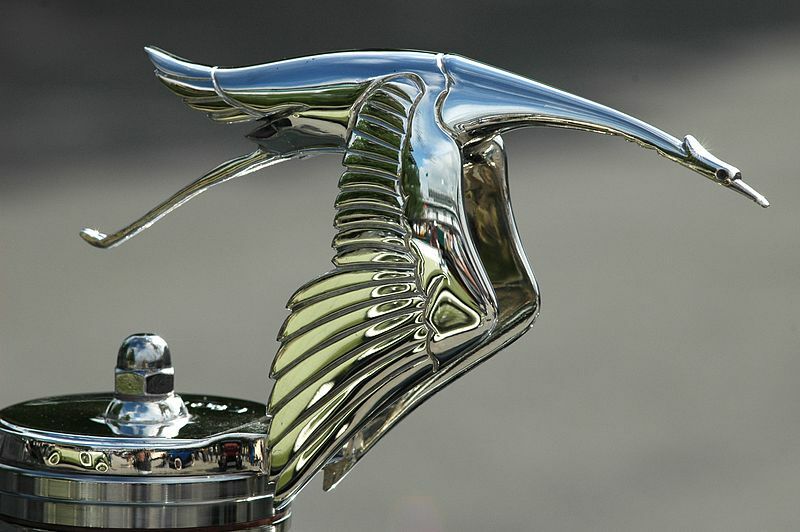 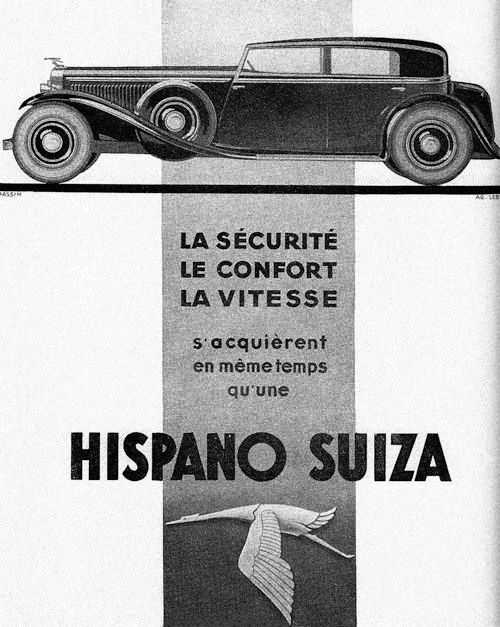 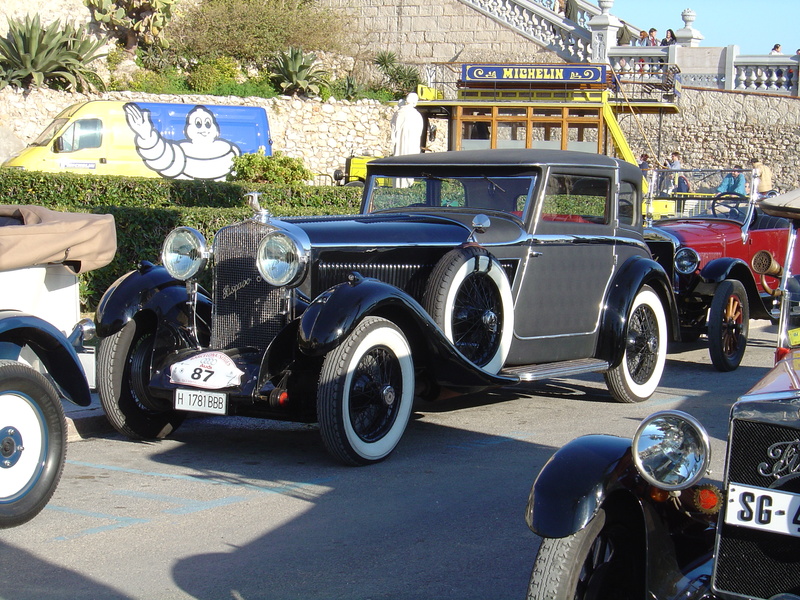 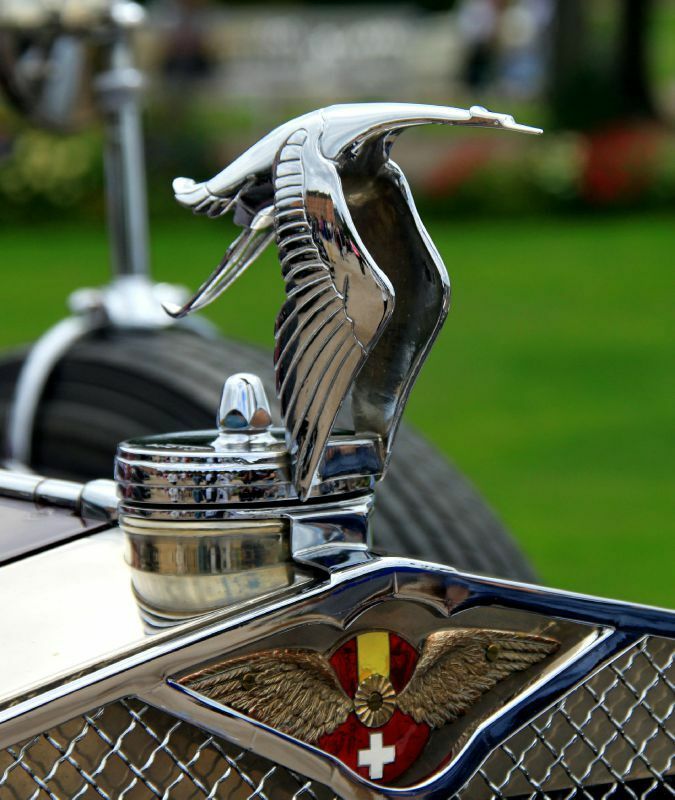 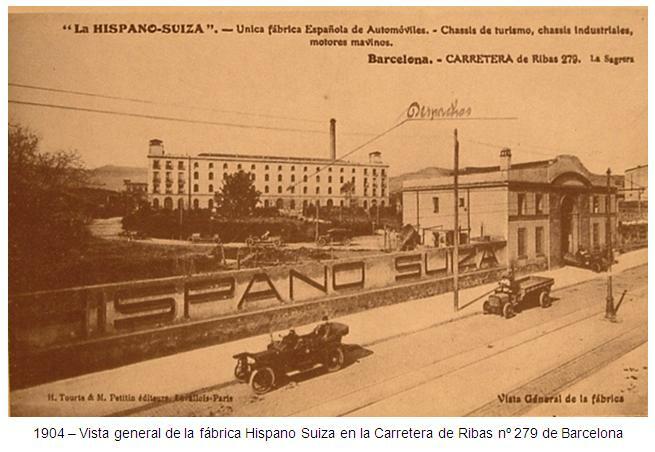 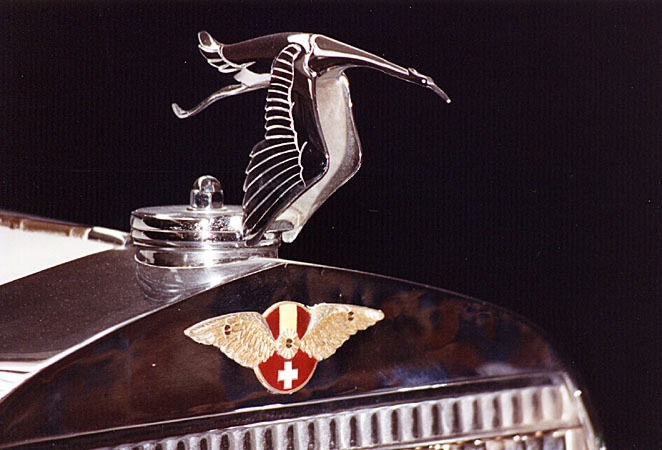 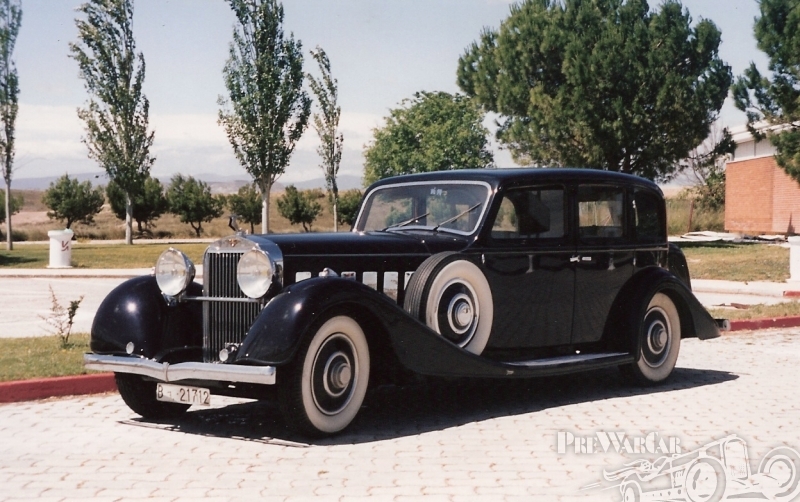 On 26 June 1946 the company was established with a registered capital of 240 million pesetas of the time, and through the INI was forced sale of the old Hispano Suiza , located Sagrera ( the current Park Pegasus). 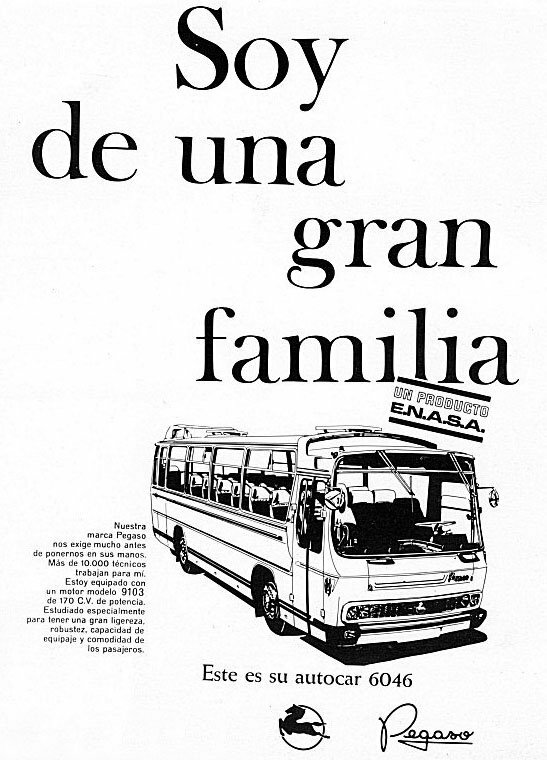 ENASA took charge of personnel and facilities, taking advantage of the popularity it had in passing the old company. 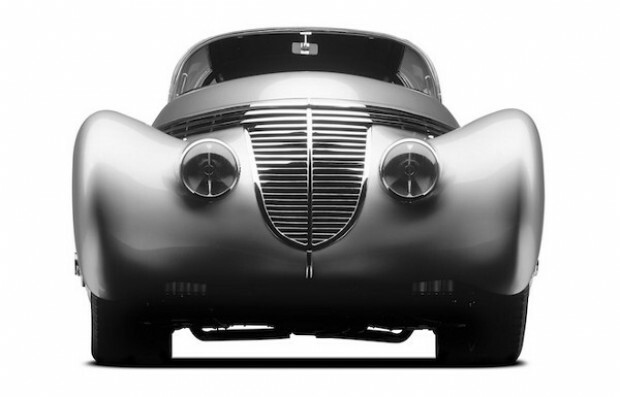 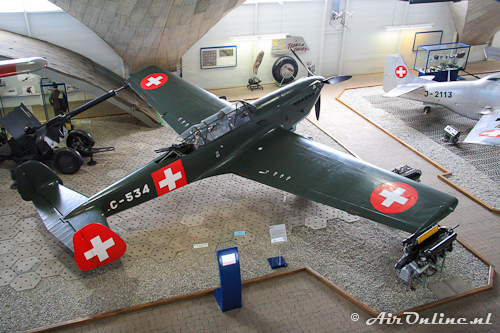 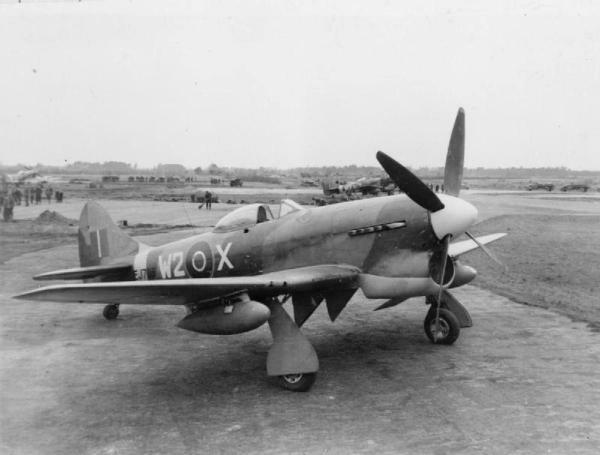 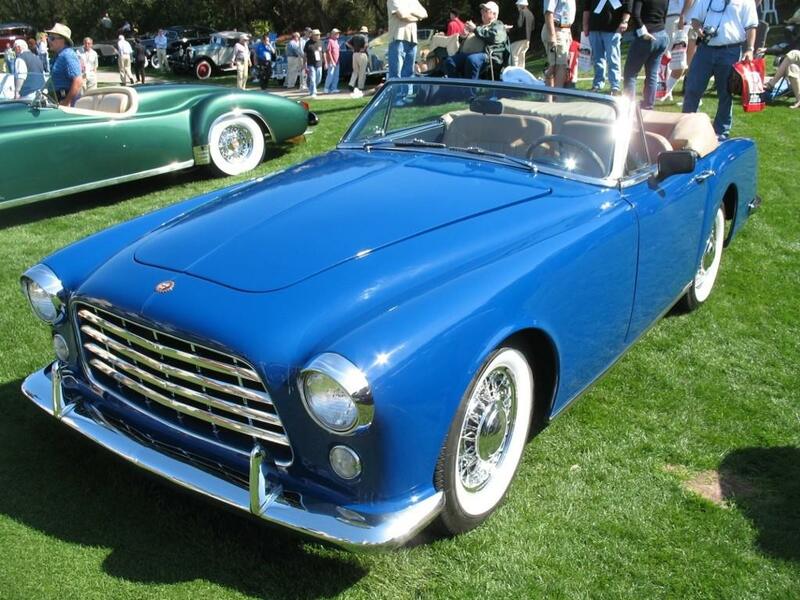 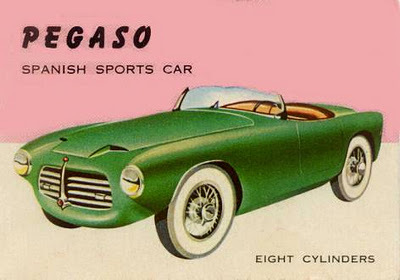 And thus was born the Pegasus, which was very similar to the Hispano Suiza 66d, followed by Diesel Pegasus (Pegasus II) around 1949, and then the Z-206 engine with a six-cylinder 100 mm in diameter 120mm race, which gave 120 hp at 1,800 rpm, and an eight-speed gearbox, although subsequently it increased the power to 140 hp. 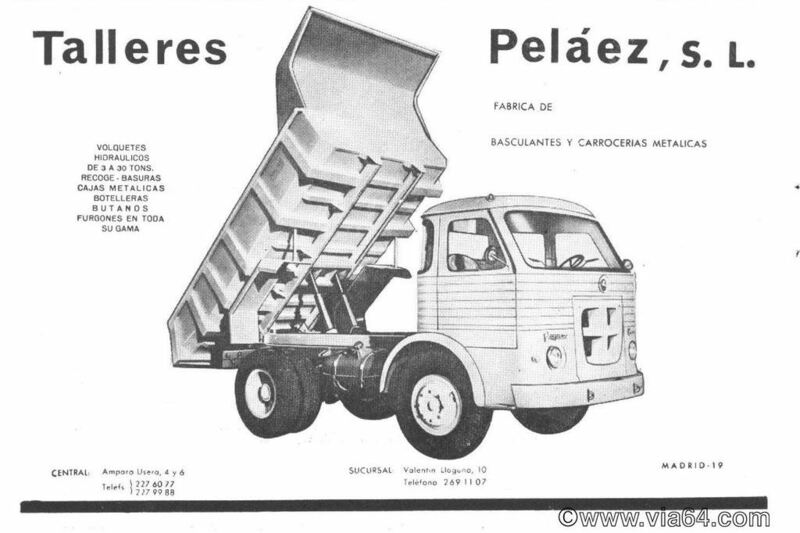 This model was known by the nickname “Mofletes “(” cheeks “). 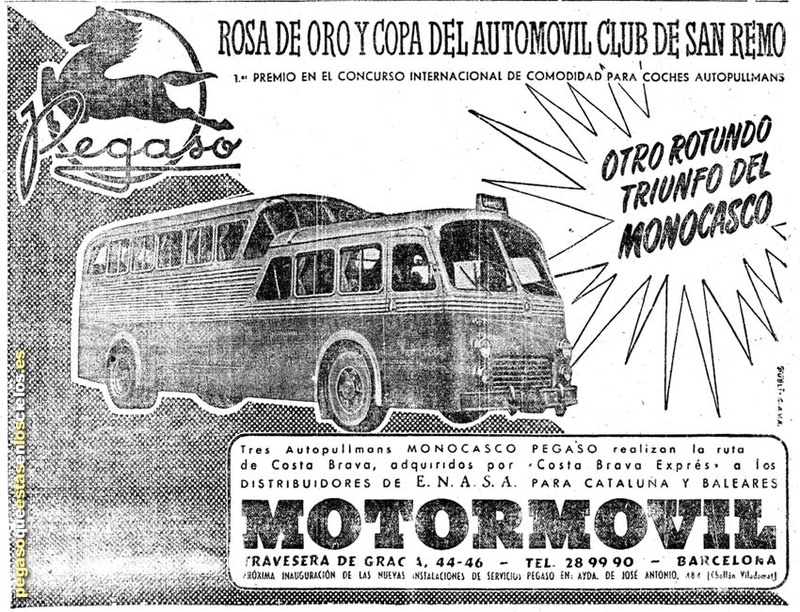 Based on these mechanics also appeared a coach with a curious body. 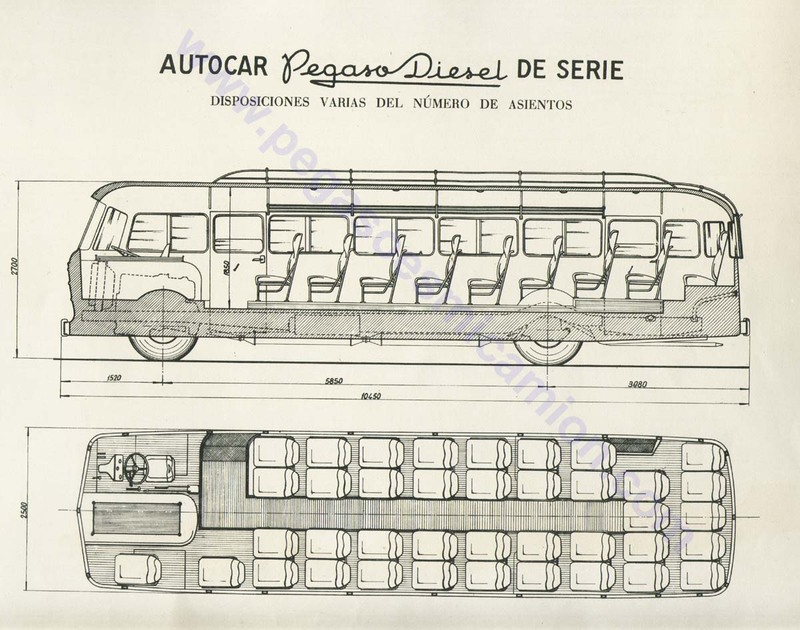 This type of engine architecture, together with direct injection that was followed in the construction of the Pegasus engines. 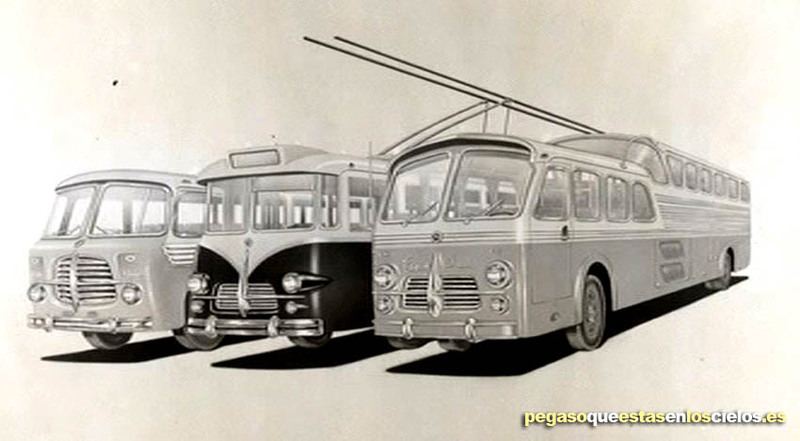 1950 Paris Motor Show, self-presentation racks. 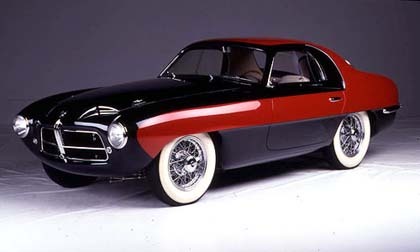 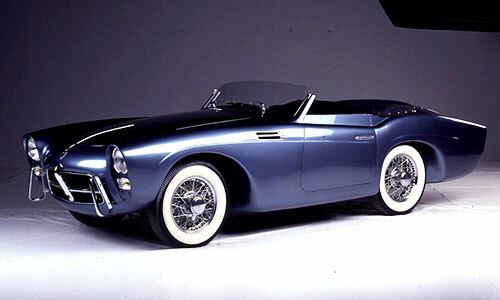 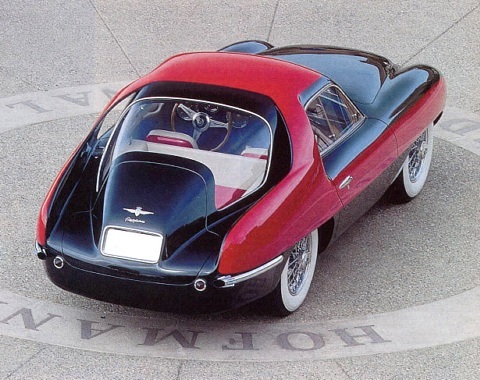 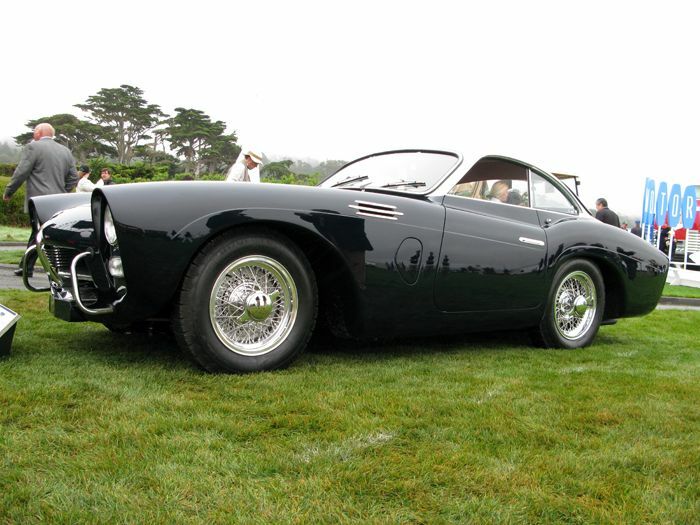 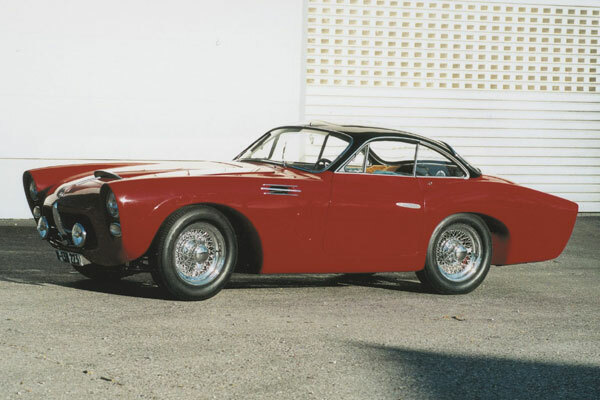 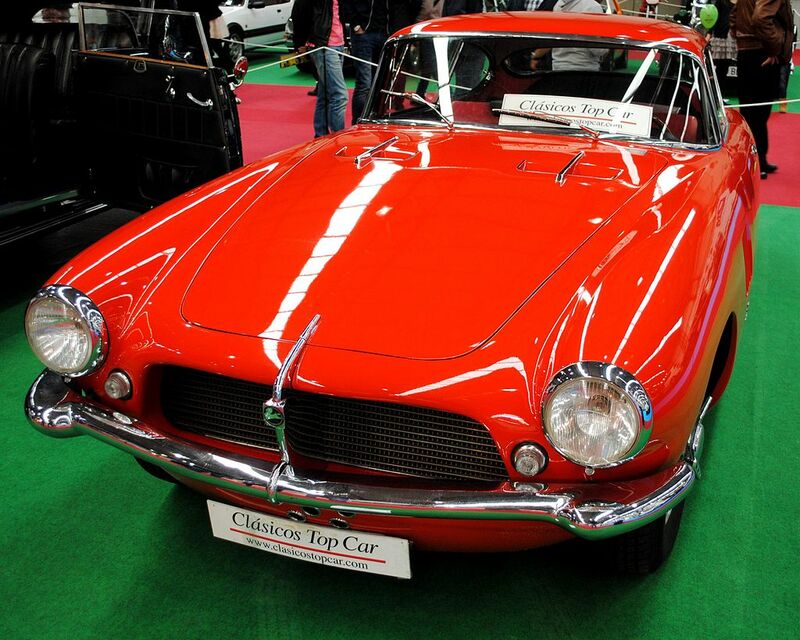 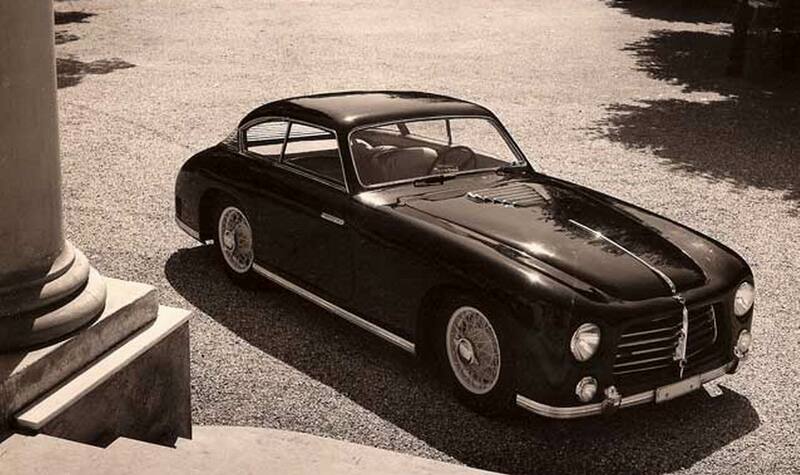 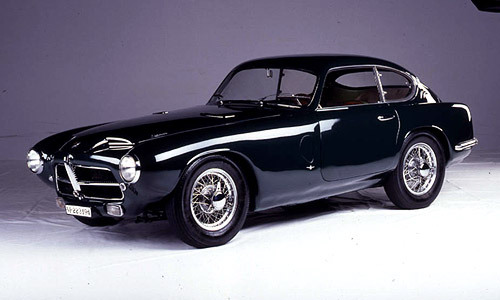 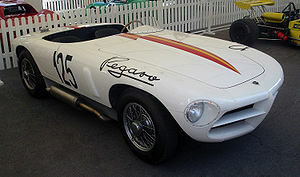 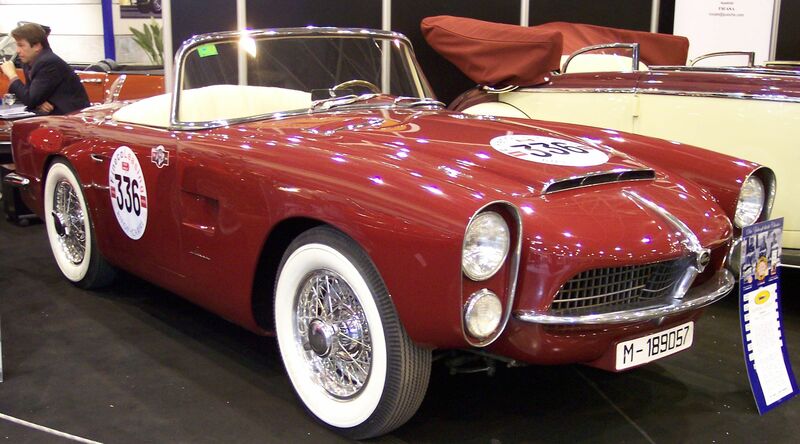 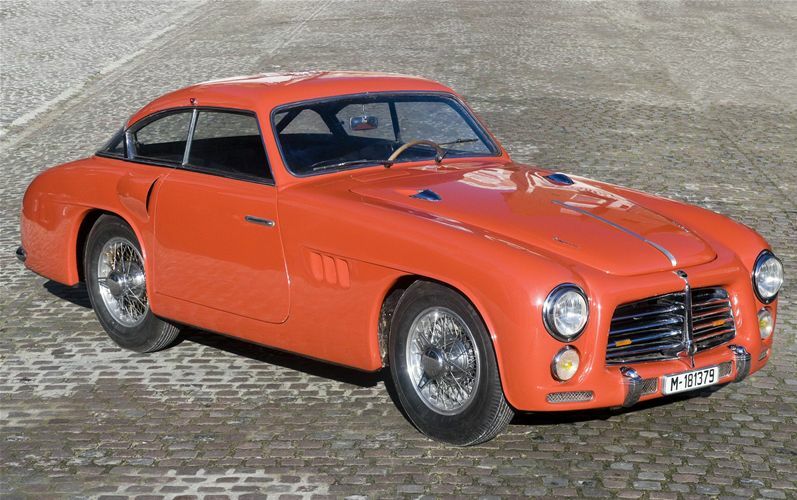 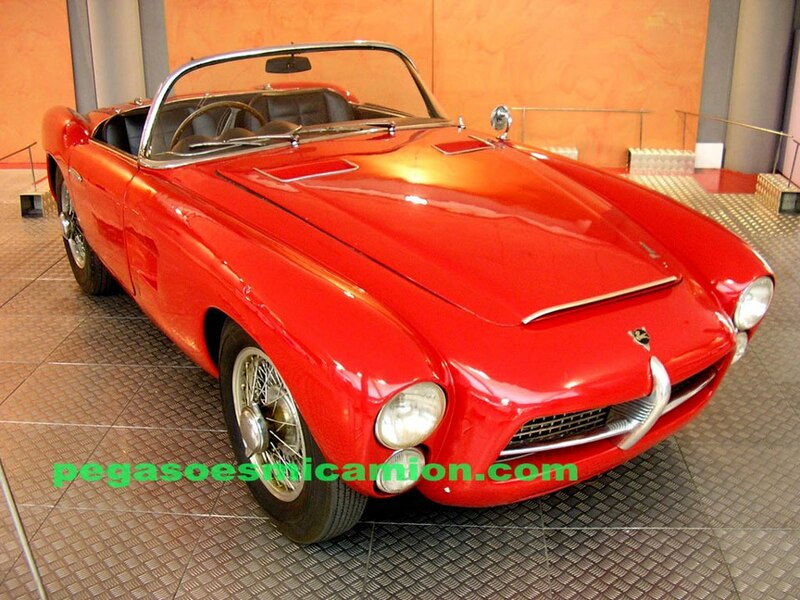 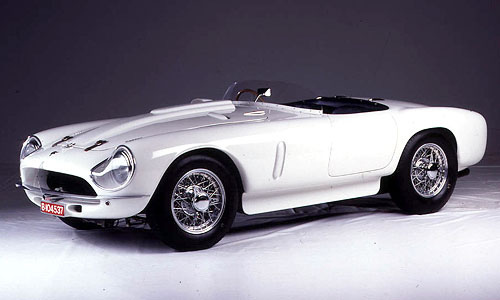 1951 Paris Motor Show, was presented the legendary grand touring car Pegaso Z-102 , with several bodies ENASA intended to give prestige to the brand. 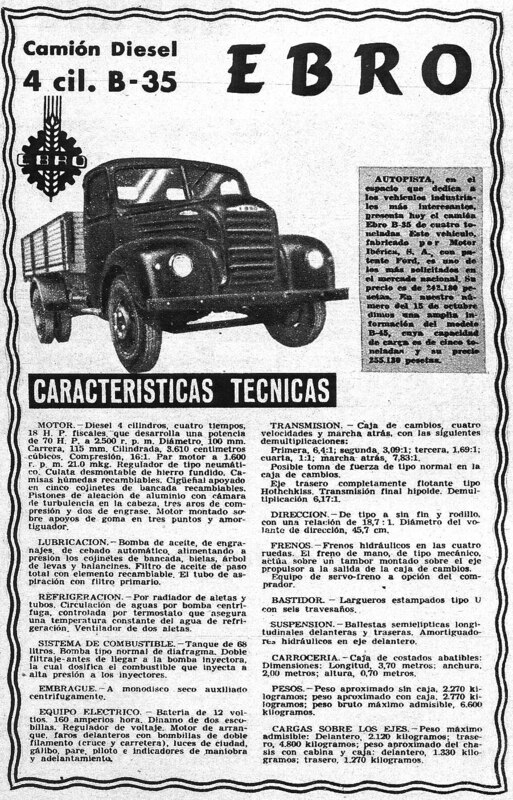 1960 Reorganization of technical structure, creating the Central Technical Department , standing in Sagrera, and assuming all the functions of CETA. 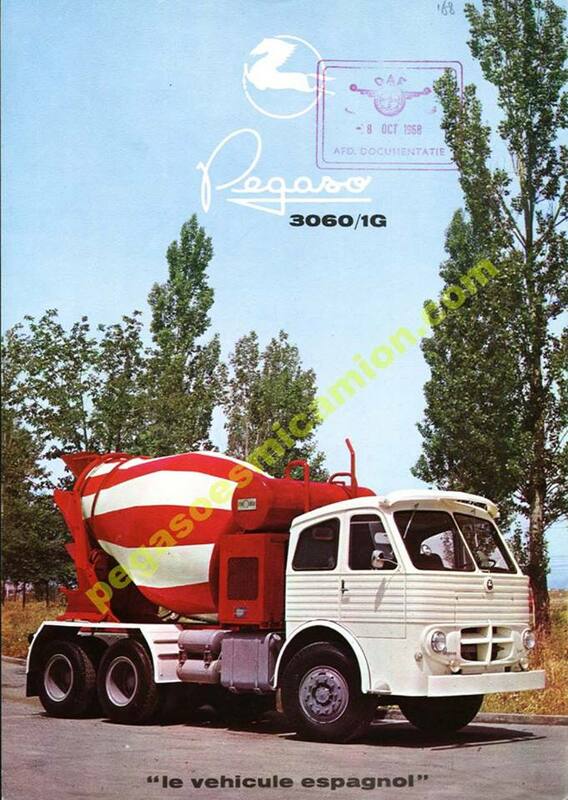 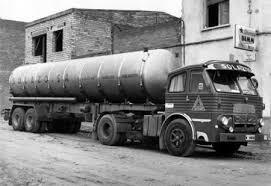 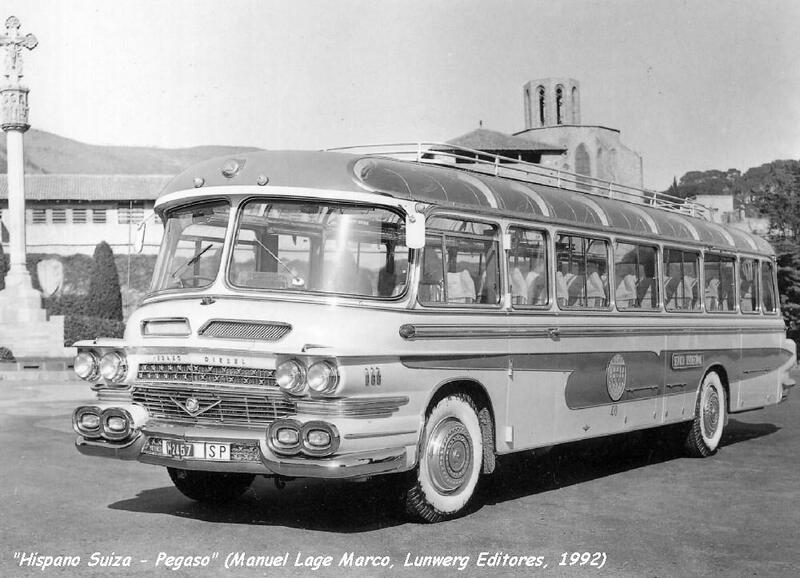 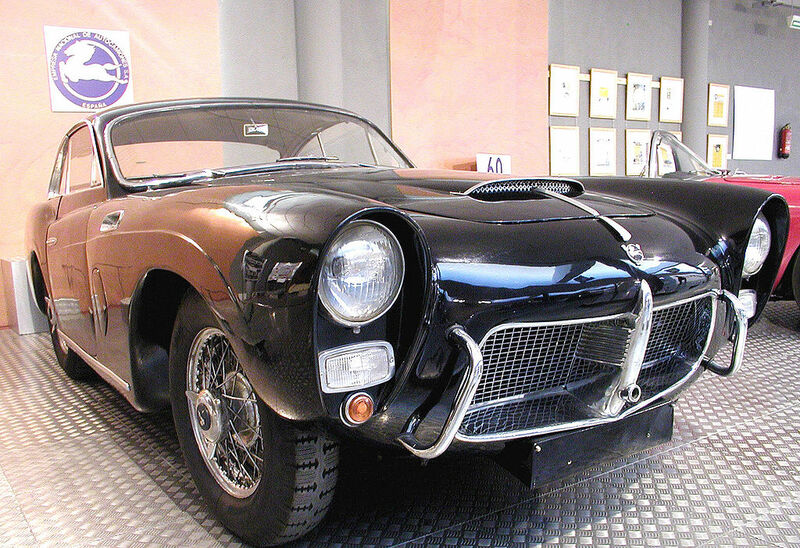 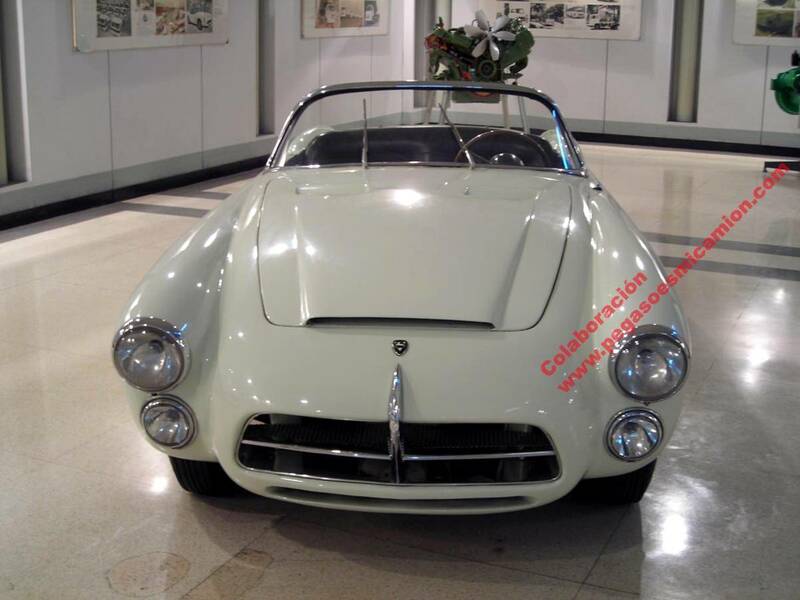 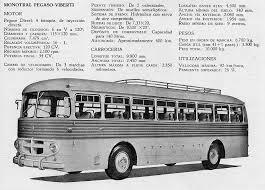 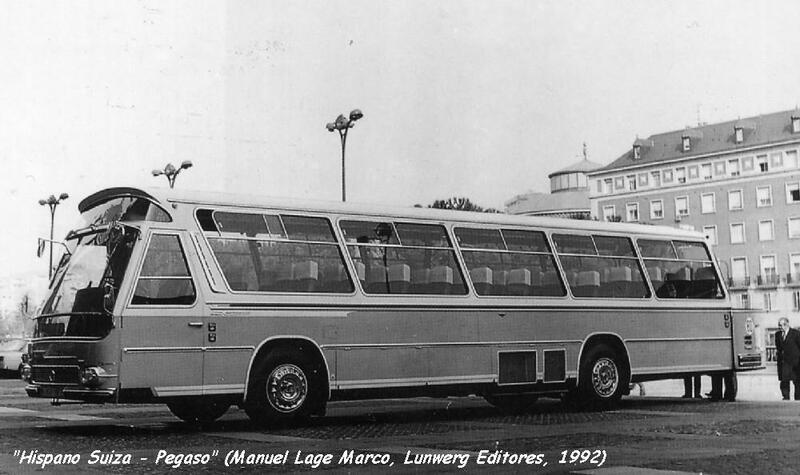 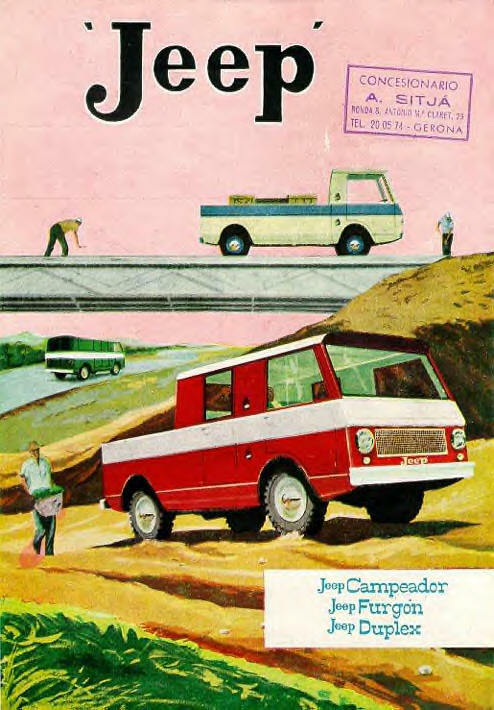 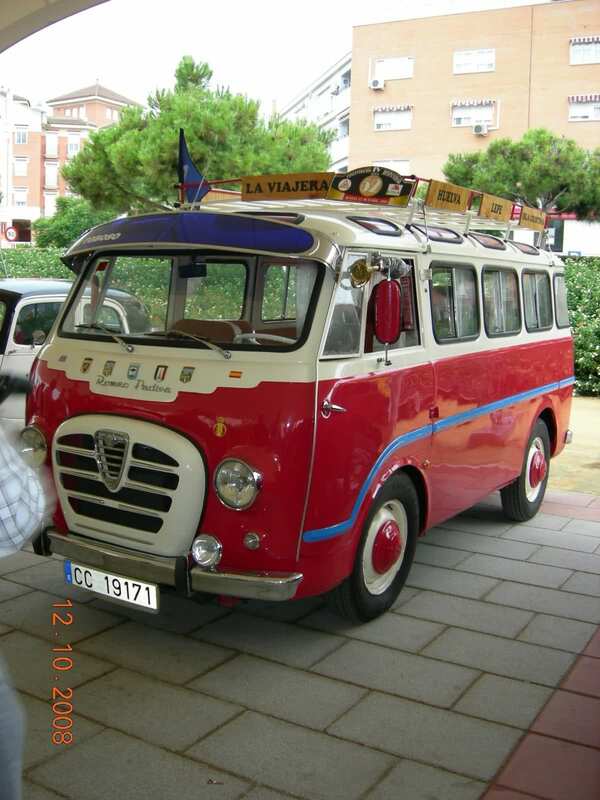 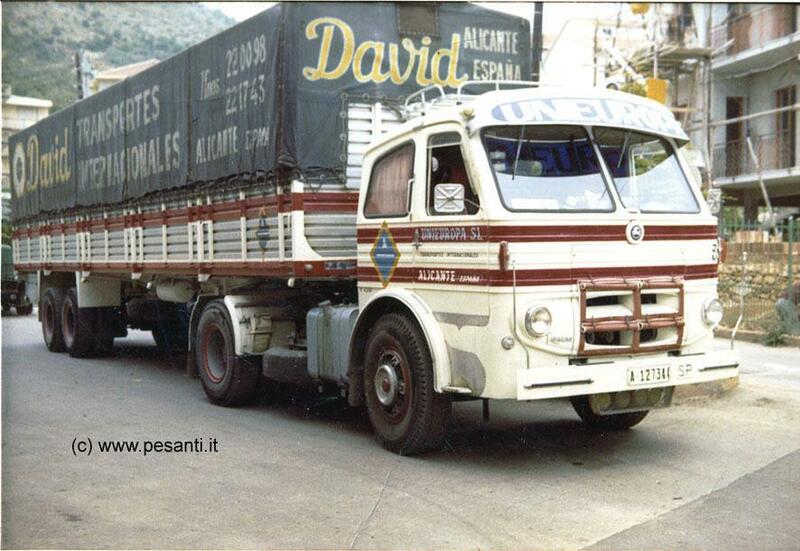 1962: Agreement with Leyland was born as a result of which the model Pegaso Comet again had four valves per cylinder. 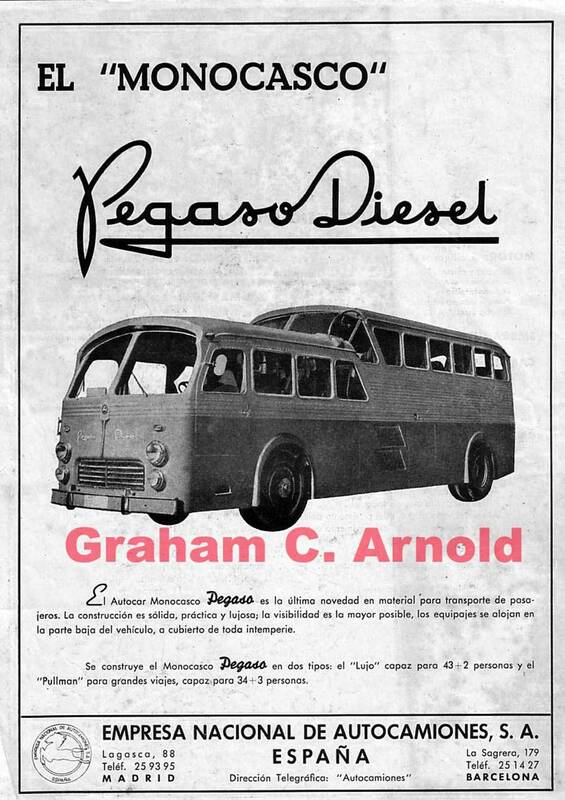 1967: The project and development of a new 12-liter diesel engine versions aspirated and supercharged with a wide range of powers. 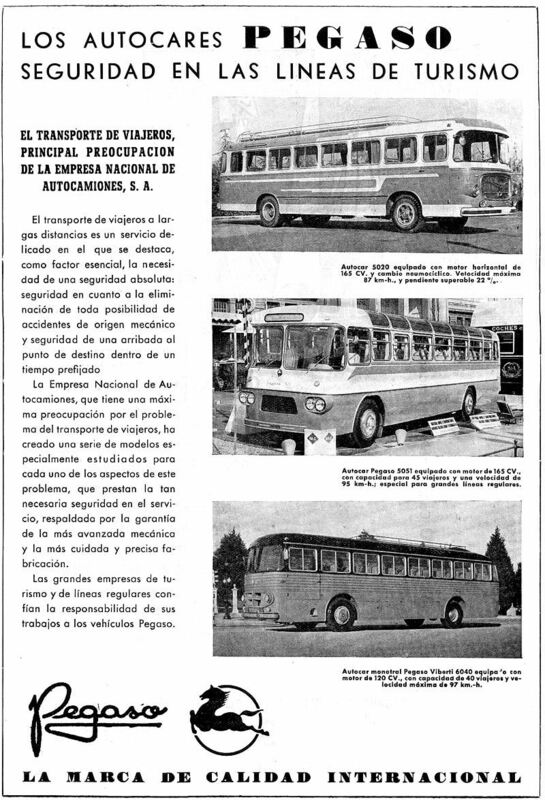 1968: Improvements in department experience, Sagrera. 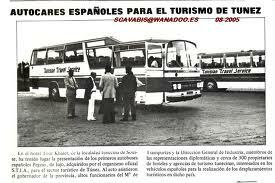 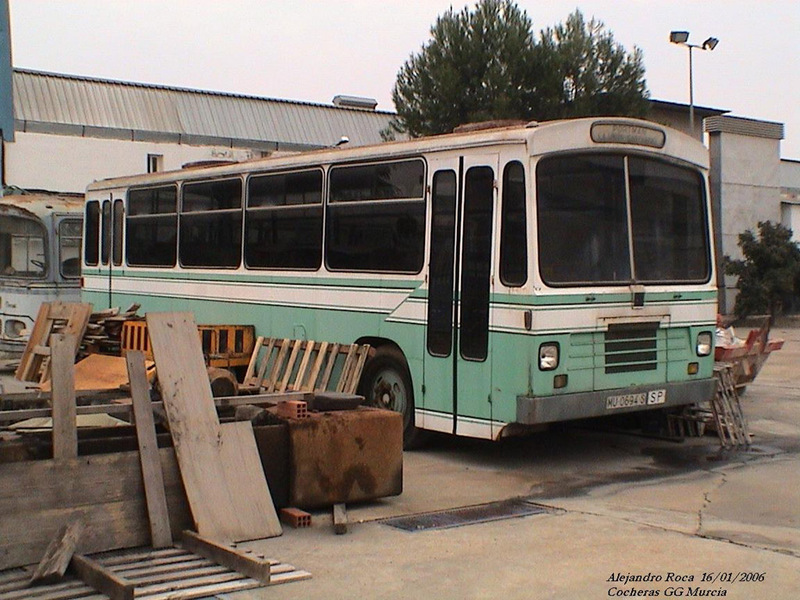 1969: Creates the Delegation Projects factory Madrid, who began his studies for the application of military vehicle manufacturing, 4×4 and 6×6. 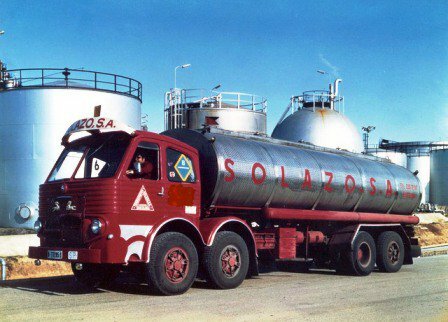 1971: Began relocating factory Sagrera Zone (now COMESA). 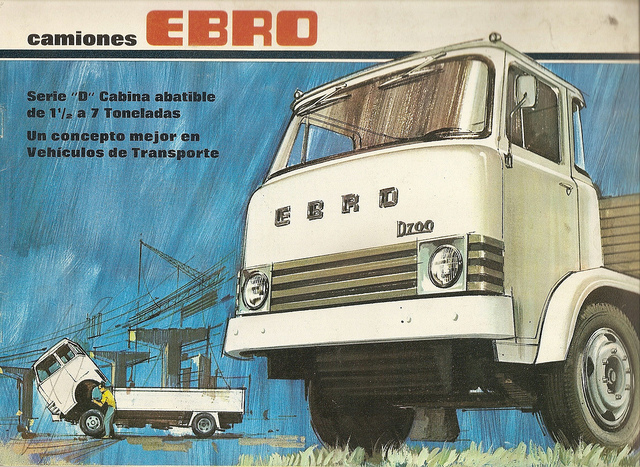 1973: They mounted 12-liter turbo engine, and the pilot would be working on a new bridge further reducing the rate of planetary wheels. 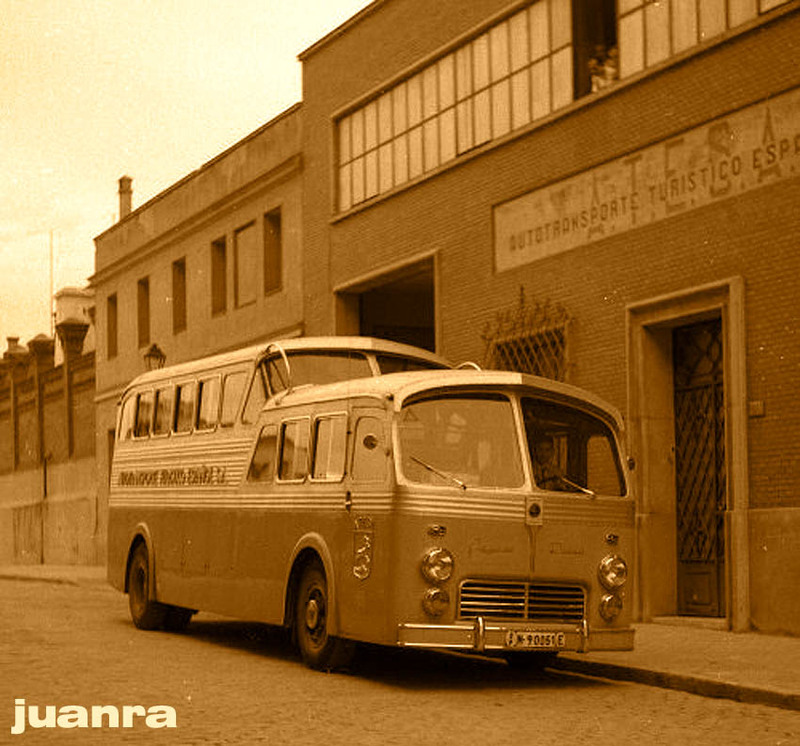 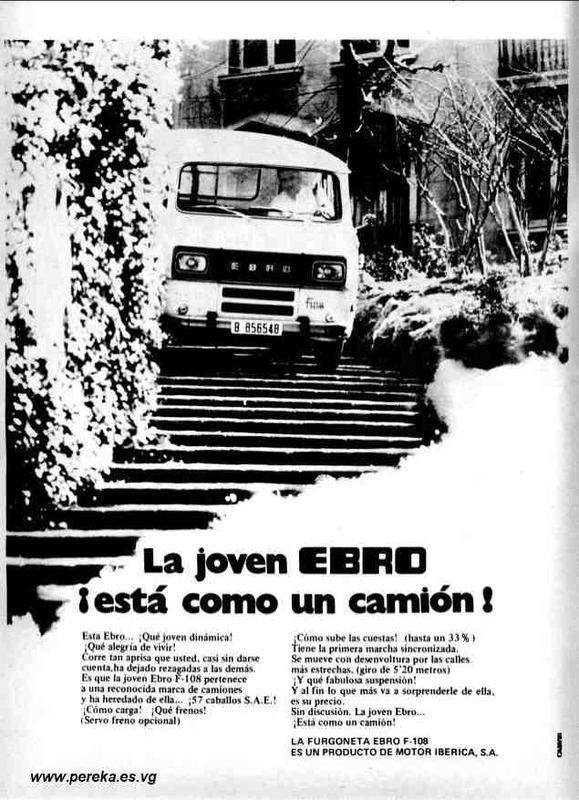 1976: We construct new facilities Experiences ZF Barcelona (Zone). 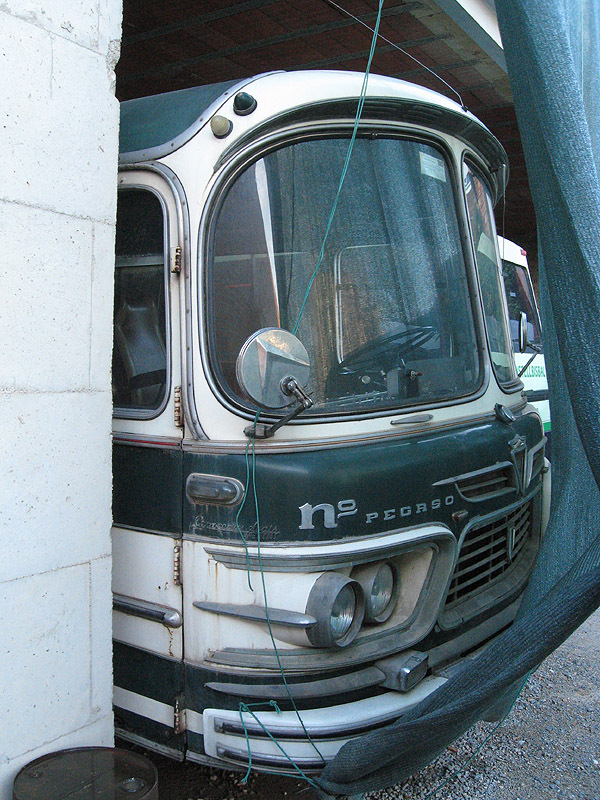 Implemented in the cabin tilt series. 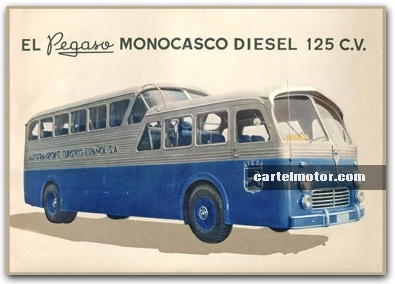 Mounted in series, the new 12-liter engine, and become amphibious armored. 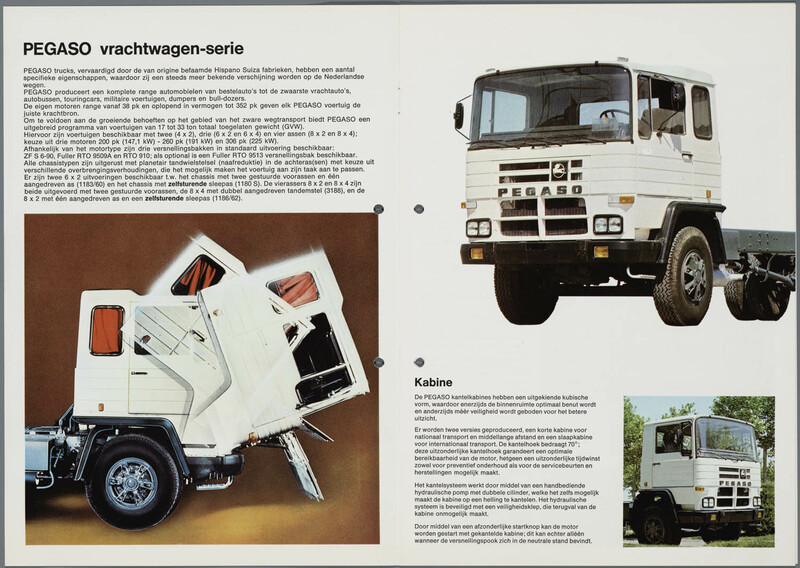 1977: They build armored military vehicles. 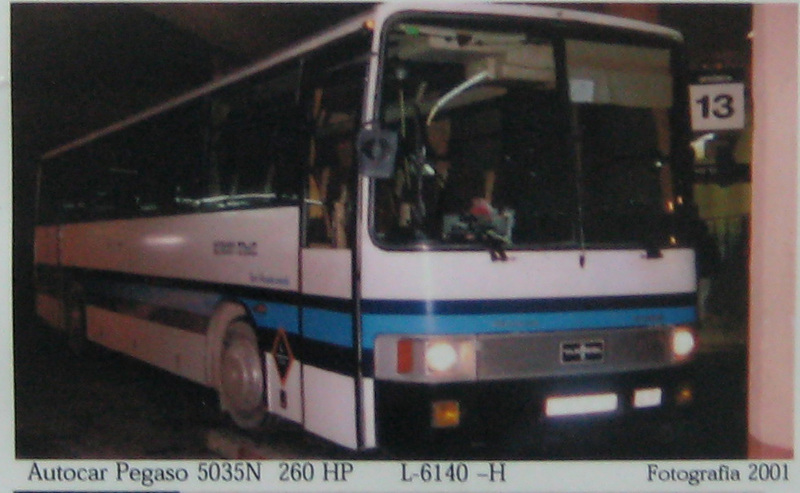 1981: Test comparison between two Pegasus engines (9156.13 and 9180.00) and five European engines 2,000 hours. 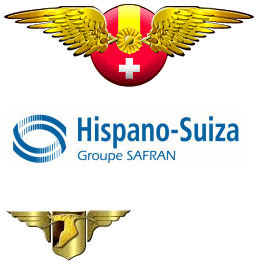 Collaboration agreement with ZF German factory. 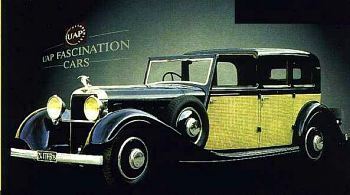 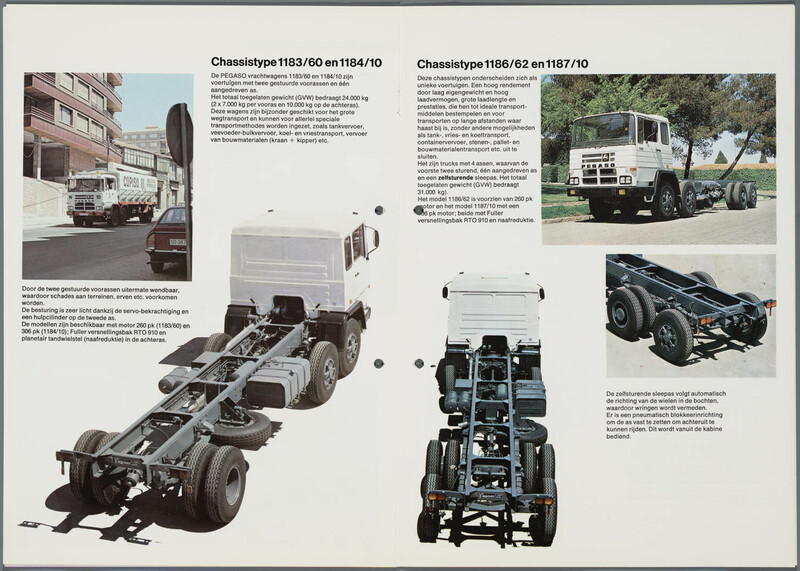 1983: Presentation of the range T1. 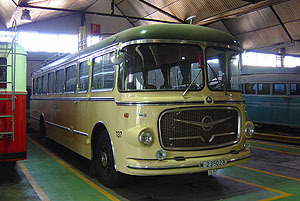 According to manufacture the bus MAN 6420. 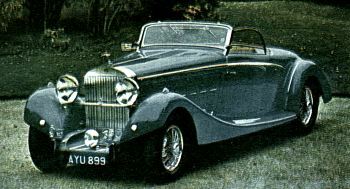 1984 introduced the CAD-CAE to design and engineering. 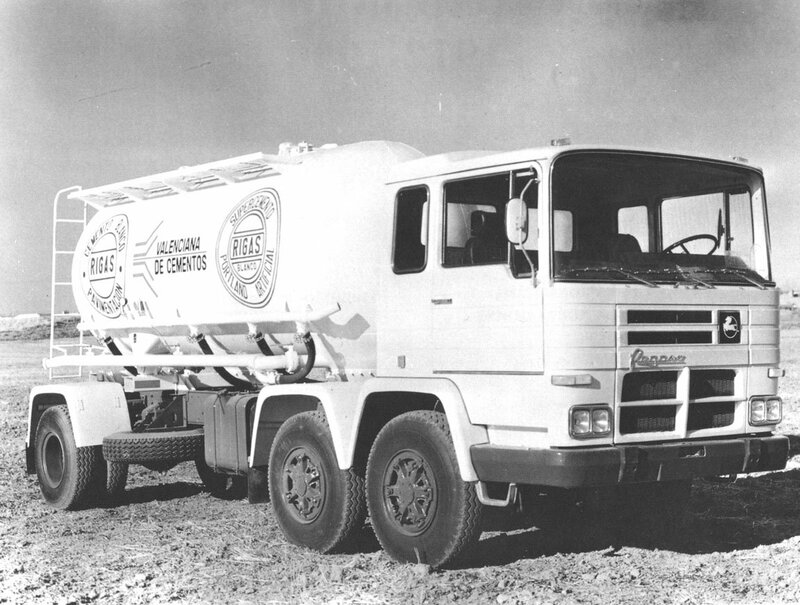 1985: Pre-sale agreement am the American company International Harvester. 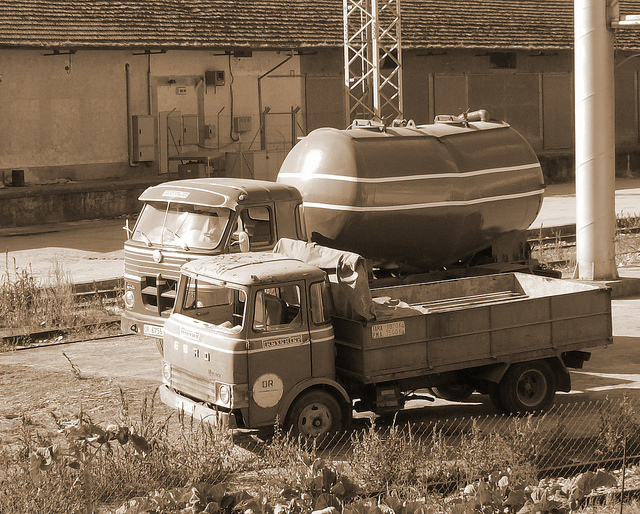 Launch of the range T-2 “Techno”. 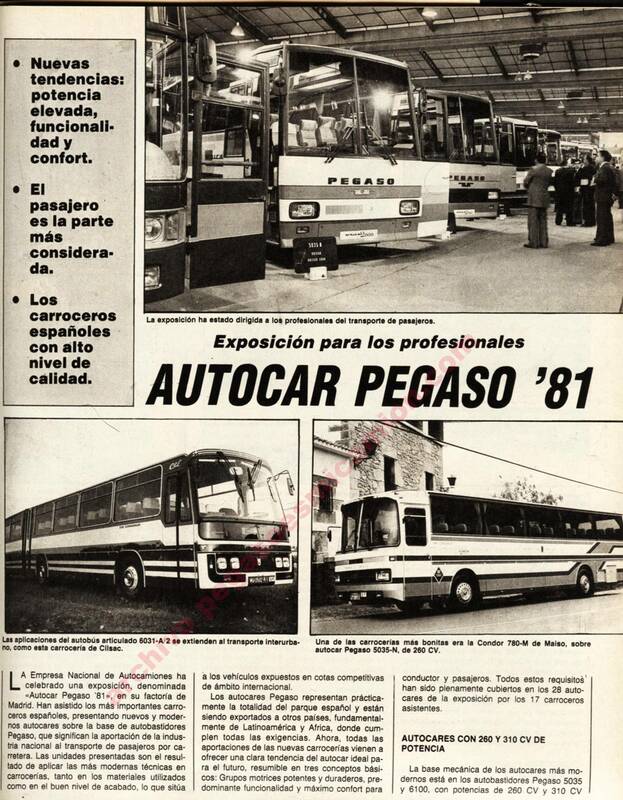 1988: Attempted sale Mercedes German holding 28 billion pesetas. 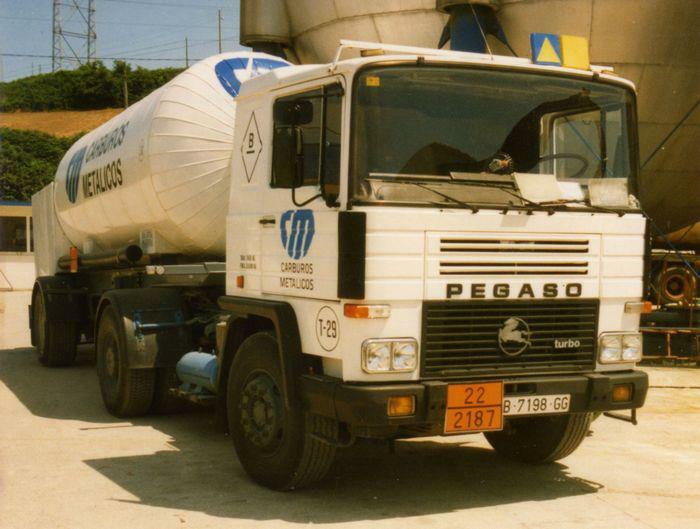 1990: Sales for the Italian group Iveco billion pesetas. 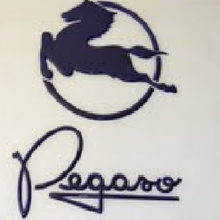 1995: End of the manufacture of Pegasus. 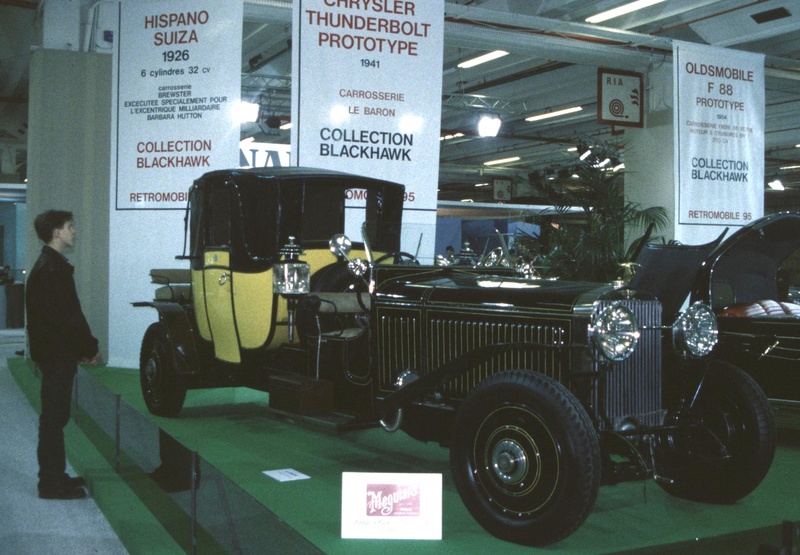 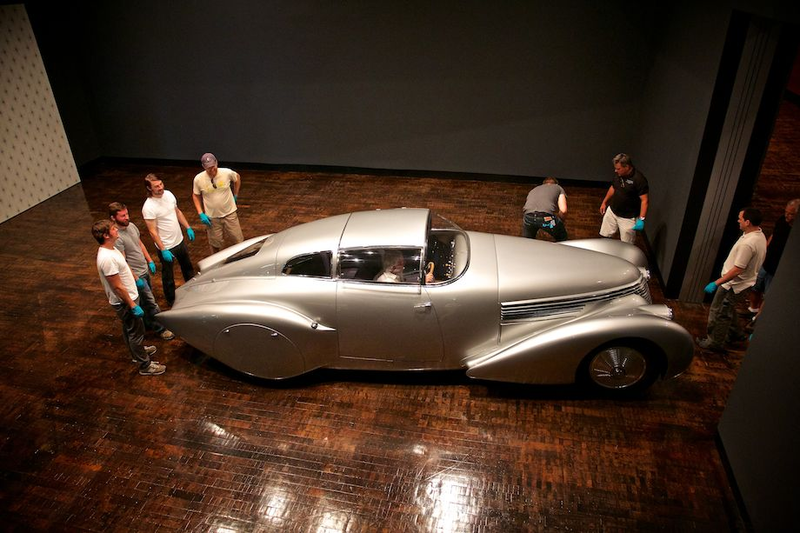 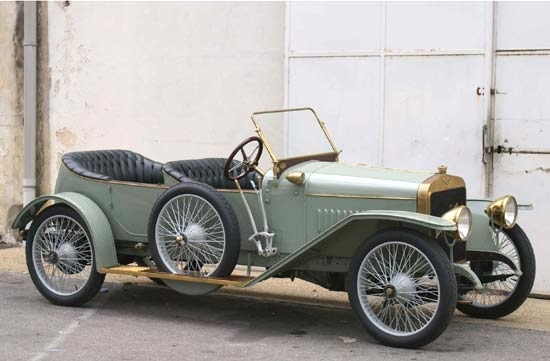 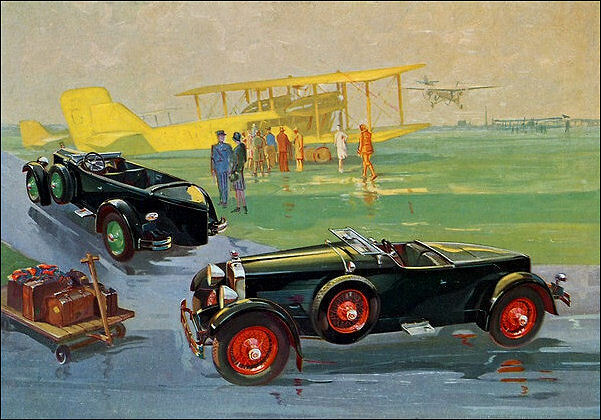 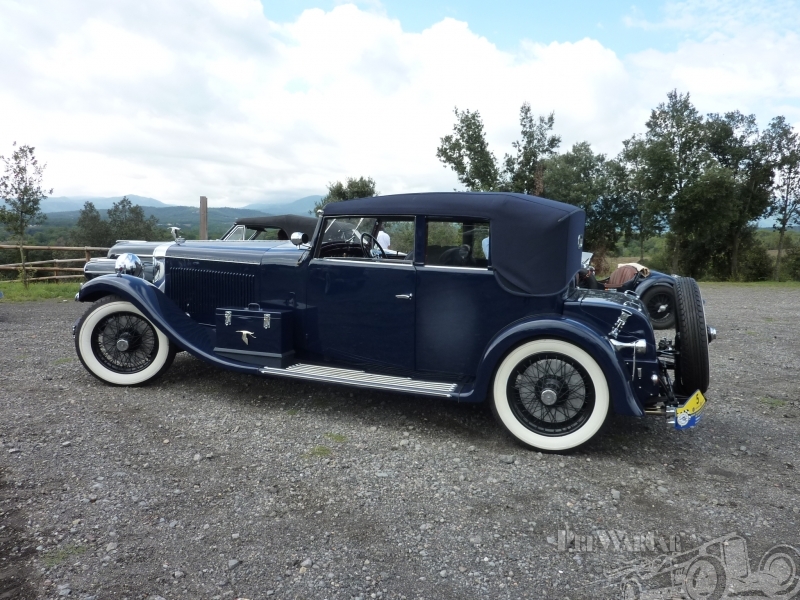 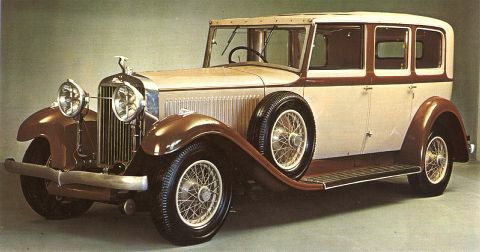 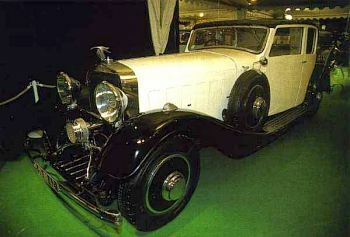 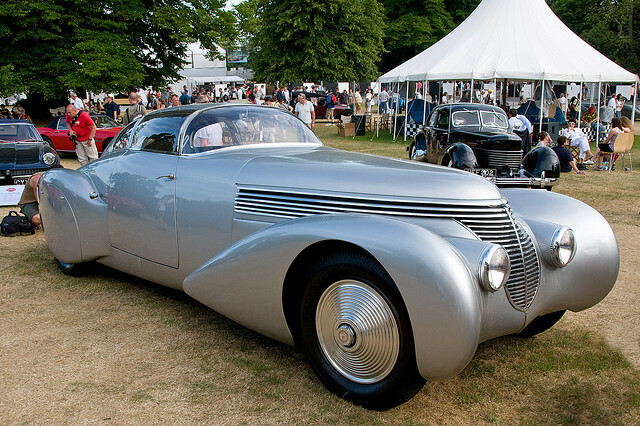 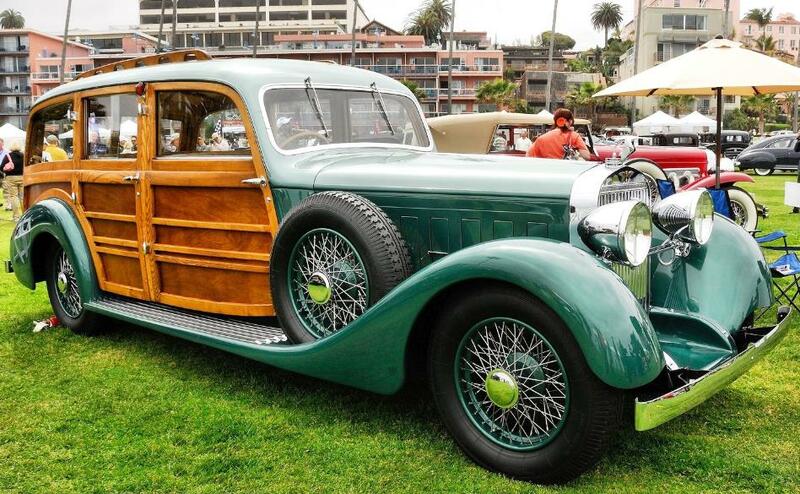 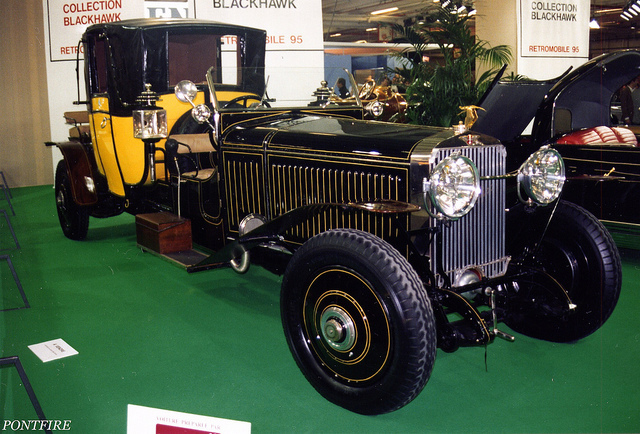 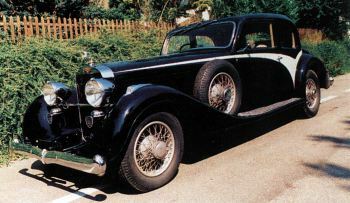 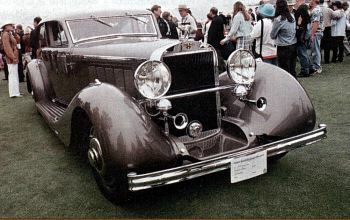 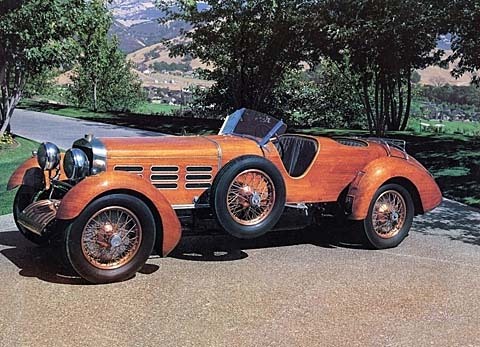 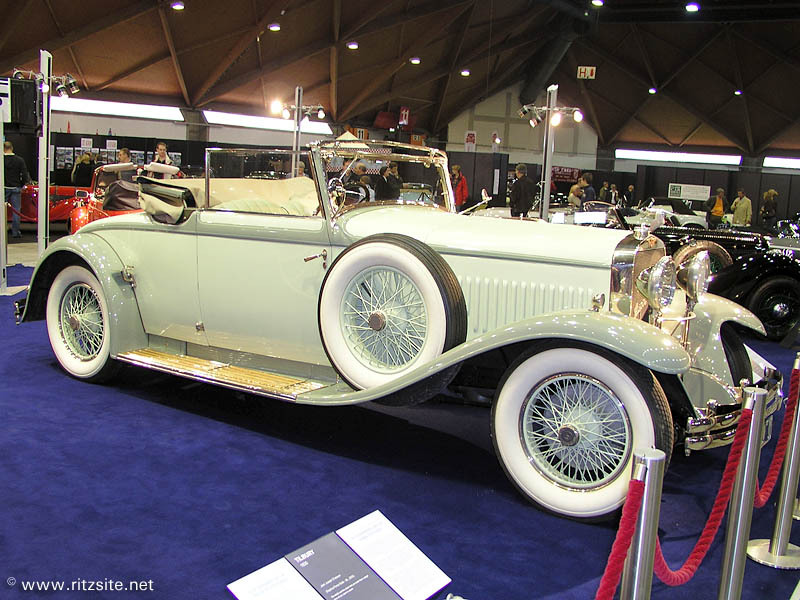 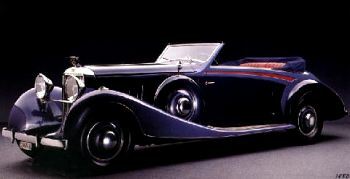 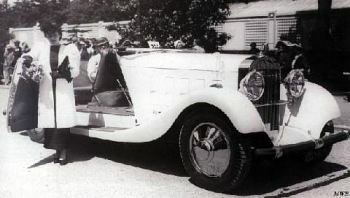 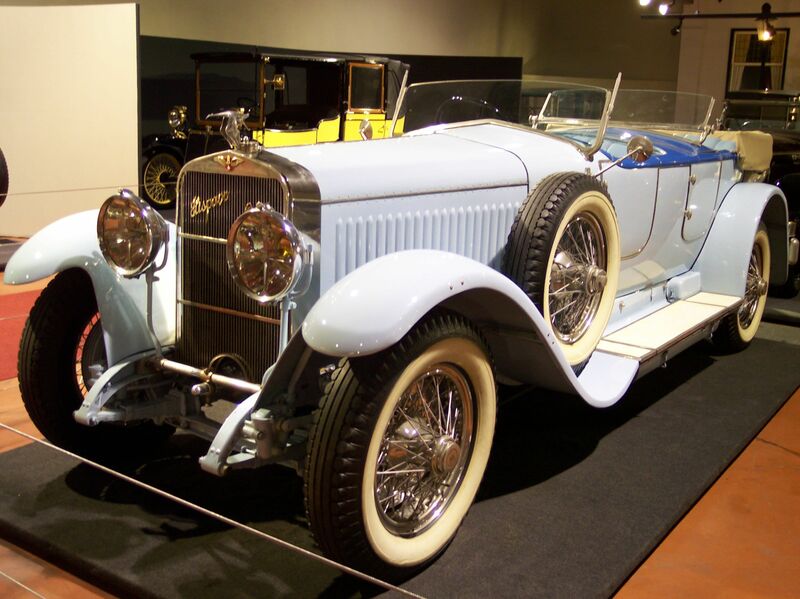 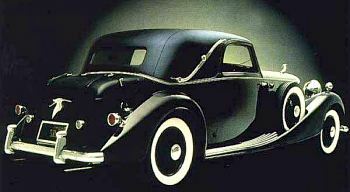 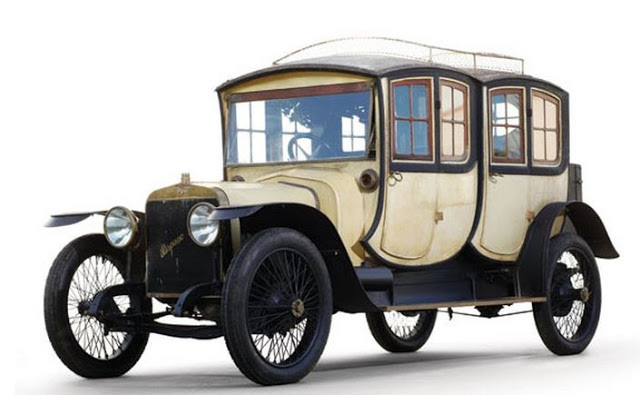 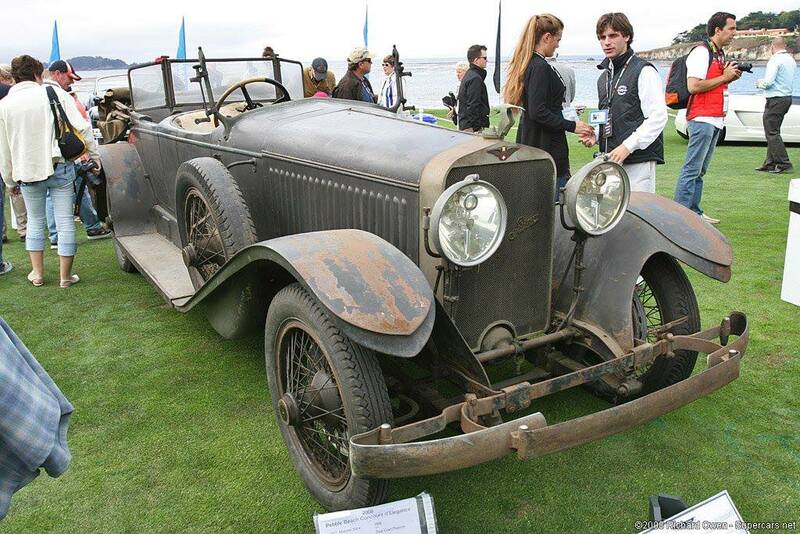 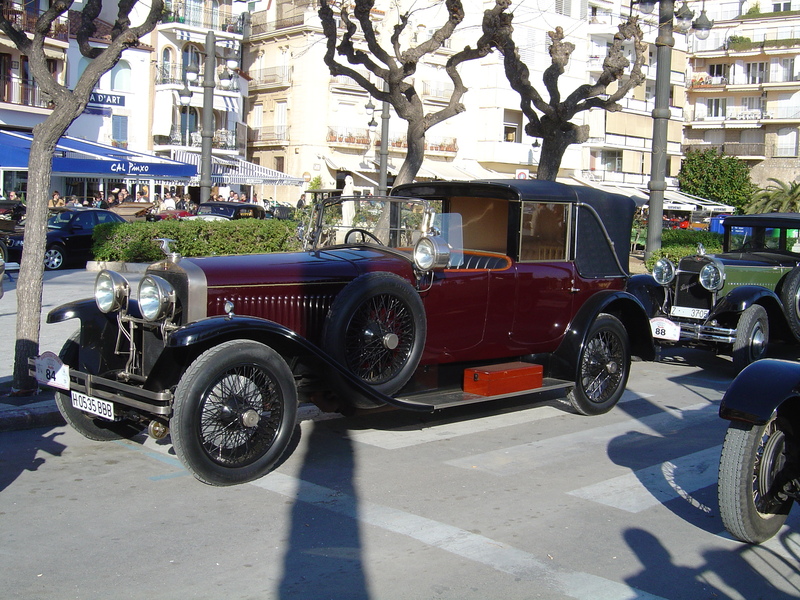 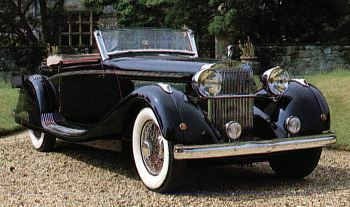 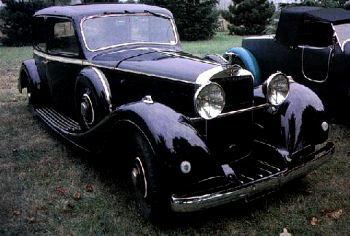 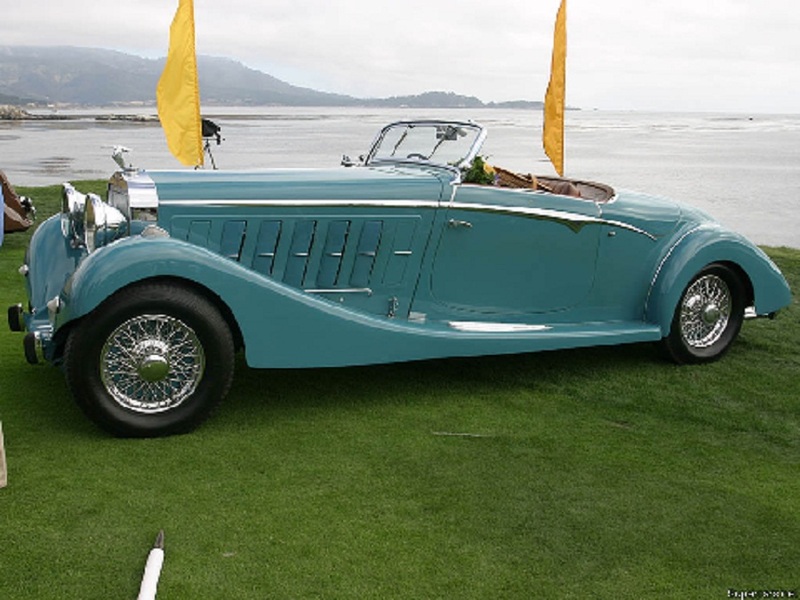 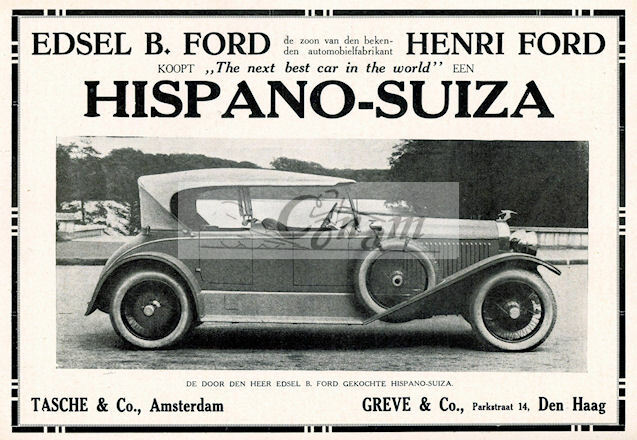 Z-206 “Mofletes”, derived from the Hispano Suiza 66d with a six-cylinder engine of 100 mm diameter by 120 mm race, which gave 120 hp at 2,200 rpm, and an eight-speed gearbox. 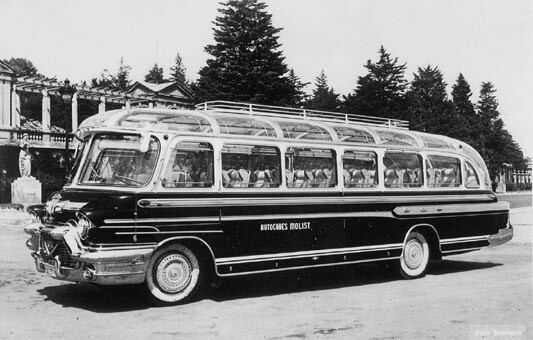 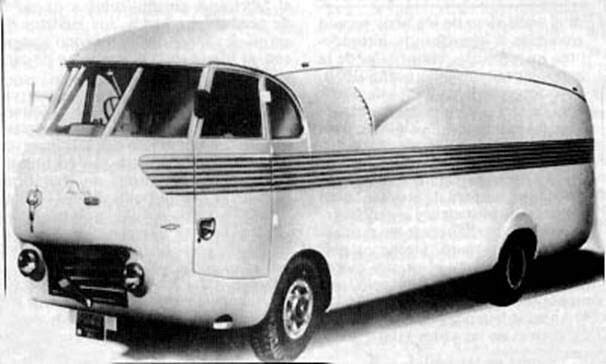 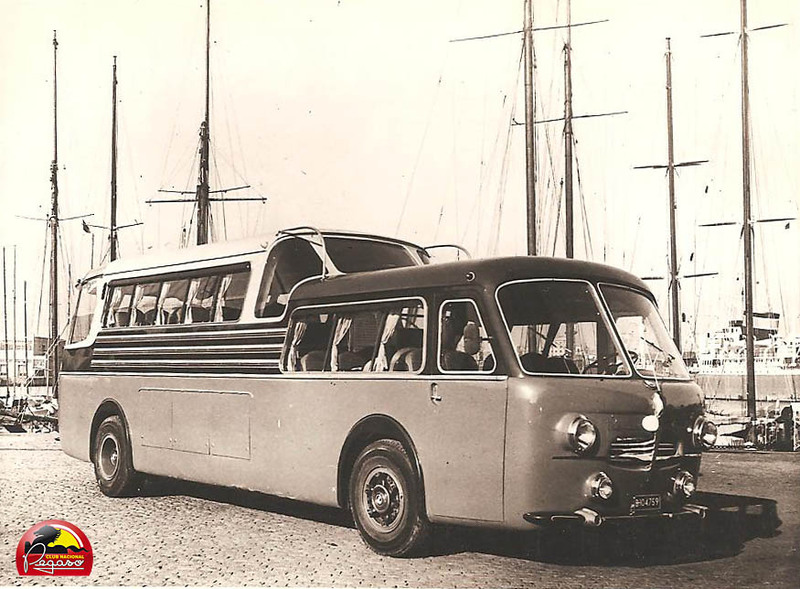 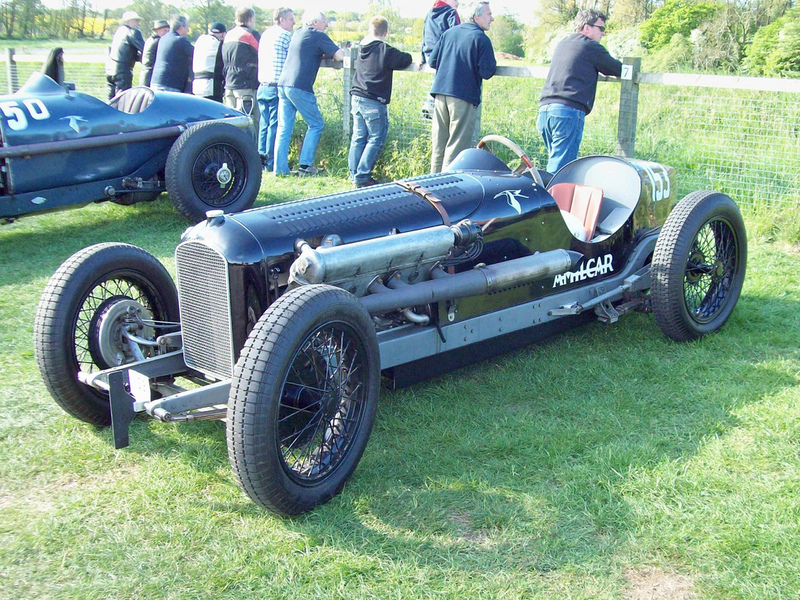 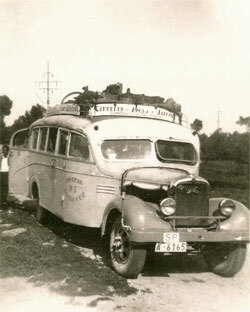 Coach Binivell mono hull, engine derived from the Z-206 engine boosted to 140 hp, which was used to link the airports. 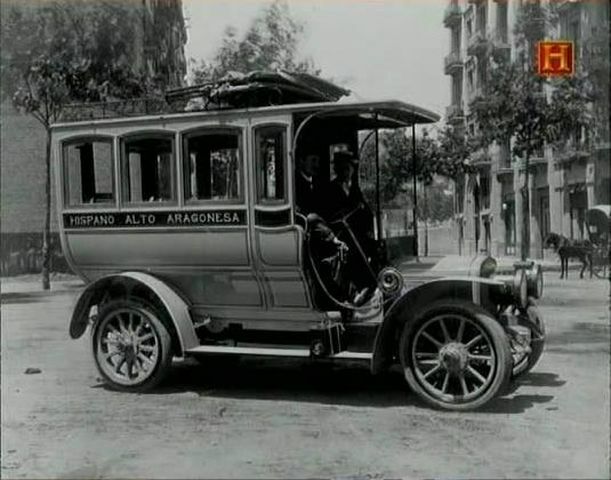 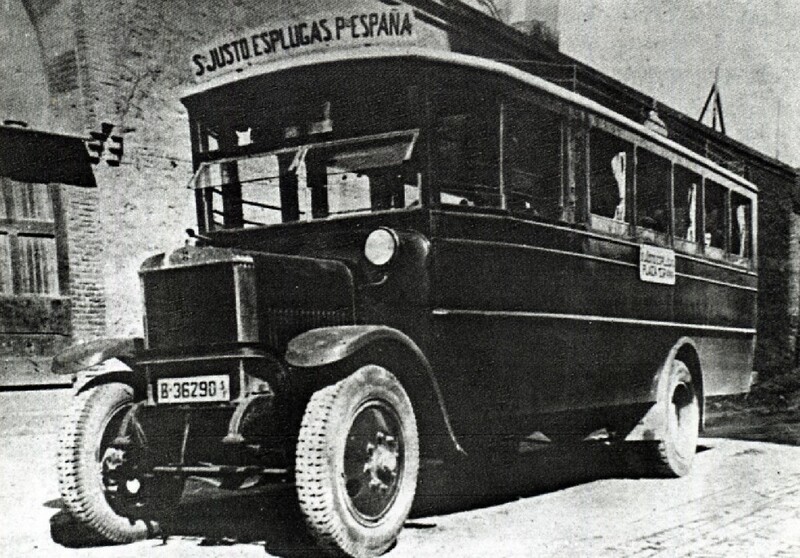 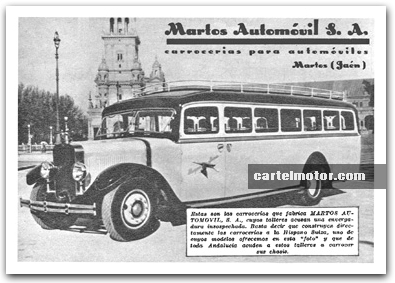 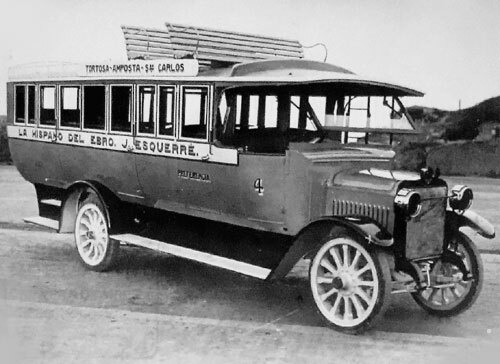 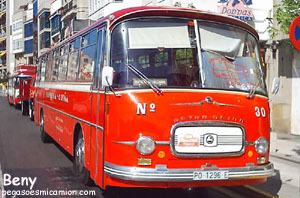 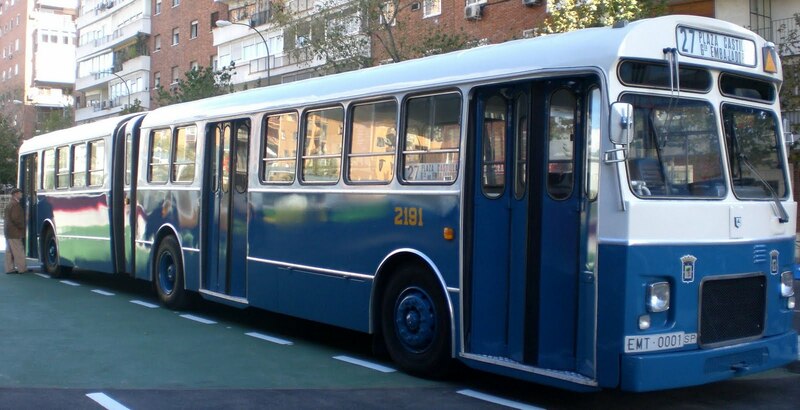 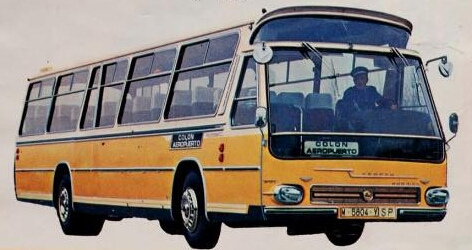 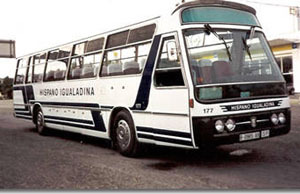 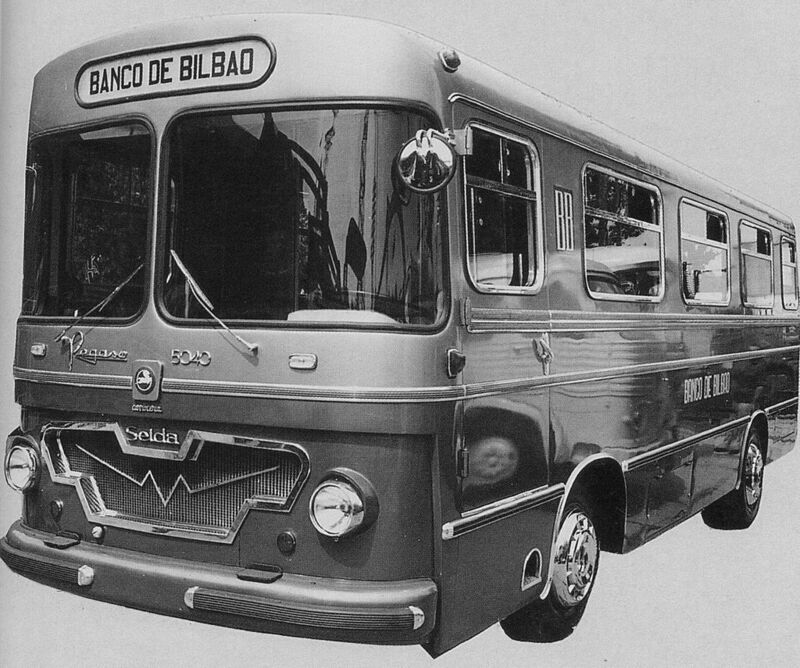 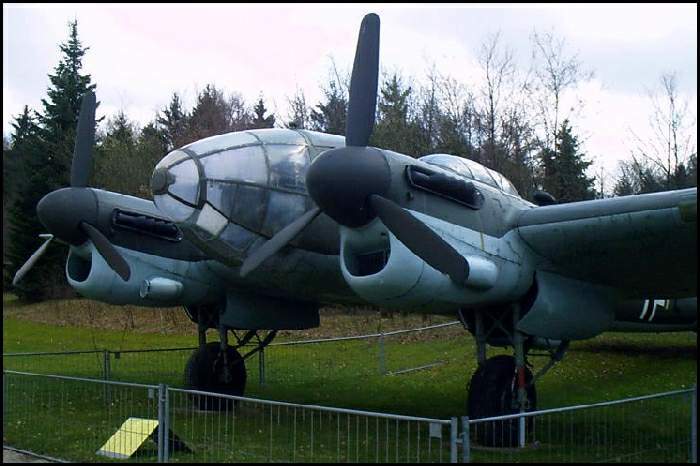 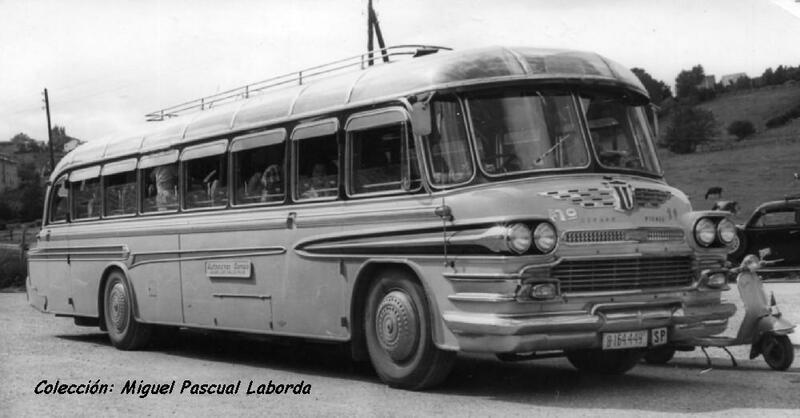 Z-207 “Barajas”, known for its revolutionary solutions such as six-cylinder engine in V 120 ° (Joint Venture Cummins), independent front suspension with coil springs and shift six-speed, with the second and third synchronized in the same letter that the clutch and its characteristic corrugated cabin. 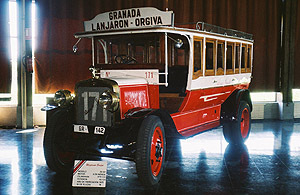 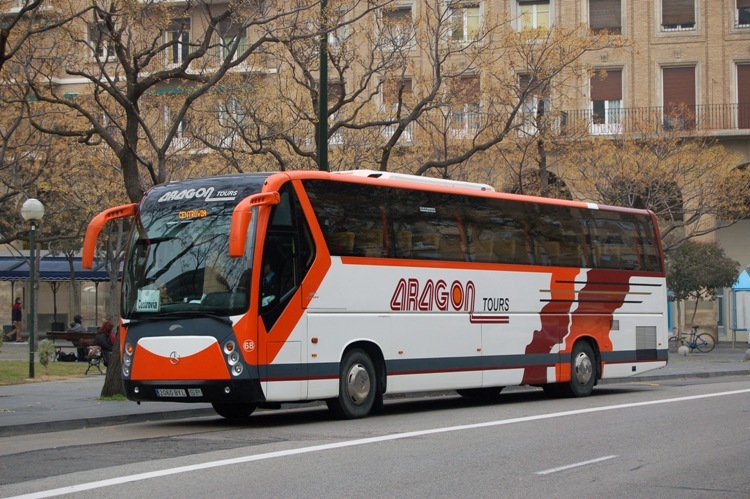 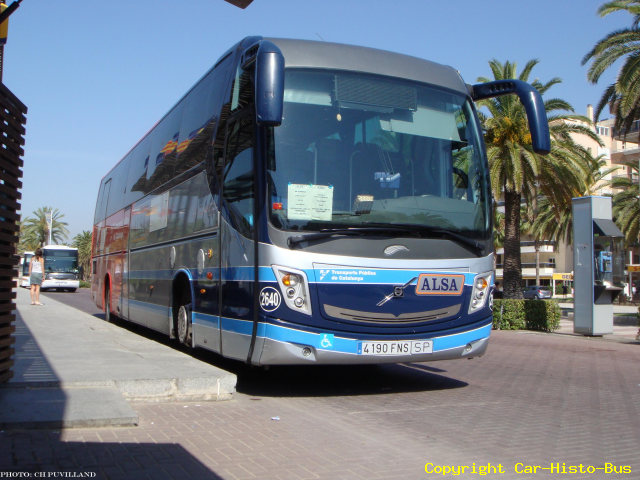 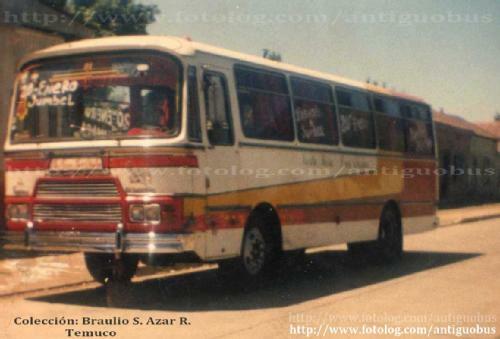 Coach Z-408 derived from Barajas pro engine 165 hp, 10 feet long total, representing a breakthrough in passenger transport. 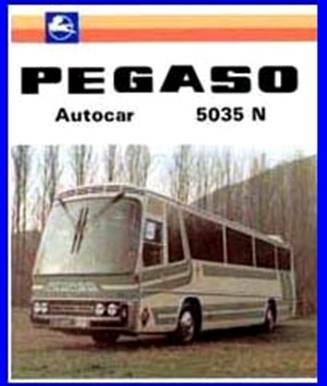 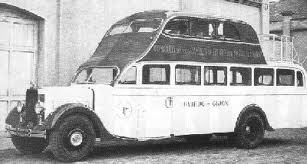 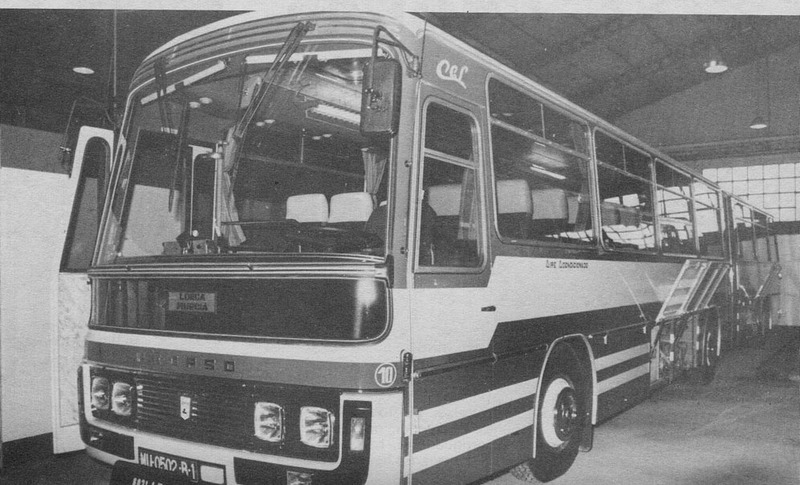 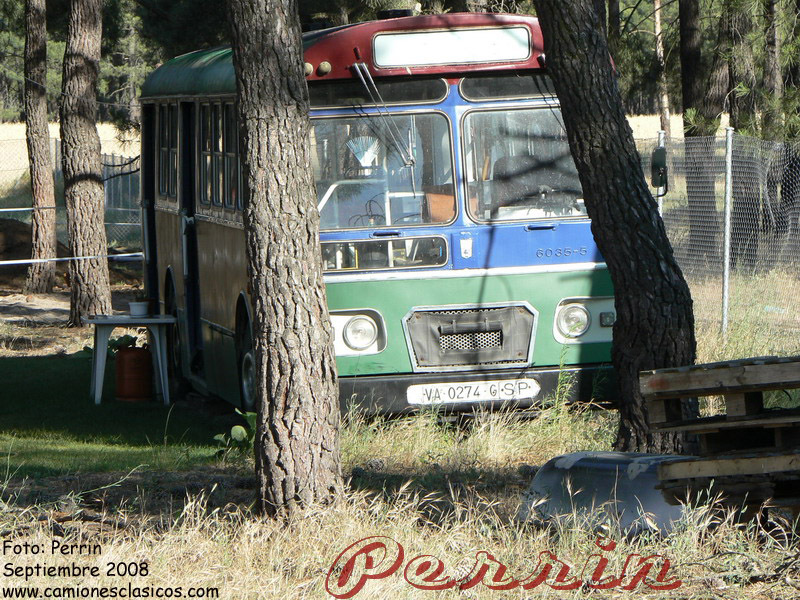 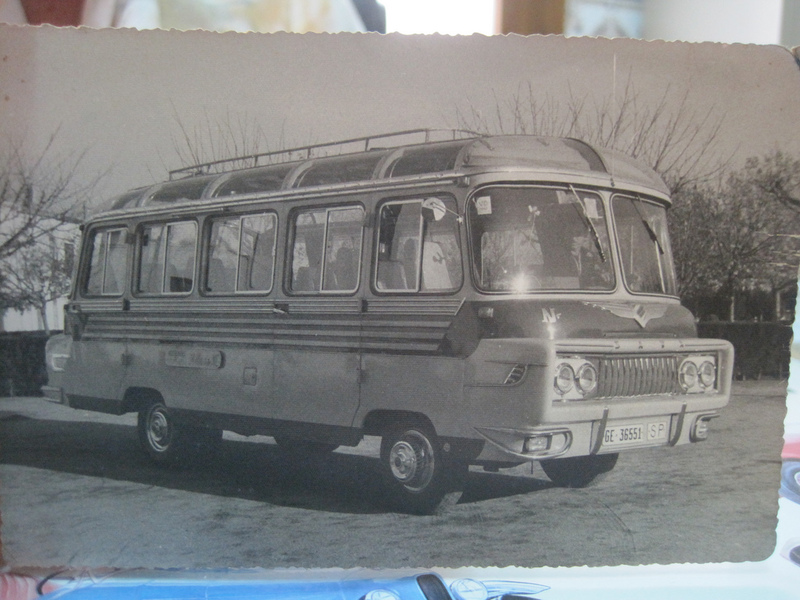 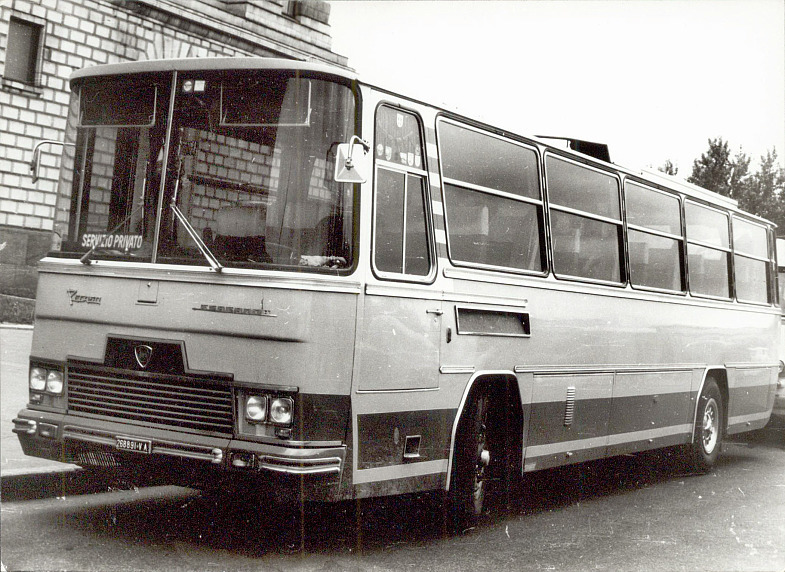 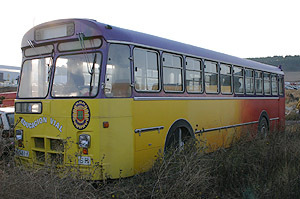 Pegasus-Comet model 1090 as a result of the agreement with Leyland, also with a cabin “Panoramic” feature. 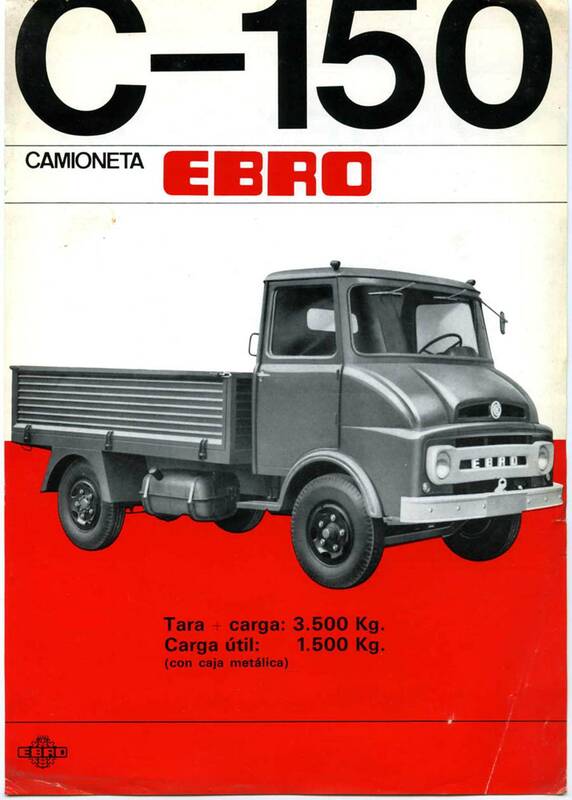 1065 “European” model of long duration, and large diversification. 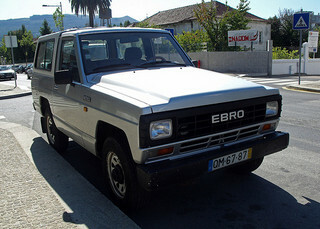 4×2 gearbox and gear in the differential. 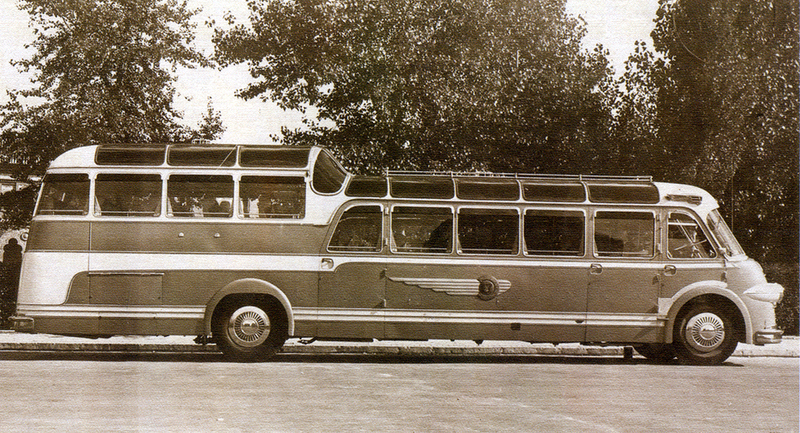 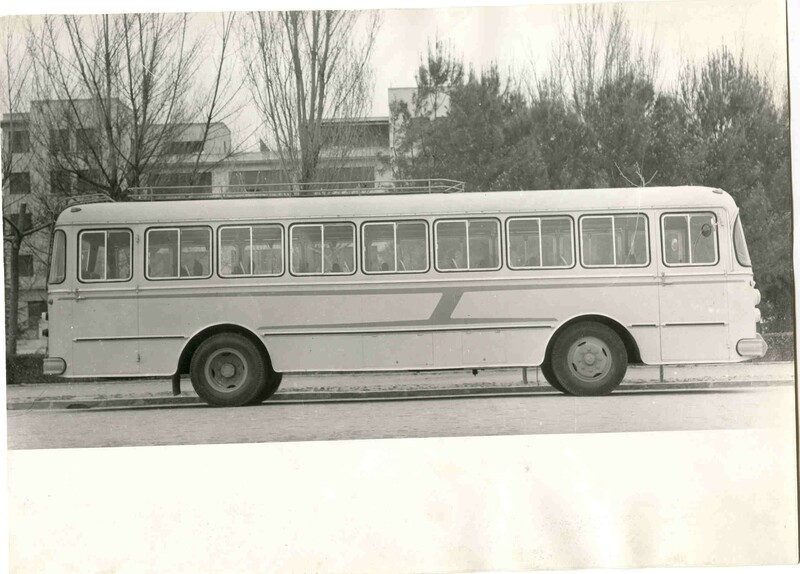 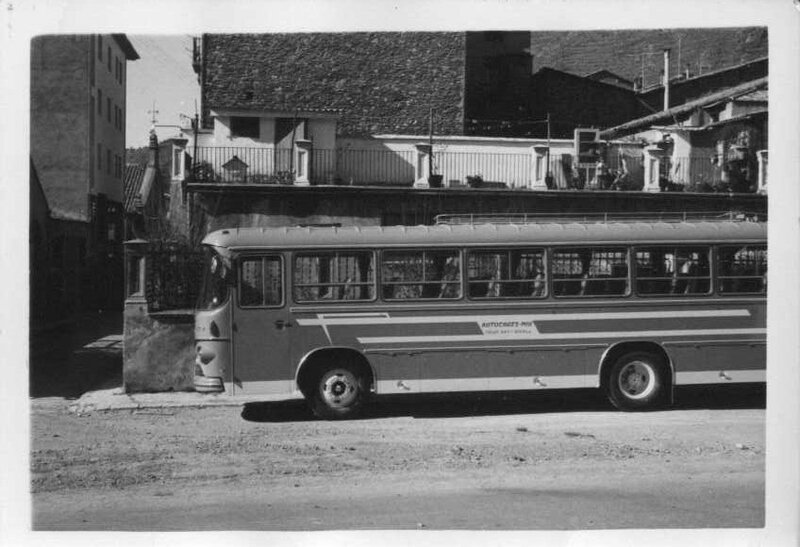 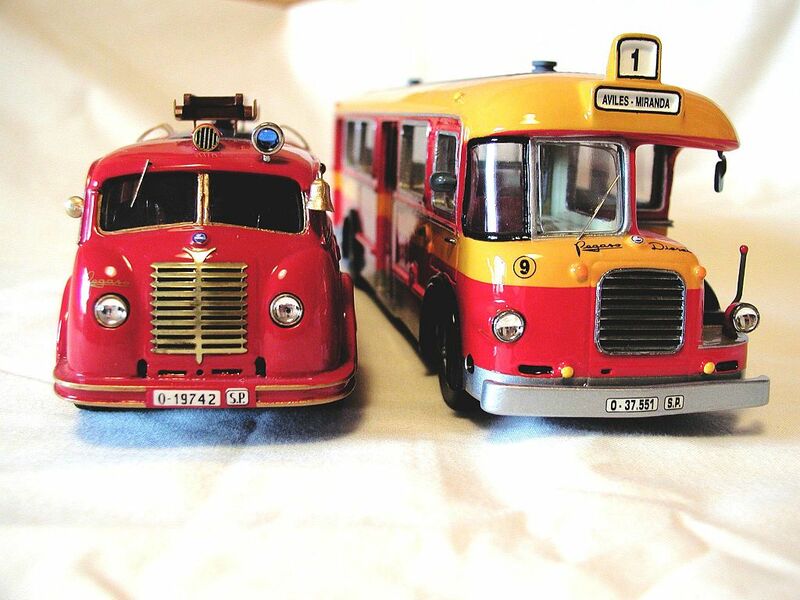 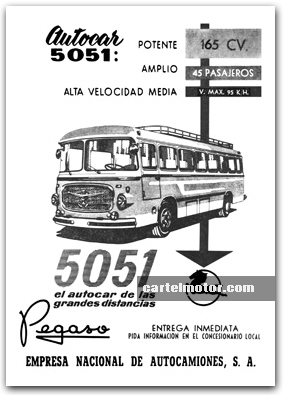 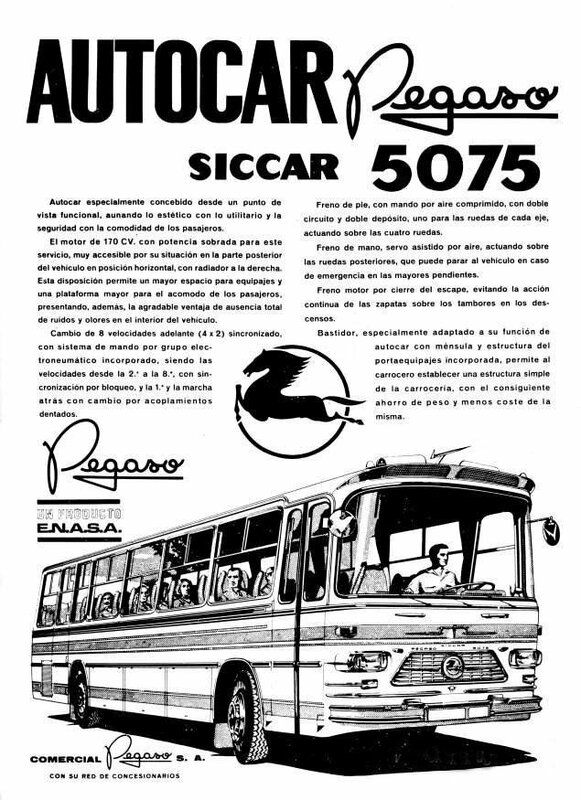 6035 City bus with mixed leaf spring suspension-air exchange with automatic clutch, and rubber floor sandwich. 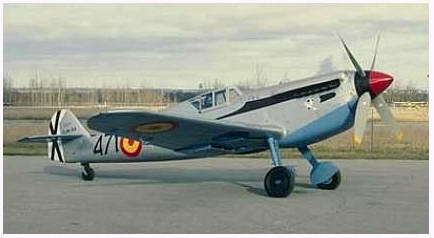 Horizontal engine and all groups under the floor. 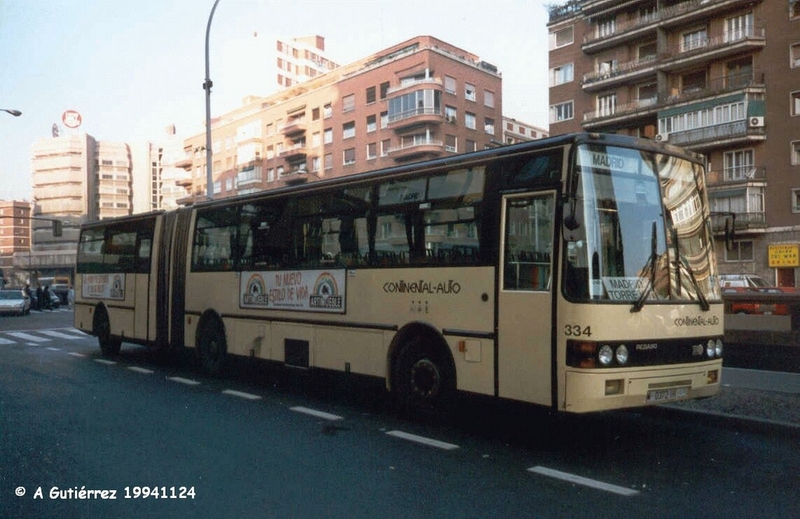 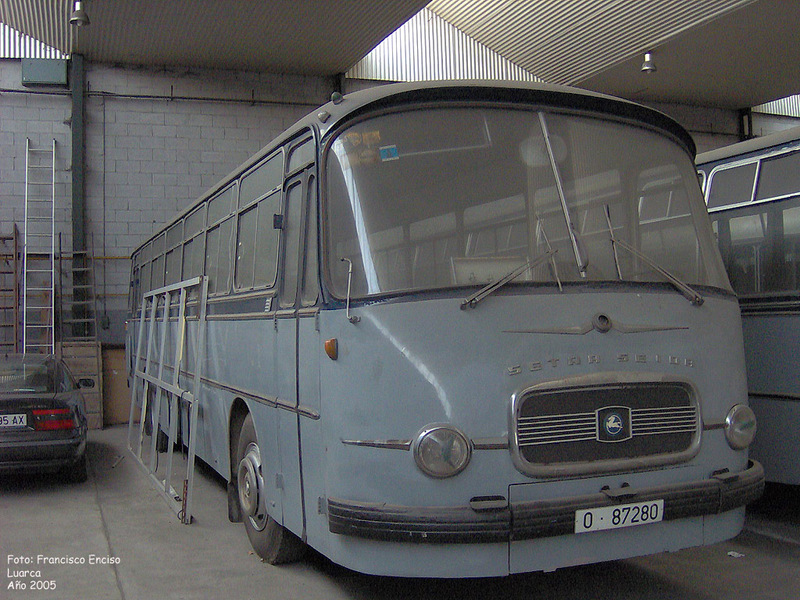 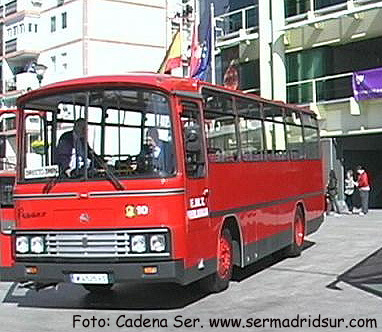 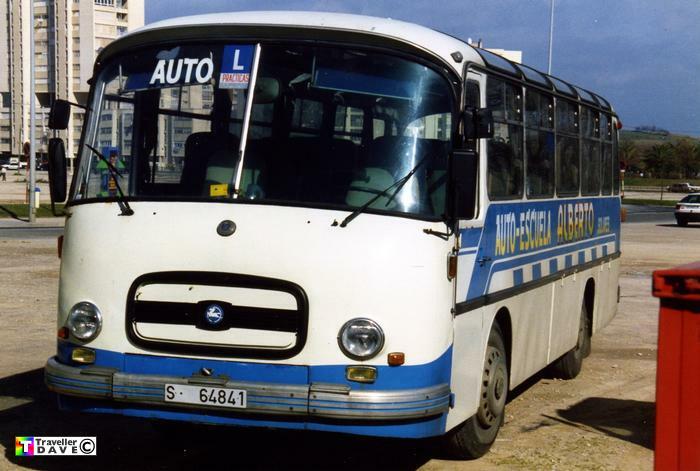 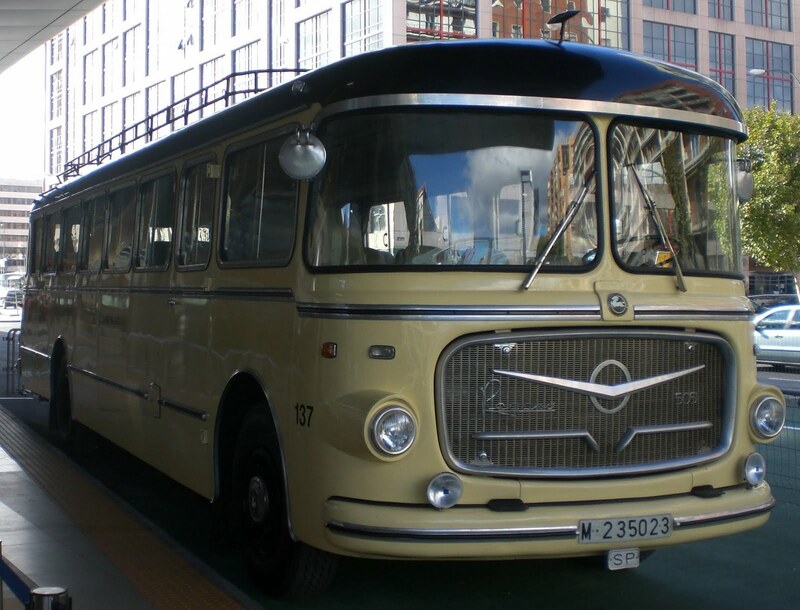 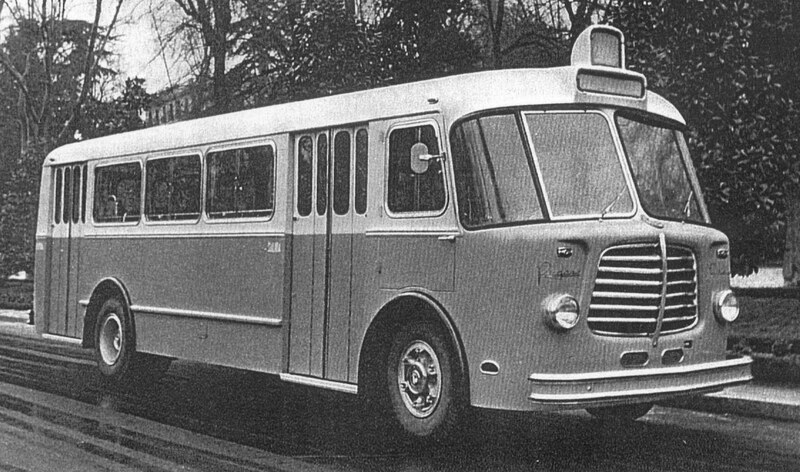 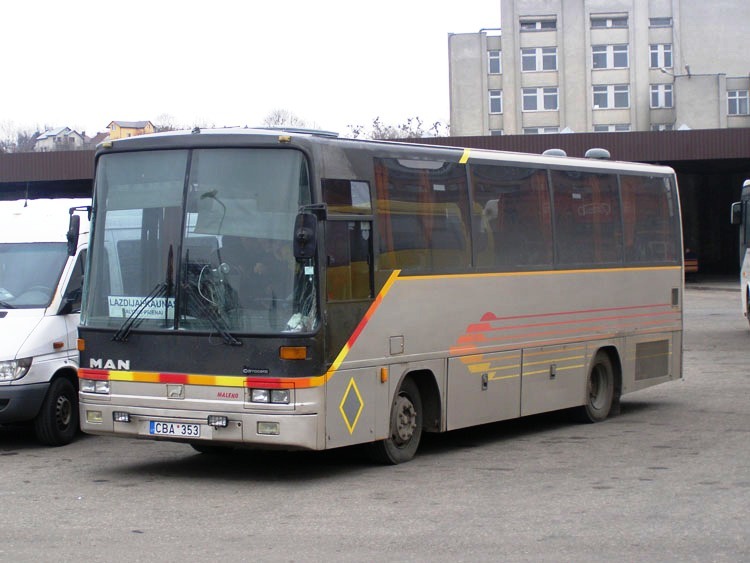 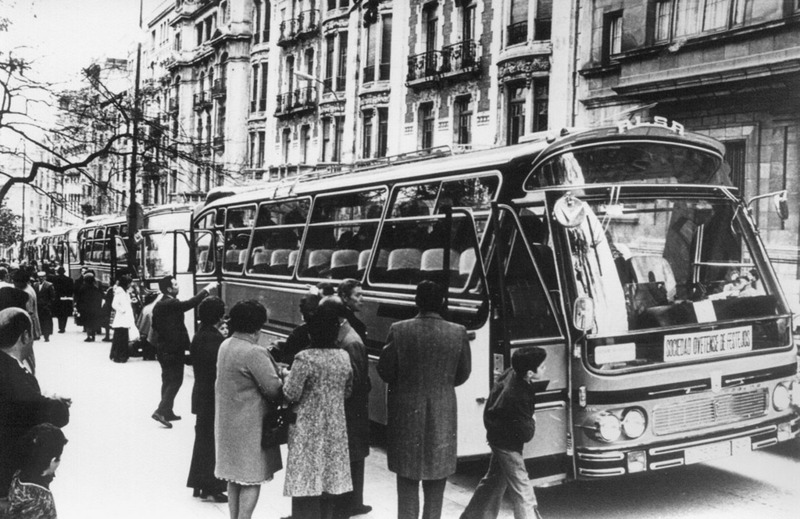 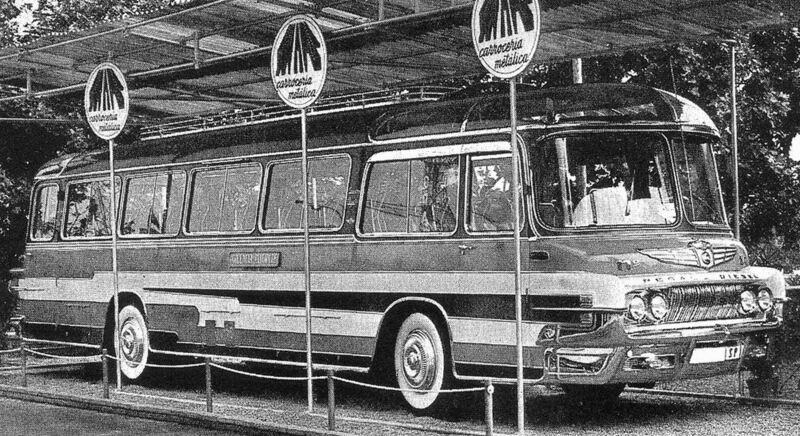 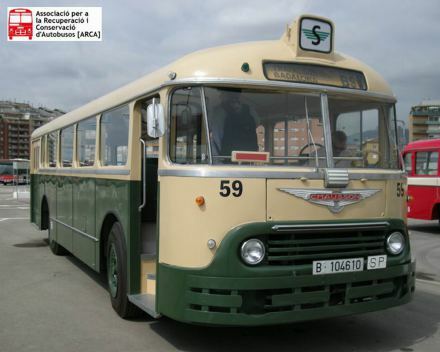 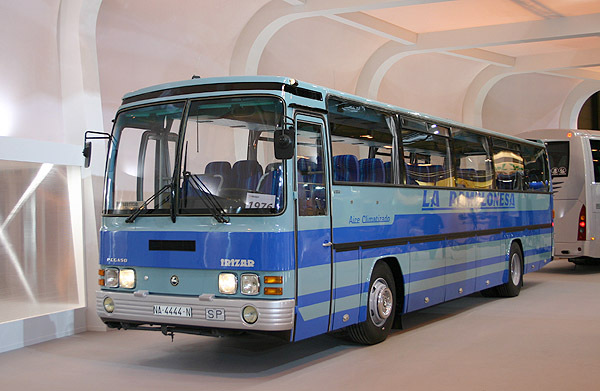 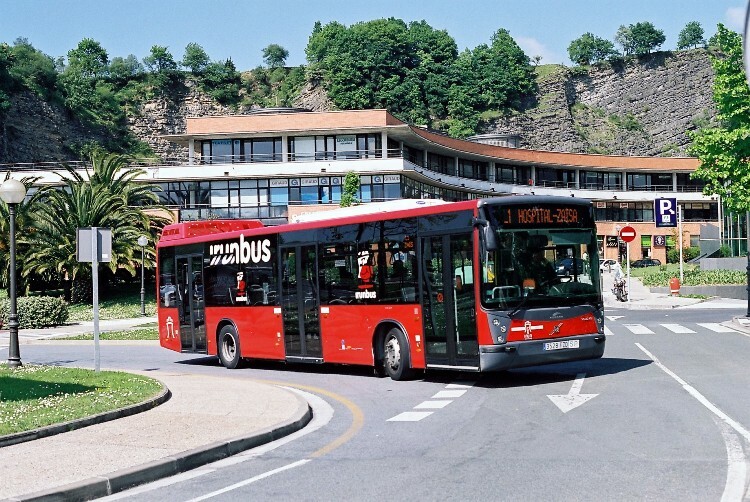 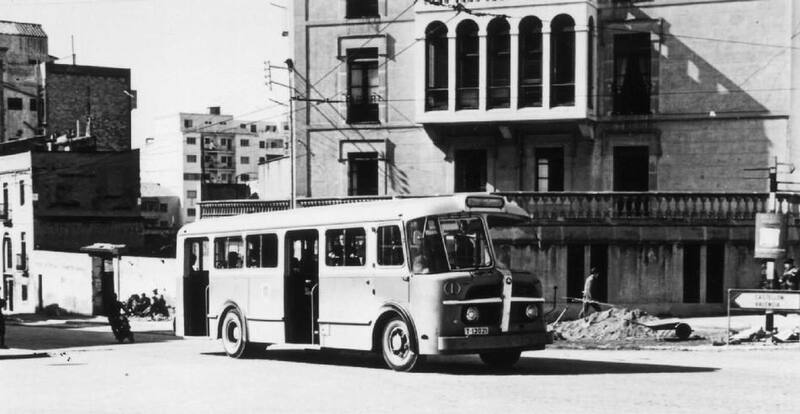 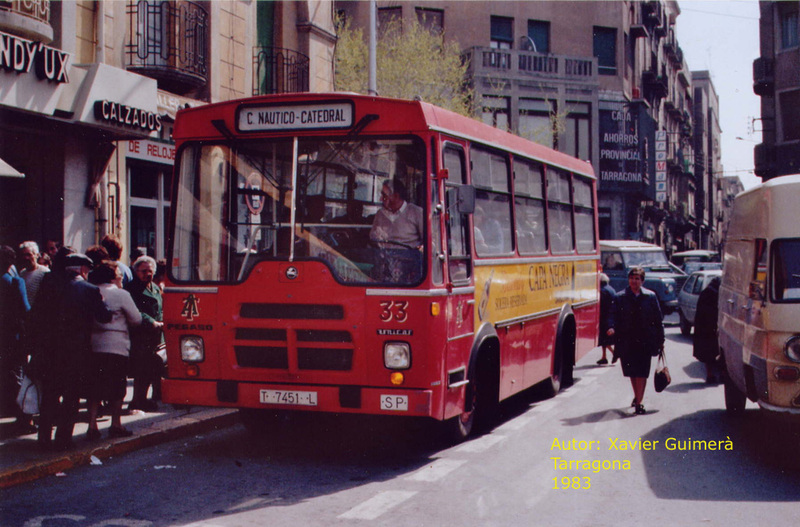 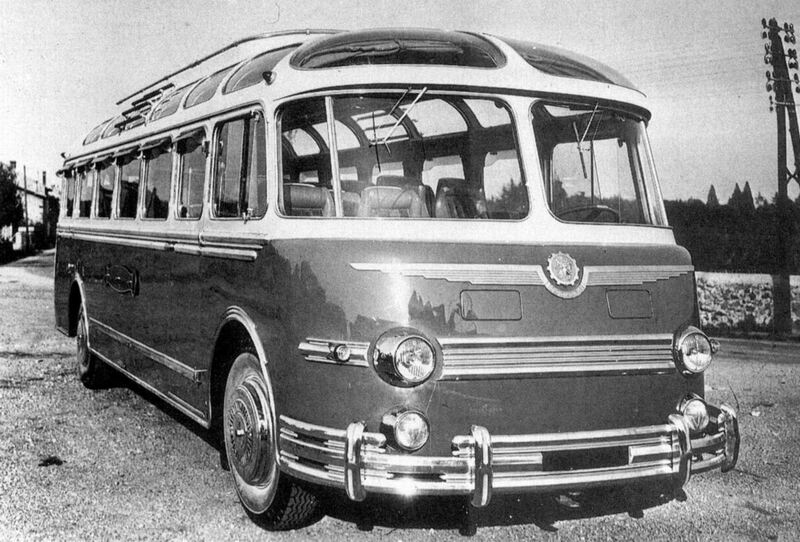 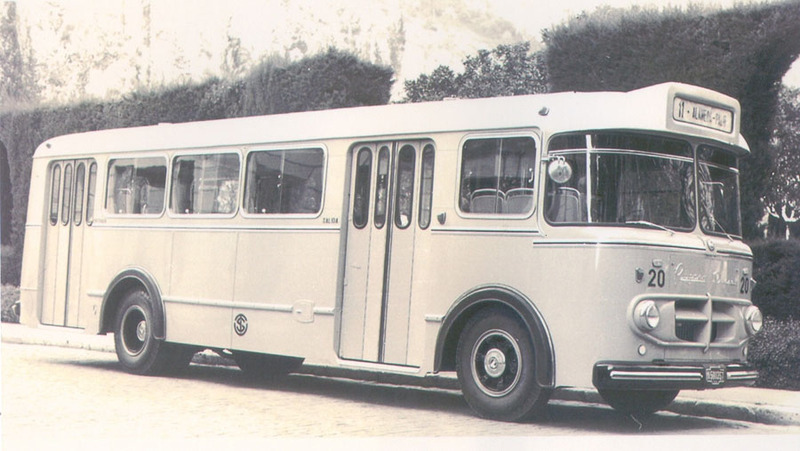 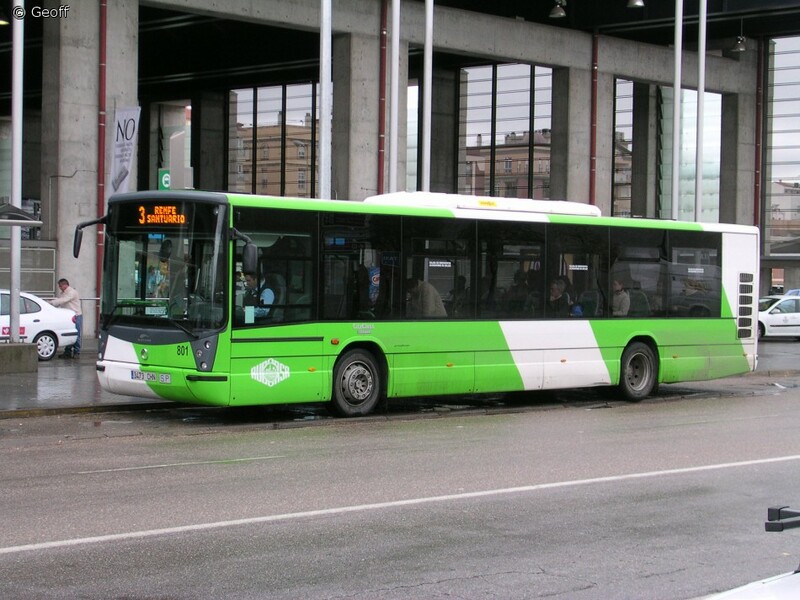 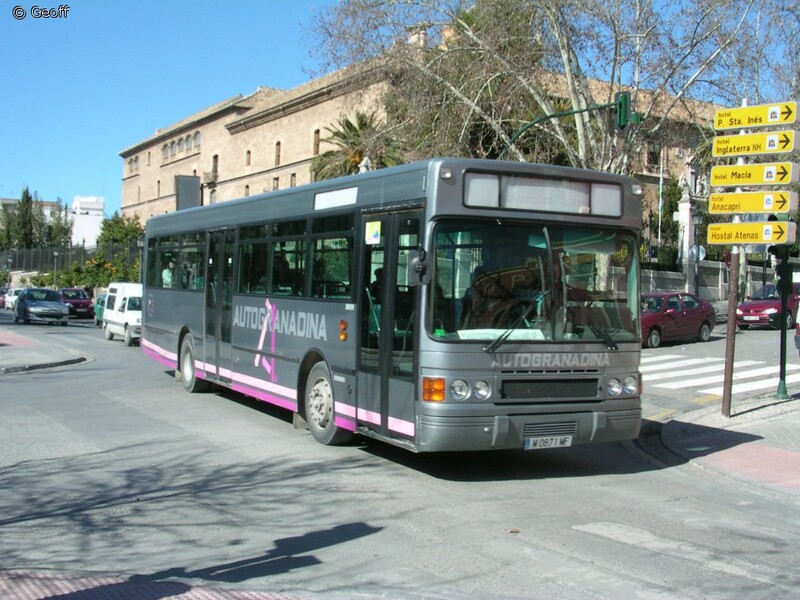 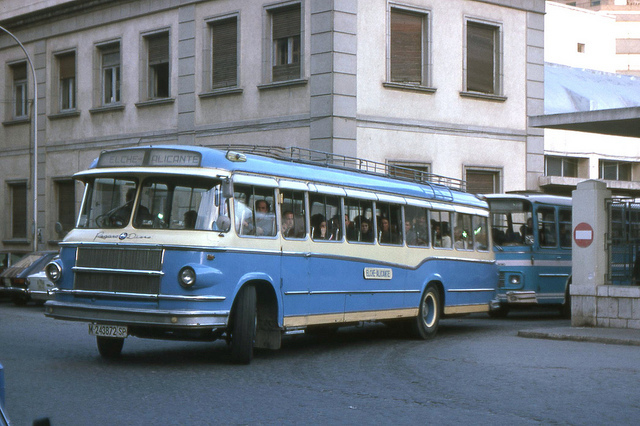 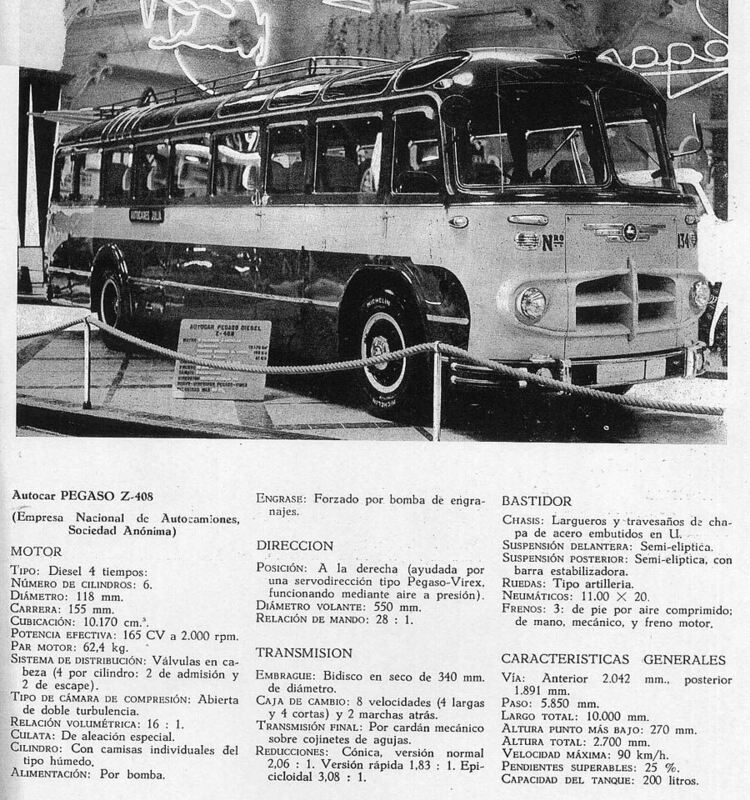 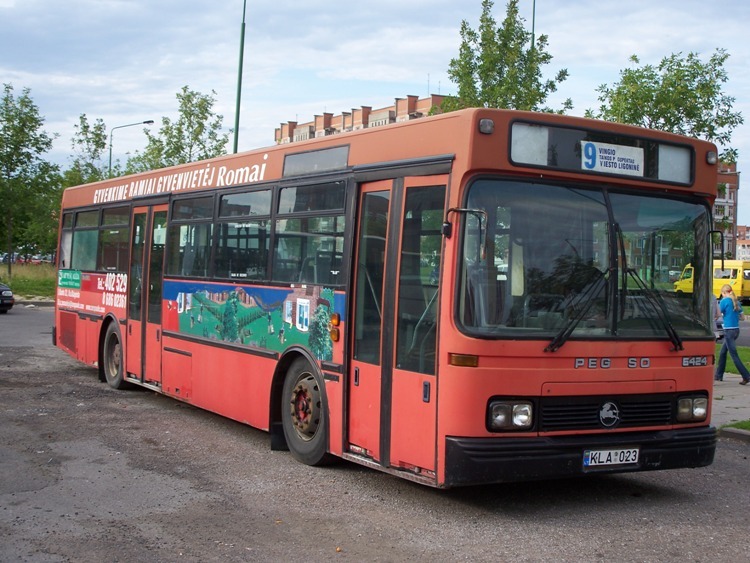 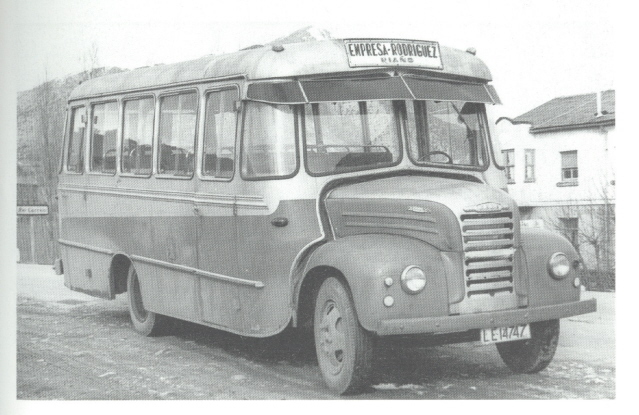 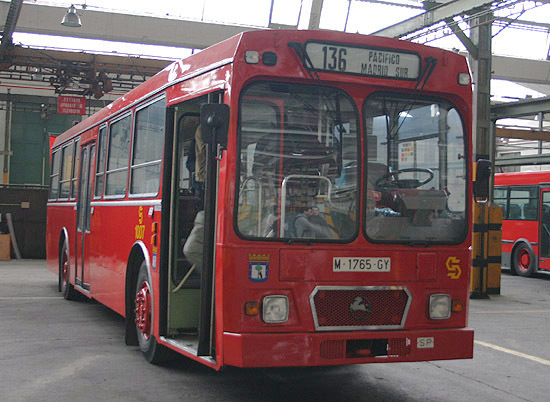 City bus 6420 as a result of the agreement the German company MAN am, to emphasize the independent front suspension and all her pneumatic and low floor for easy access. 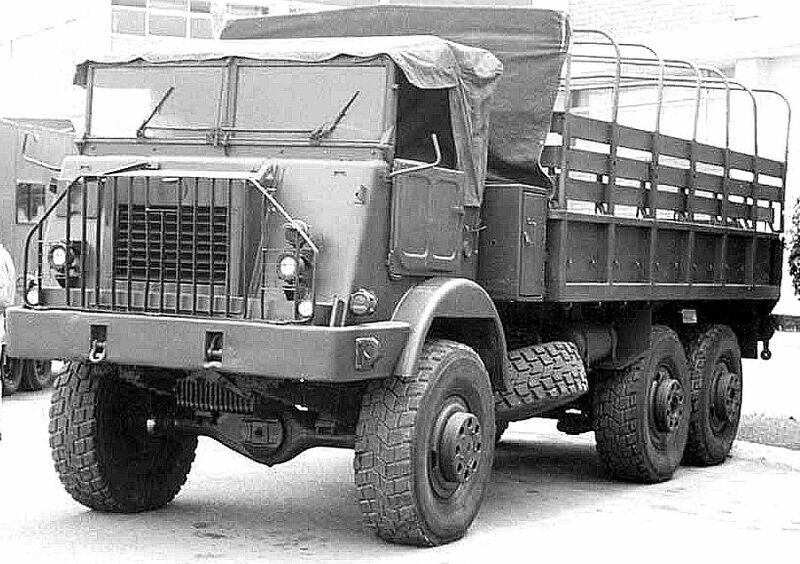 T-2 “Techno” with new boxes ZF S6-36 and S6-90 up to 4×4 relations. 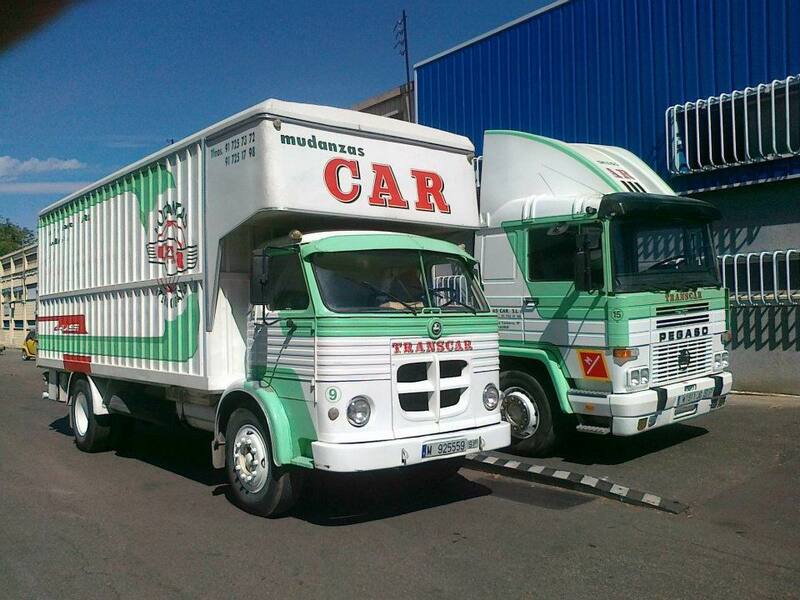 T-3 “Tron” collaboration DAF cab and engine up to 360 hp. 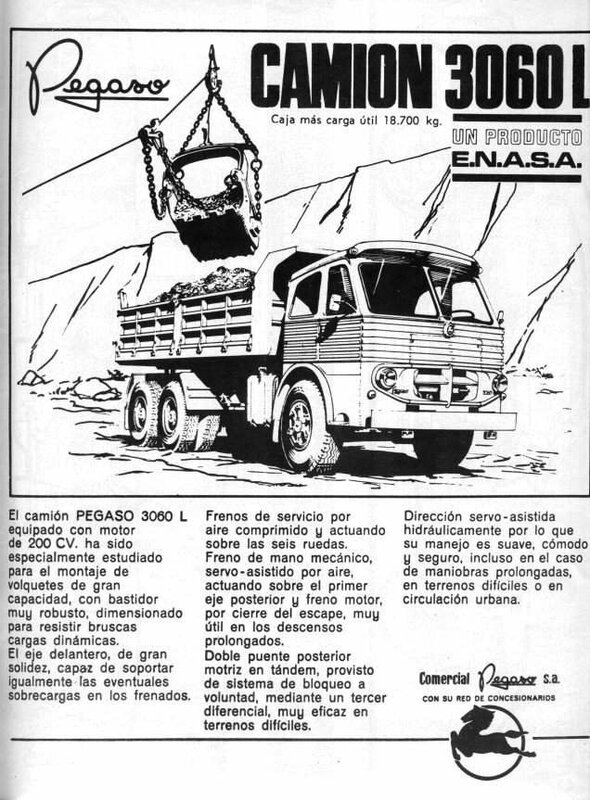 3055, truck, SUV 6×6, equipped with 200 or 220 hp engine. 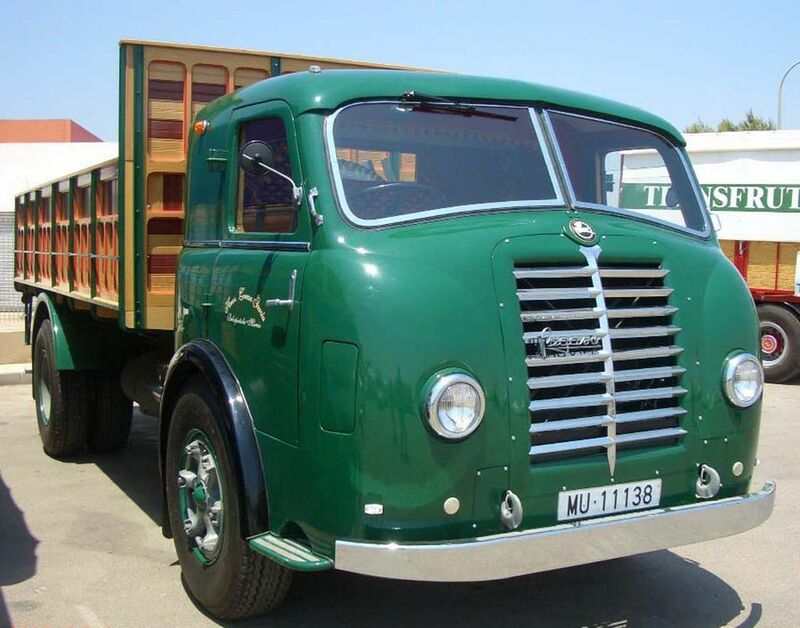 Could transport 10 tons or 6 tons in road SUV and towing capacity 7,500 kg SUV, or 14.5 tonnes on the road. 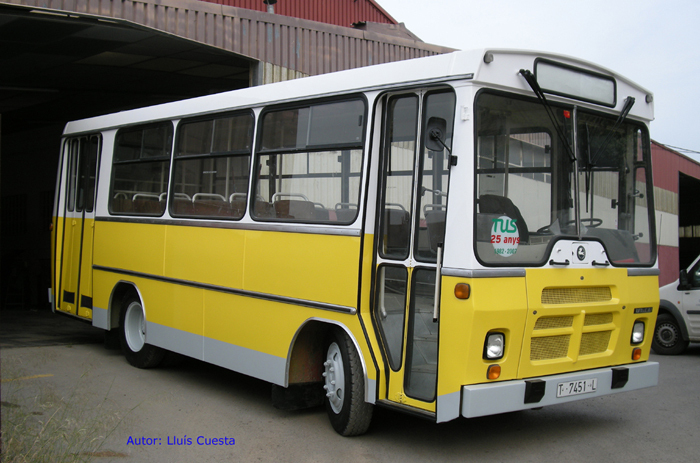 VAP, large capacity 4×4 amphibious vehicle navigation engine with 170 hp. 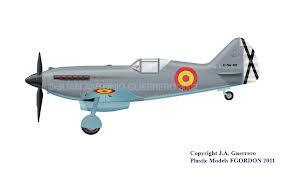 Suitable for transportation, establish beachhead or auxiliary naval maneuvers. 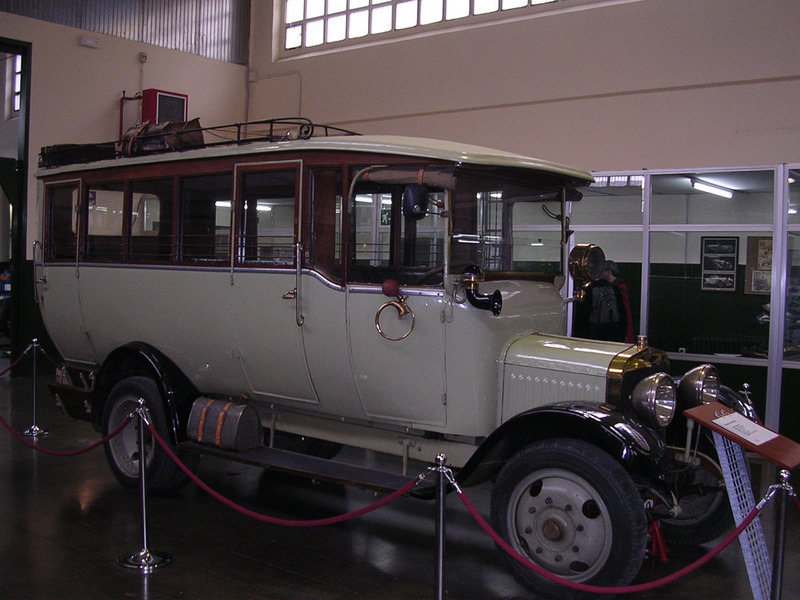 Capable of reaching 90 km / h road, with a range of 800 km. 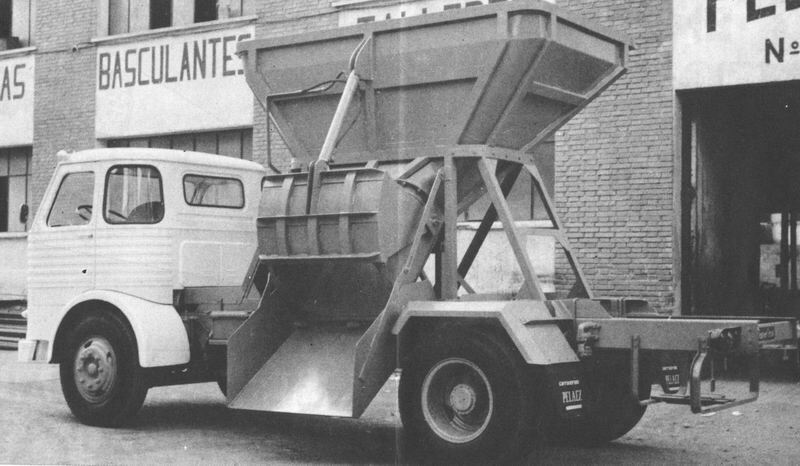 Longitudinal slopes may exceed 60%, and 30% side. 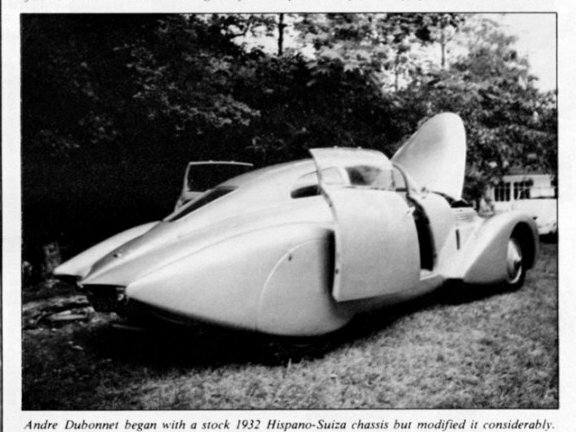 The ship speed was 5.5 knots. 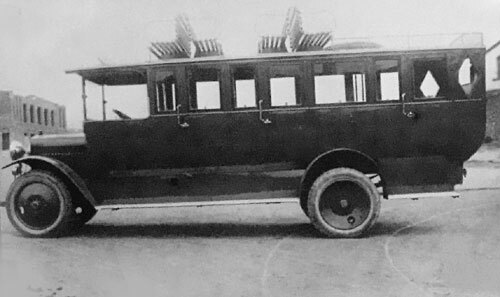 BLR, Light Armored Vehicle with wheels, 4×4 transportable by air, 170 hp engine that can reach 110 km / h on roads with a range of 800 km. 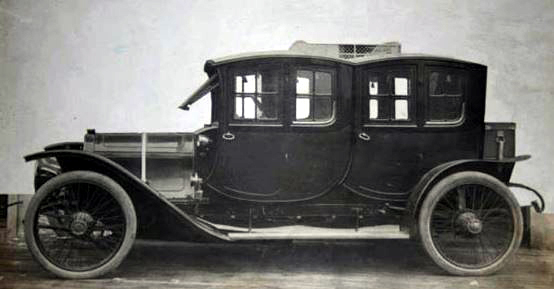 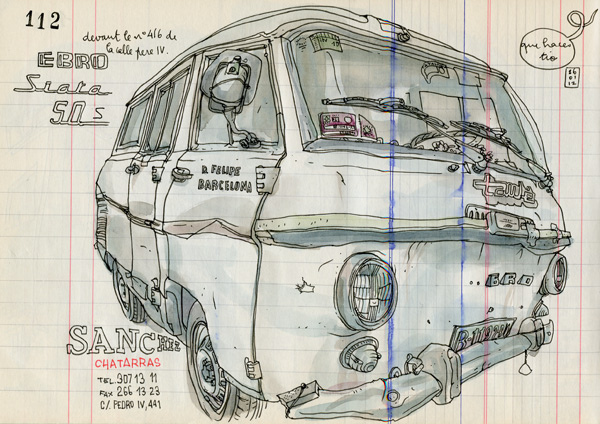 The loading capacity was 15 people, including the driver, the tires were bulletproof. 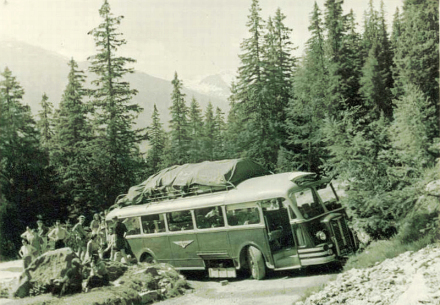 The ability to overcome remaining 60% was longitudinal, lateral and 30%. 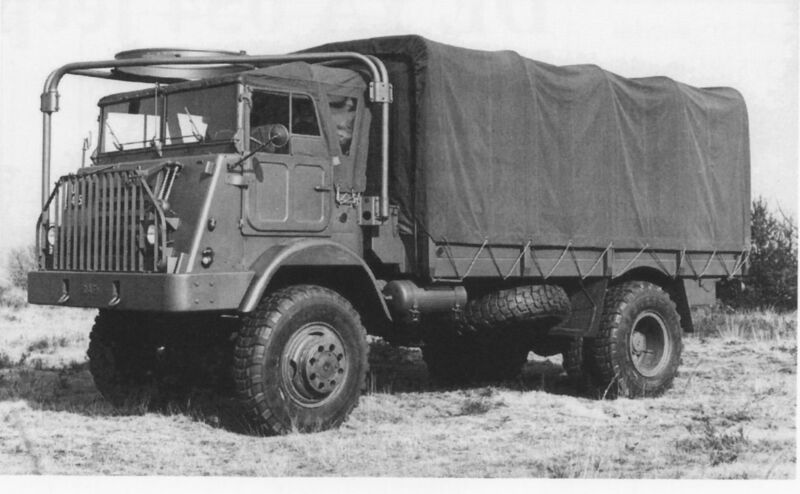 BMR, Middle wheeled armored vehicle, 6×6, amphibious and transportable by air independent suspension for each wheel, power steering shafts front and rear. 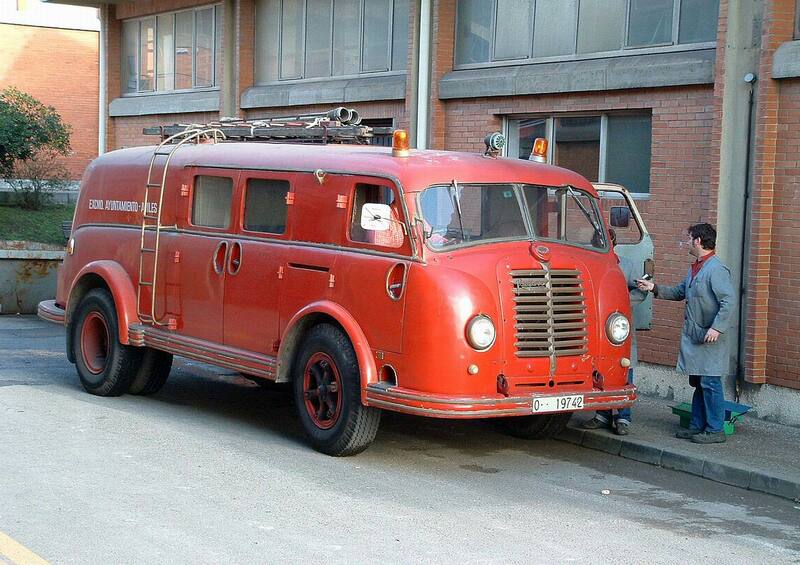 All mechanical groups were protected by the helmet shield, engine 306 hp. 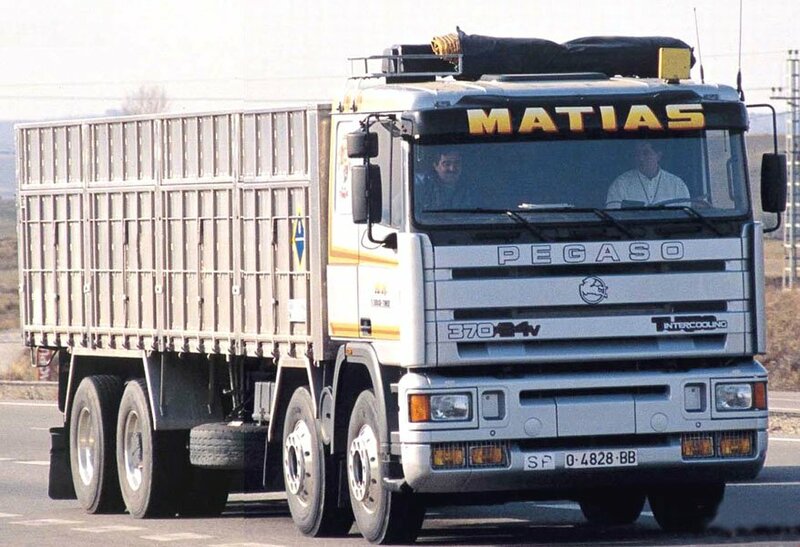 That can reach above 100 km / h and overcome remaining as above. 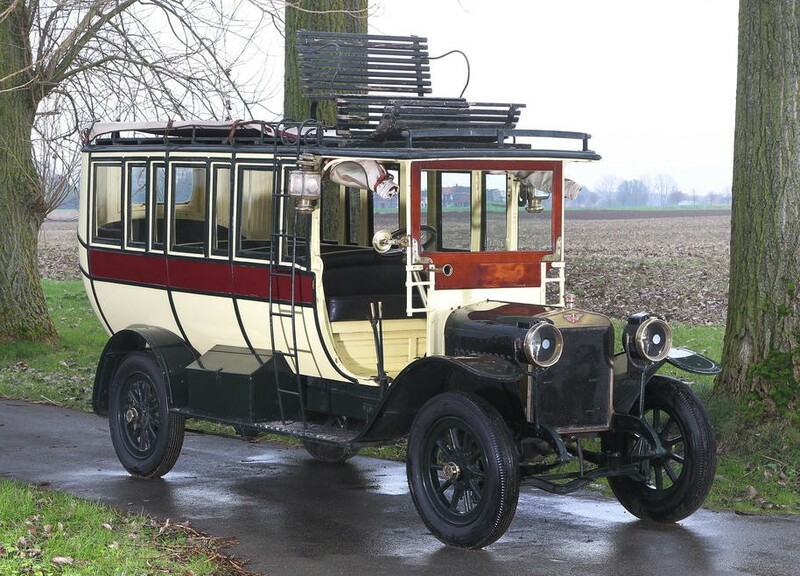 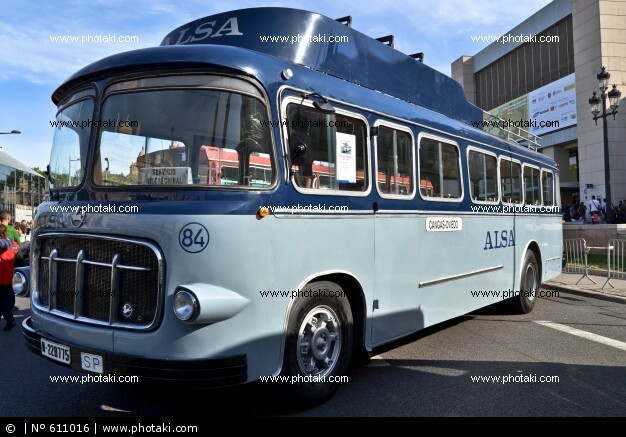 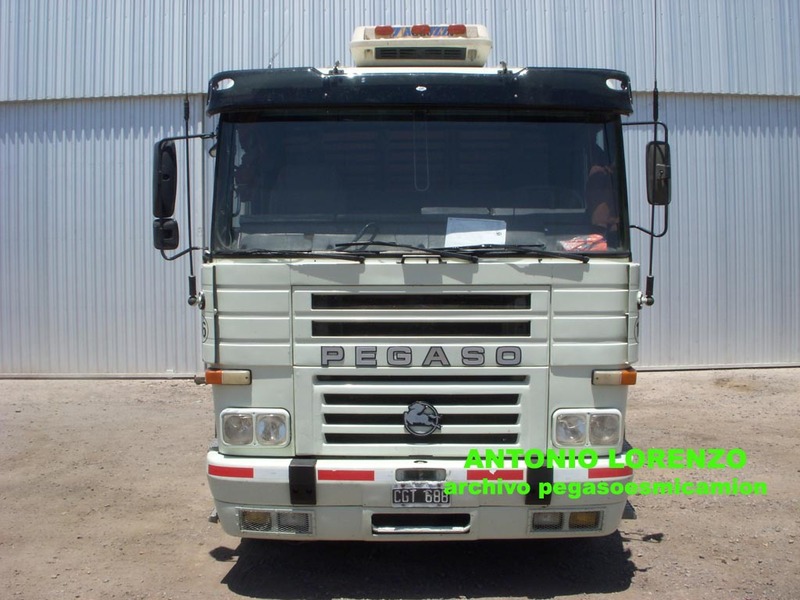 As usual policy, the Pegasus was sold in the case of trucks, cab and chassis, and coaches, sold a frame with mechanical groups, which after all had floats in this section is not more intends to disclose the companies that worked on this necessity. 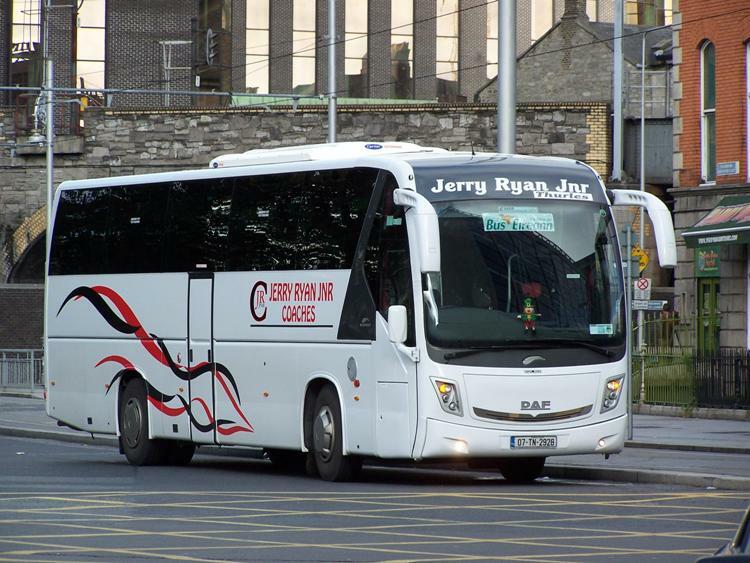 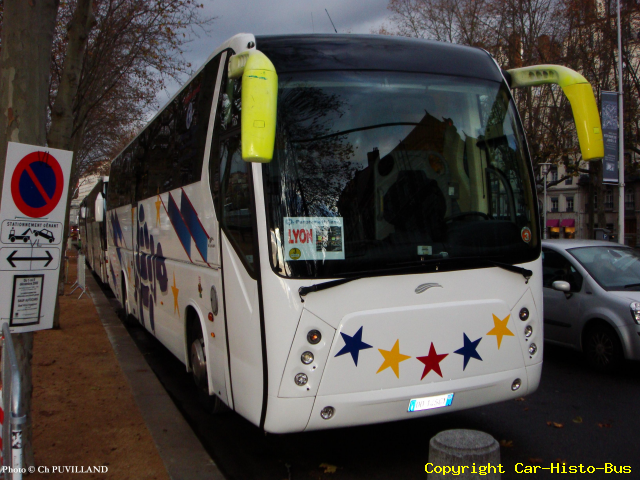 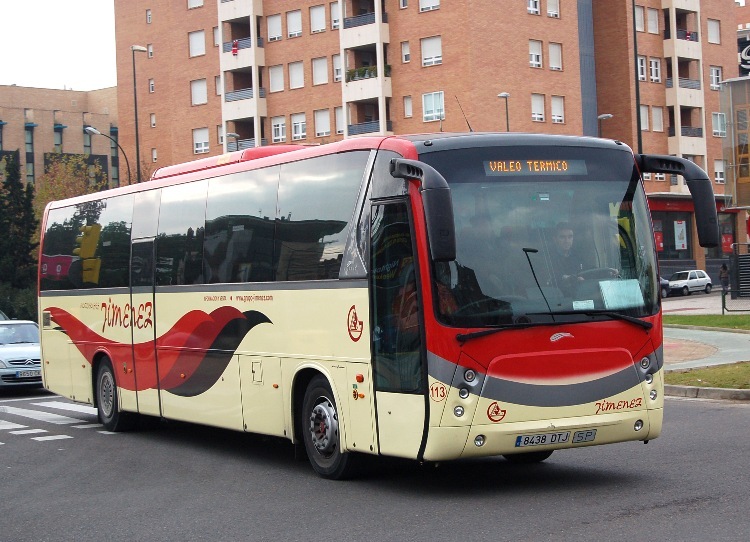 Gary Girona Body of luxury coaches. 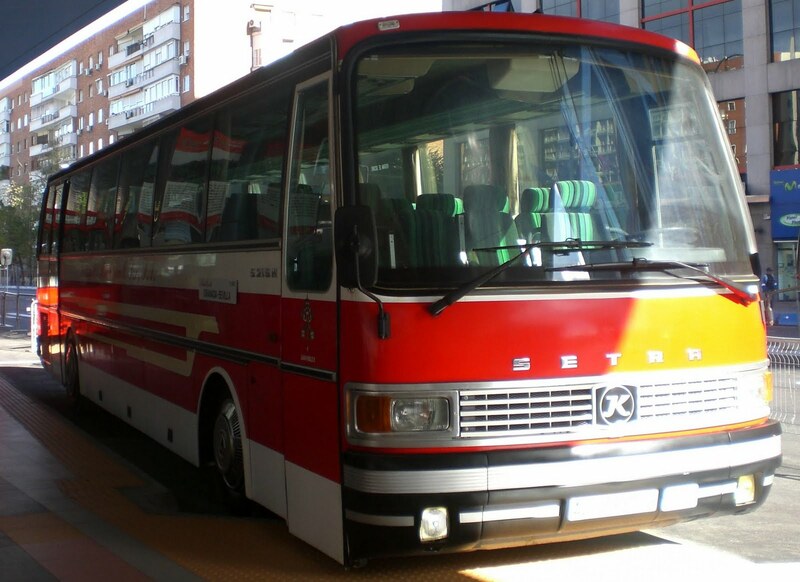 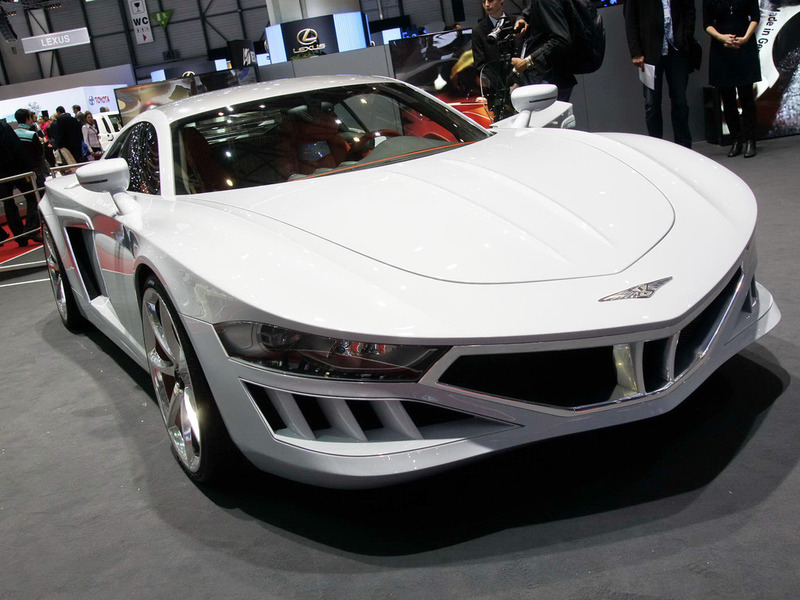 Setra-Seid, coachbuilder specializing in auto body bearers, and very fast as coaches. 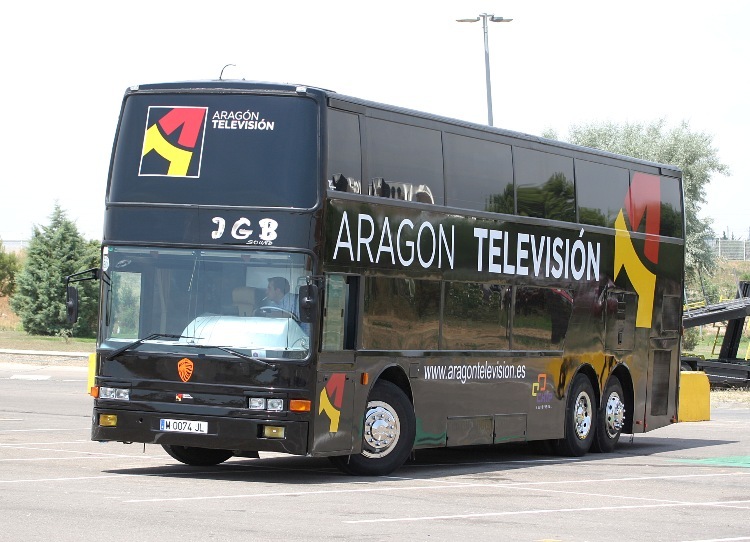 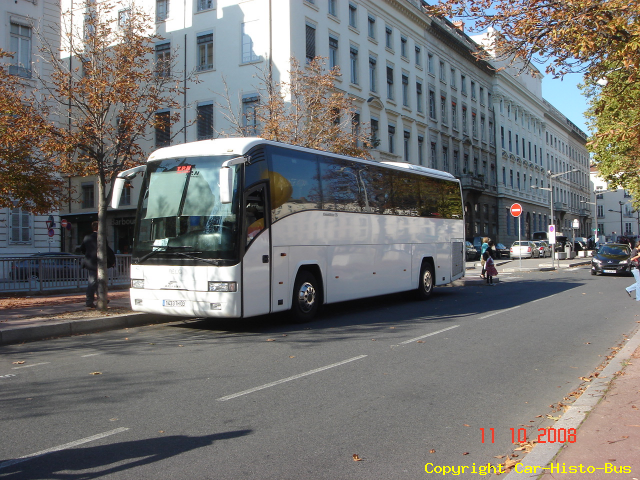 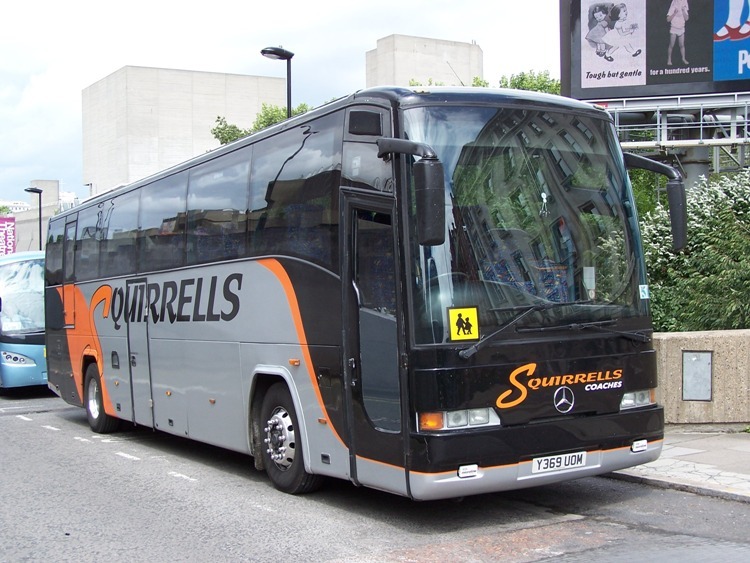 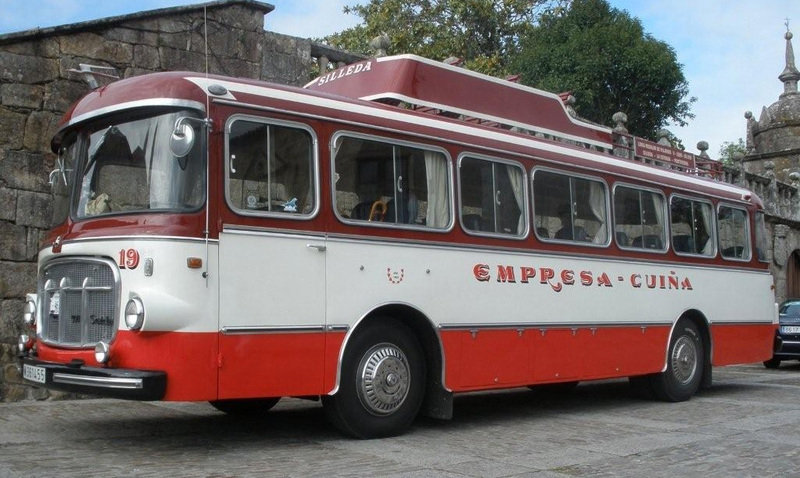 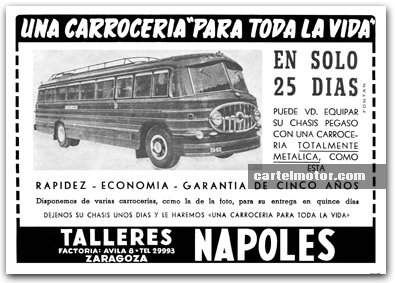 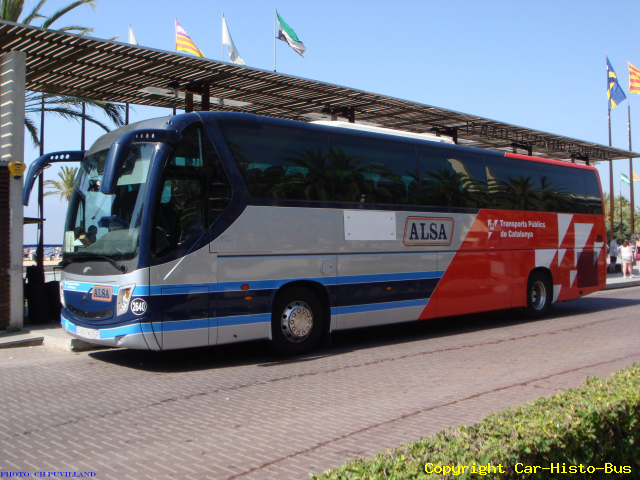 Castrosua specializes in coaches and buses. 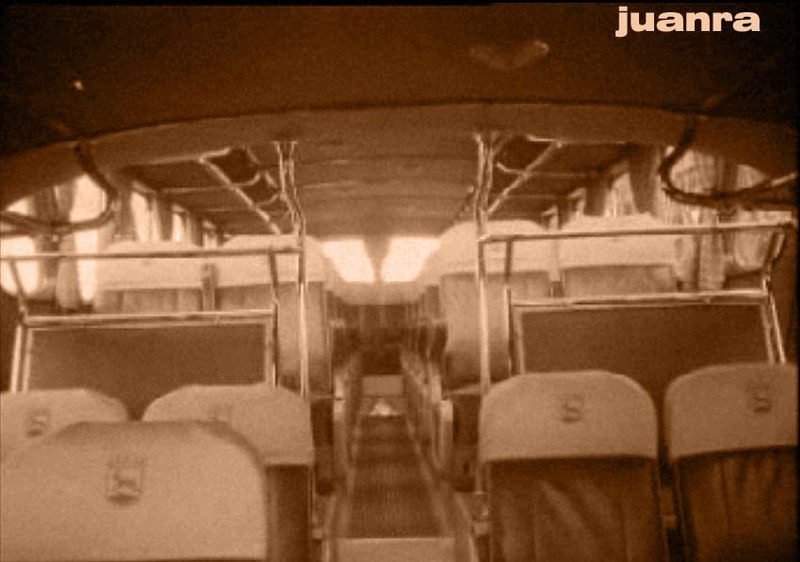 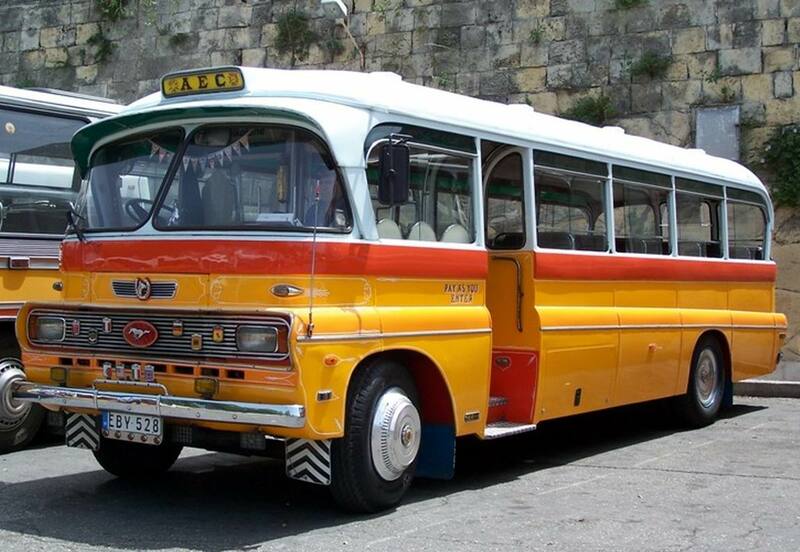 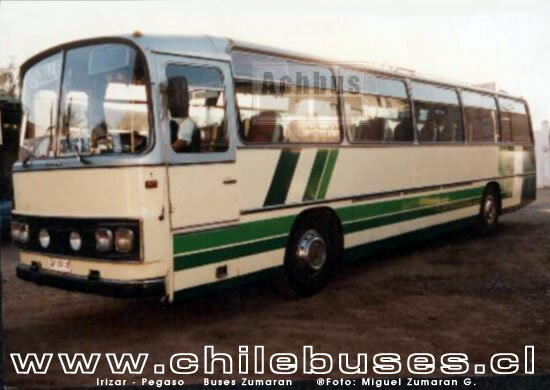 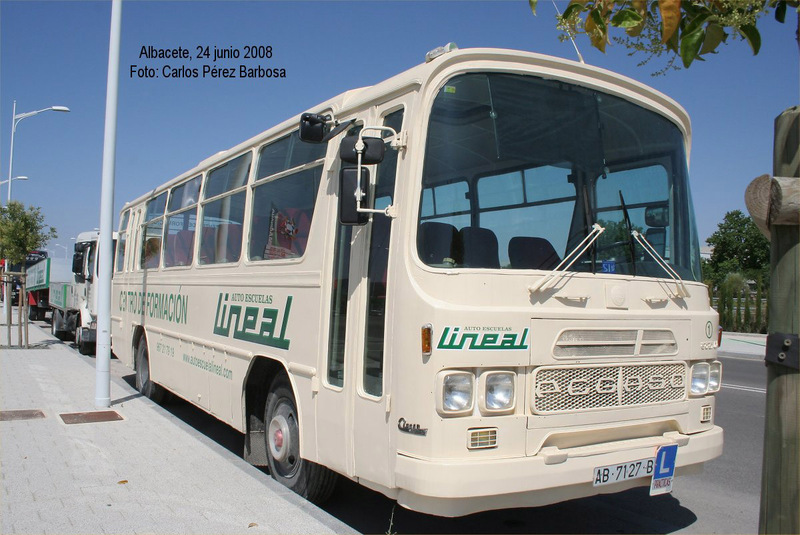 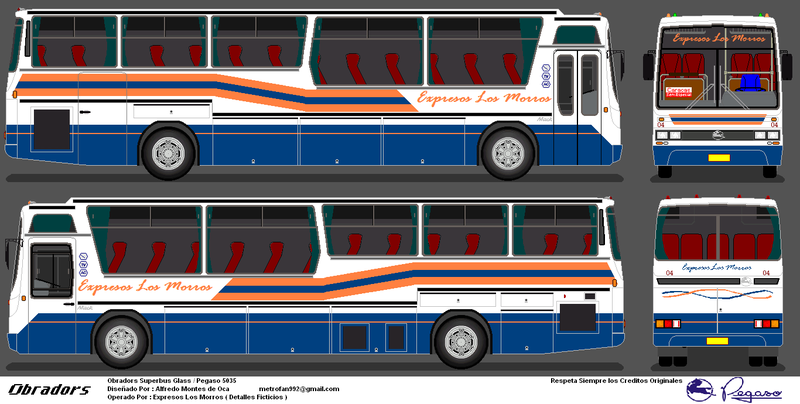 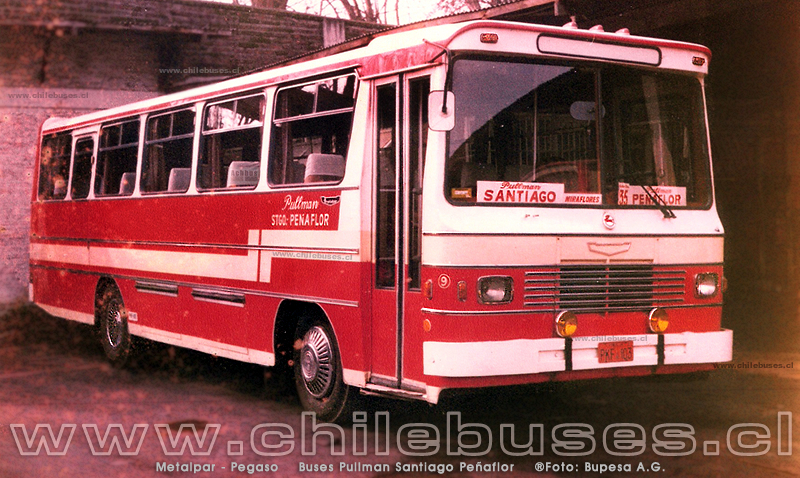 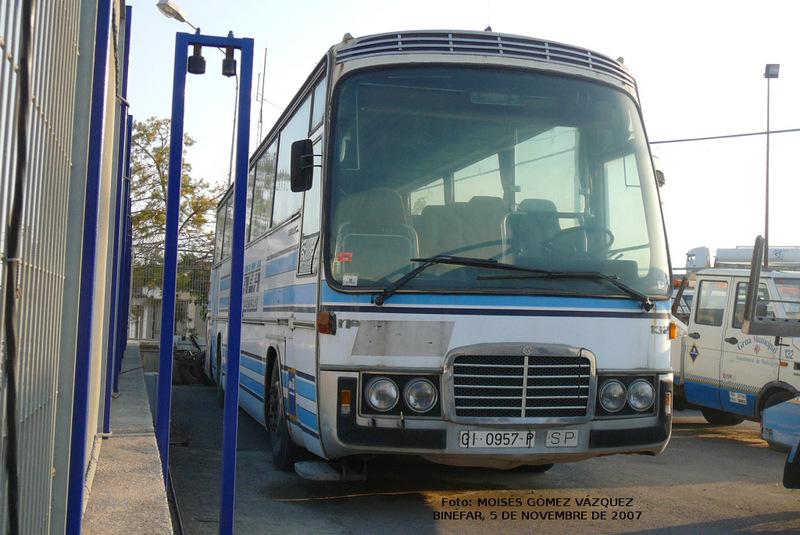 Unibus y Servicios, special bodywork. 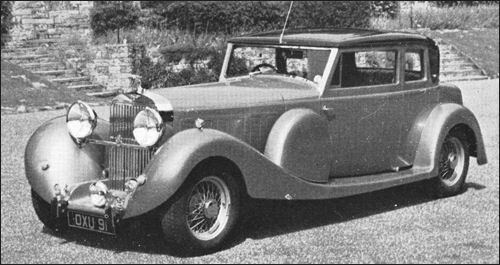 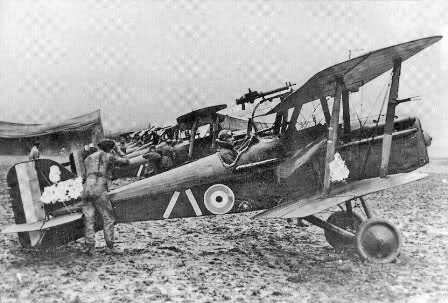 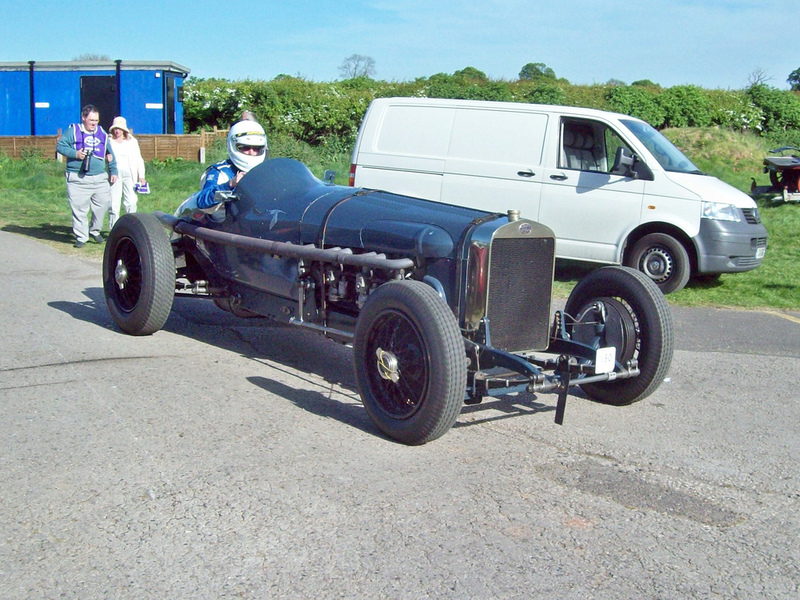 There are many that do not go in this regard, especially those who only supplied boxes for transport, and the sports car bodywork. 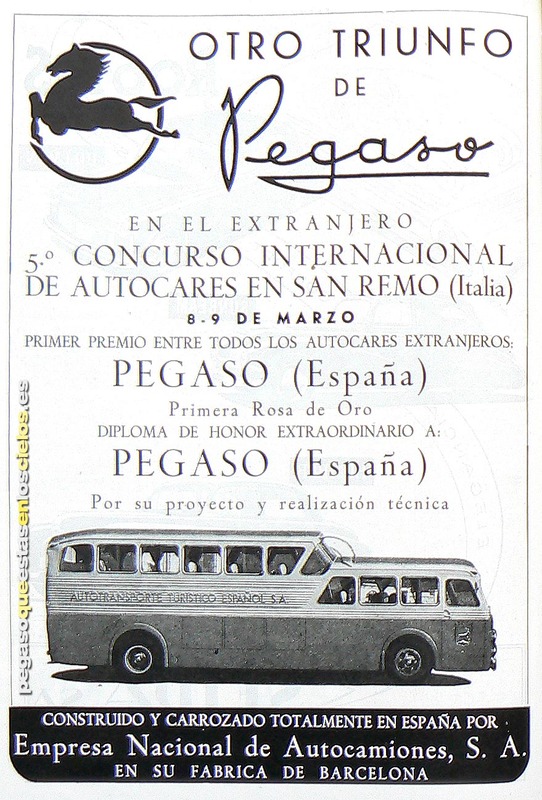 Throughout its history Pegasus received several awards in exhibitions held outside our frontiers axis as material exported to various countries, especially in Latin America. 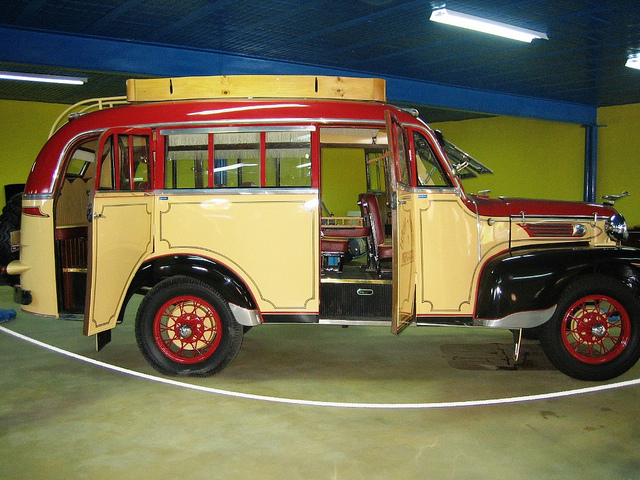 In planting branches to manufacture vehicles, eg Guanahay Cuba, Venezuela Desiauto. 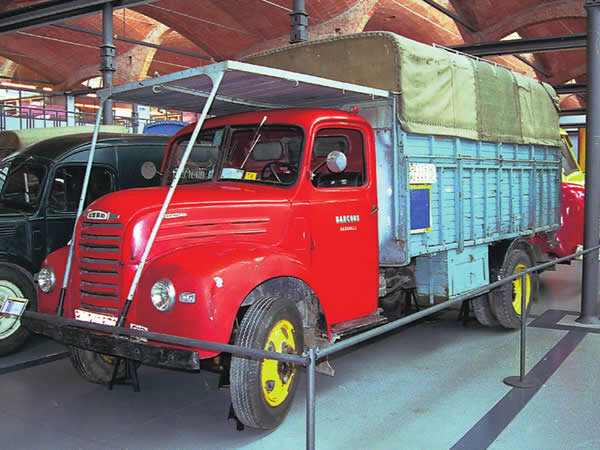 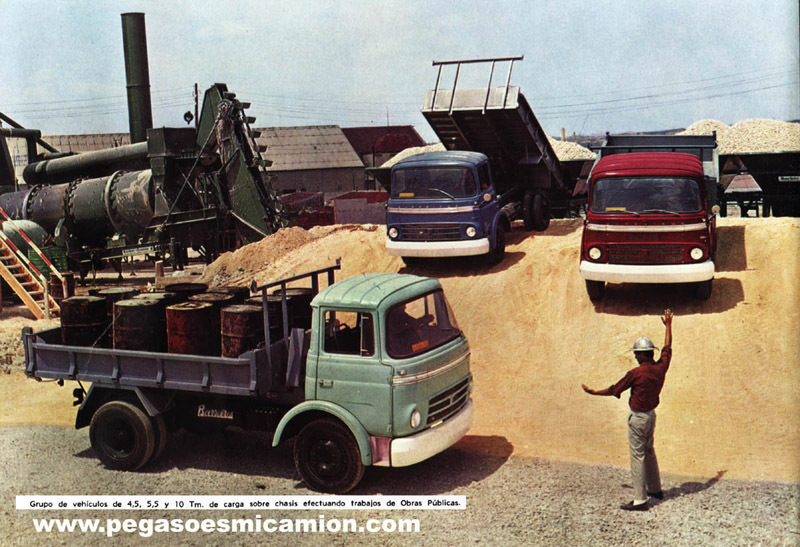 Exports began in 1961 in Colombia, pro continued in Egypt, Venezuela, Congo, Portugal, Peru, Cuba, Costa Rica, Equatorial Guinea, Sudan, Poland, etc..
Also noteworthy dealer network across Europe to attend the TIR trucks.